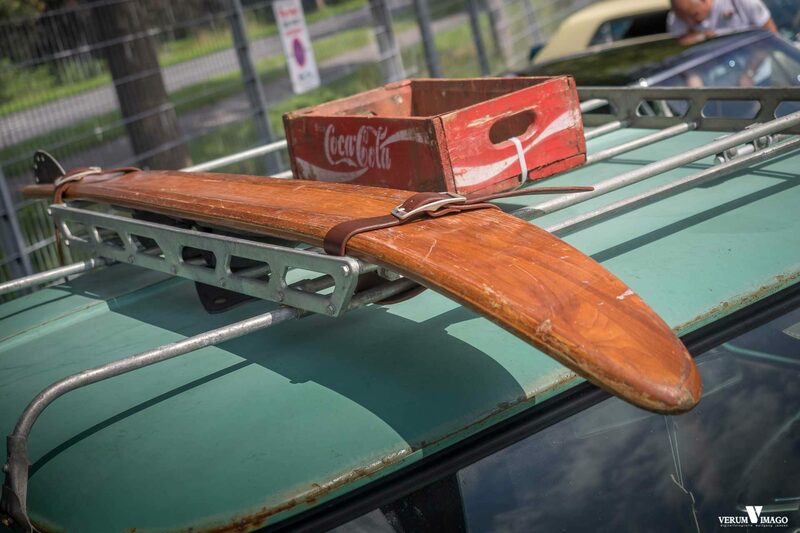 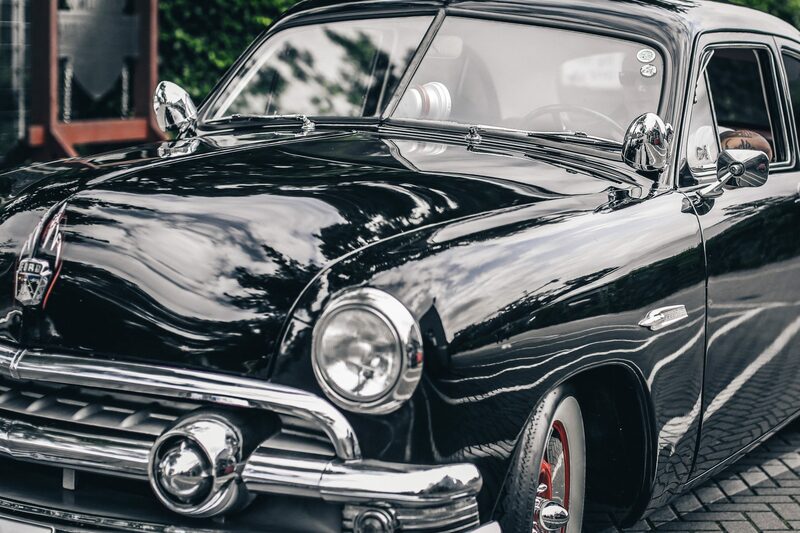 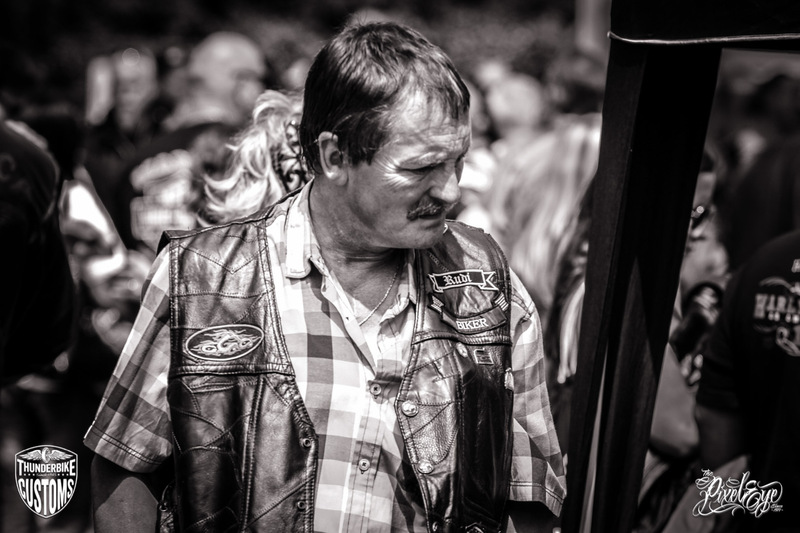 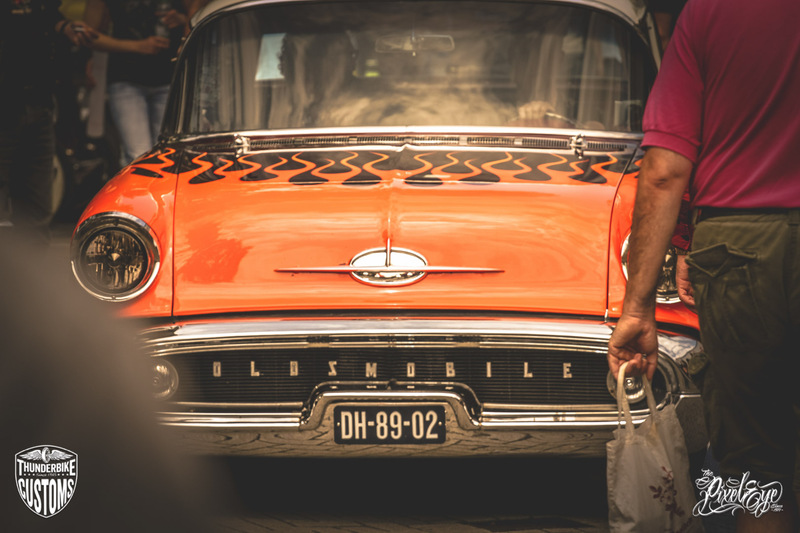 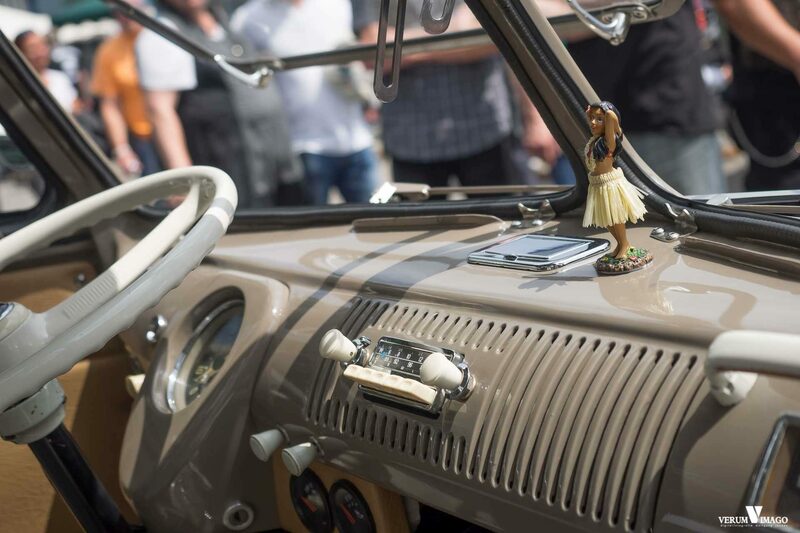 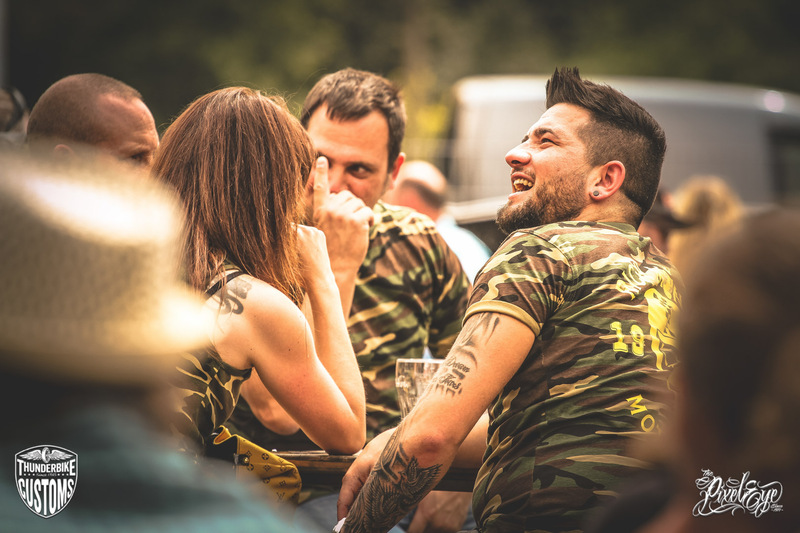 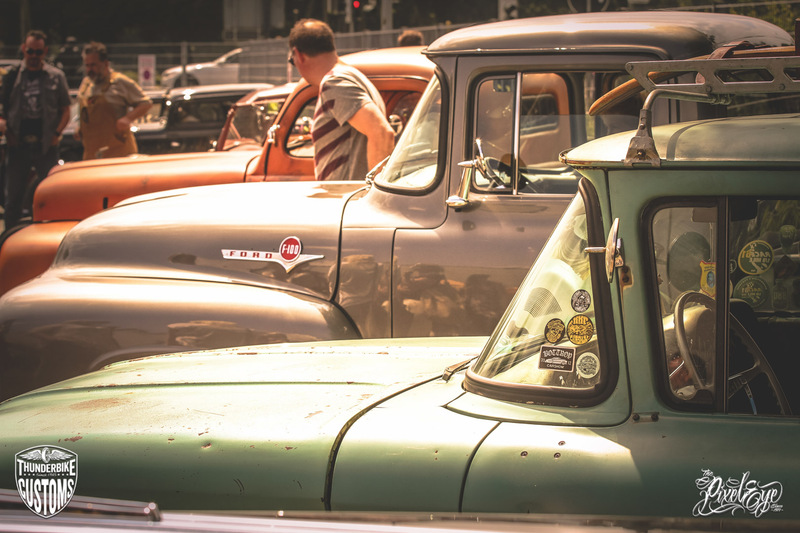 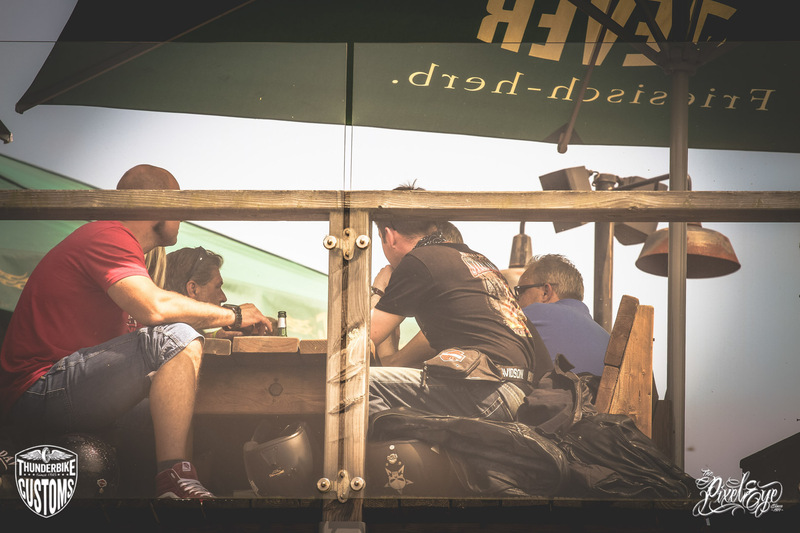 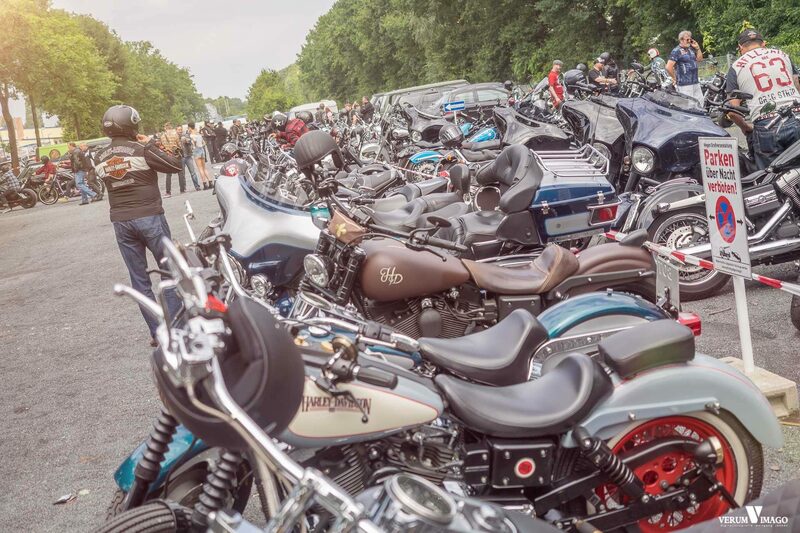 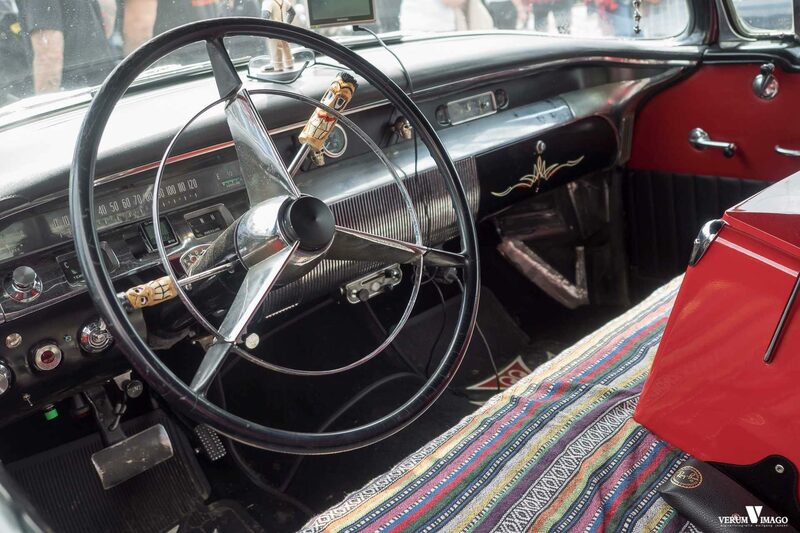 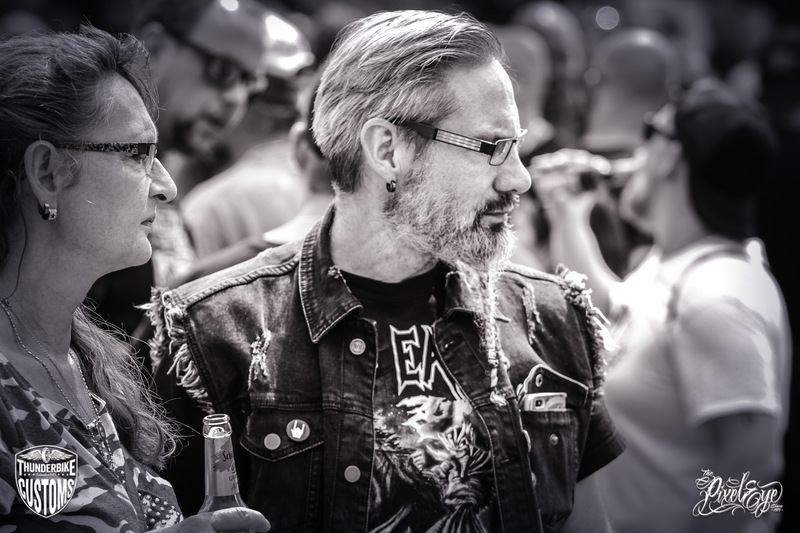 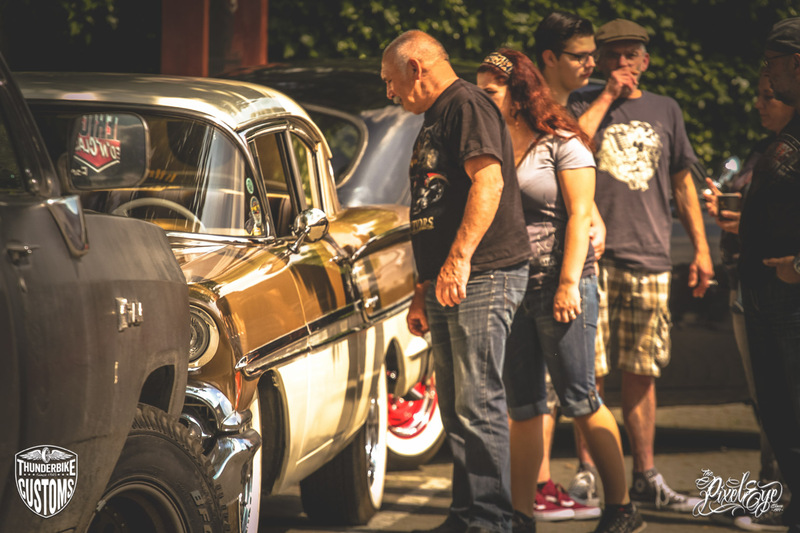 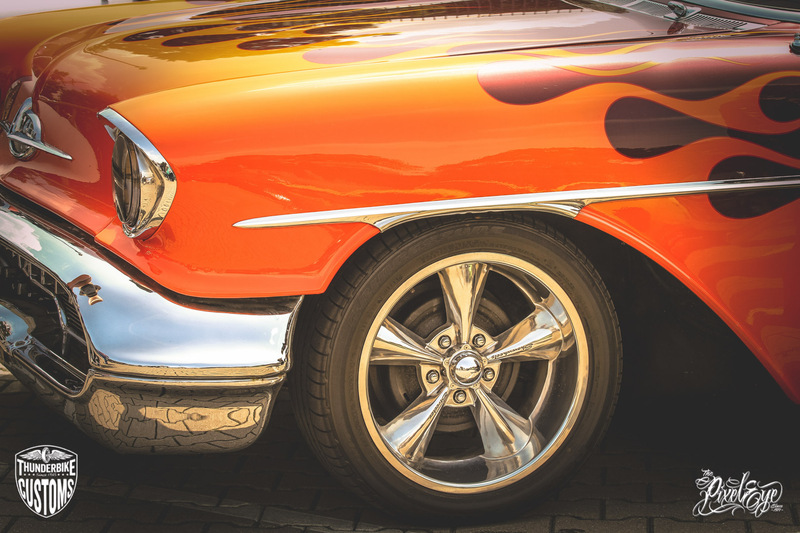 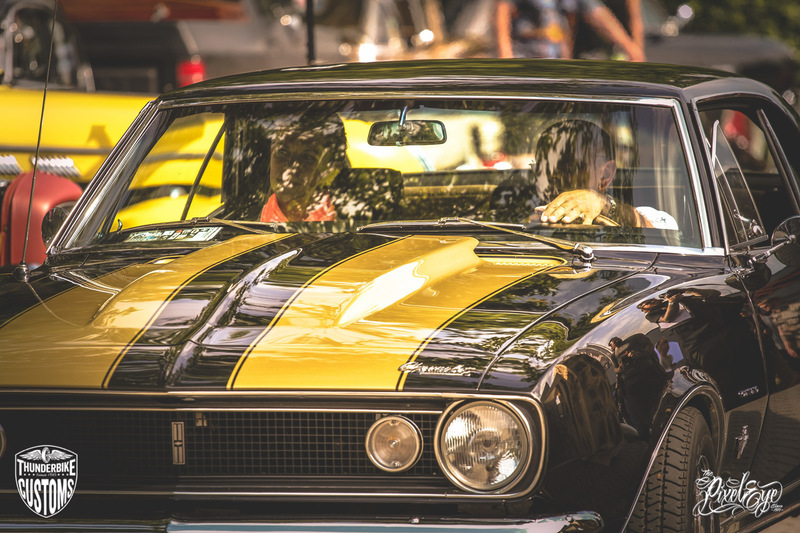 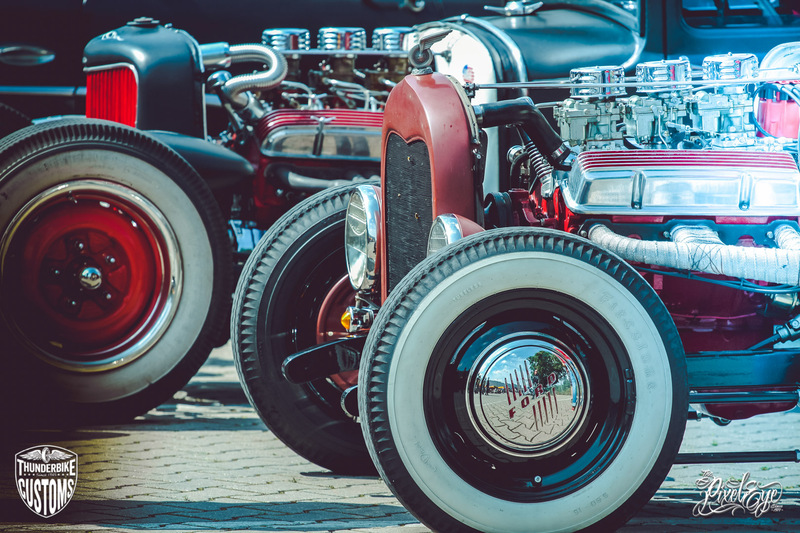 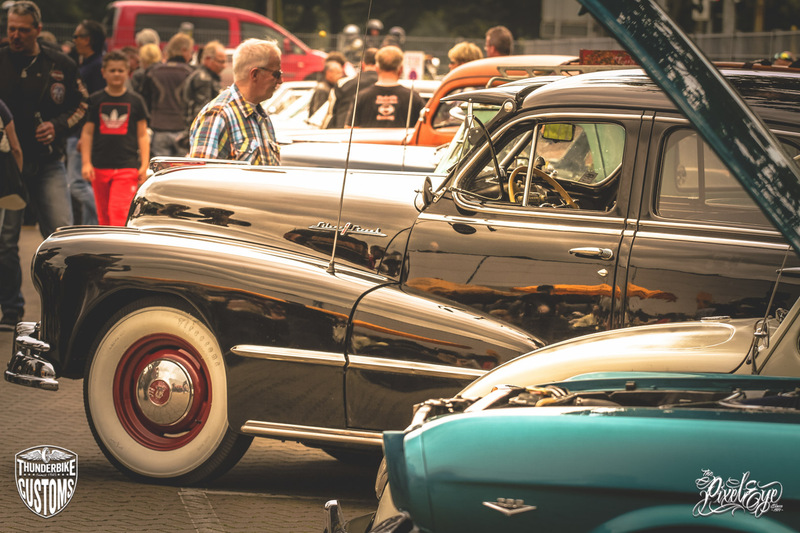 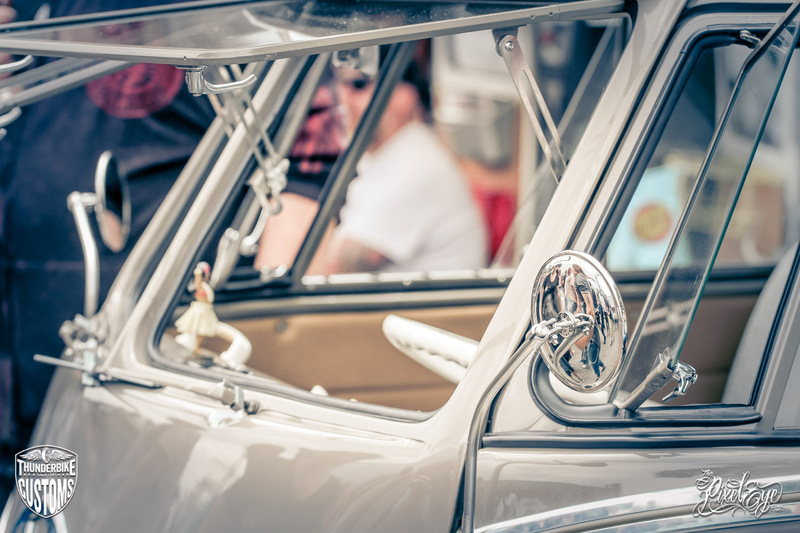 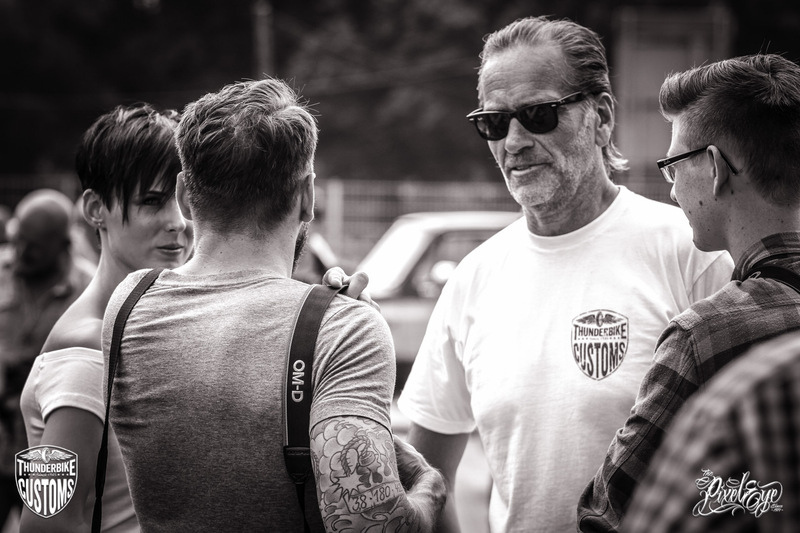 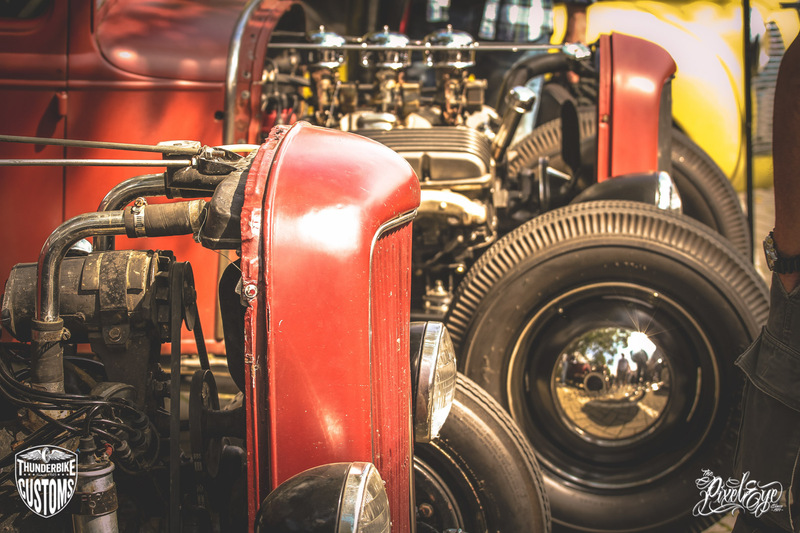 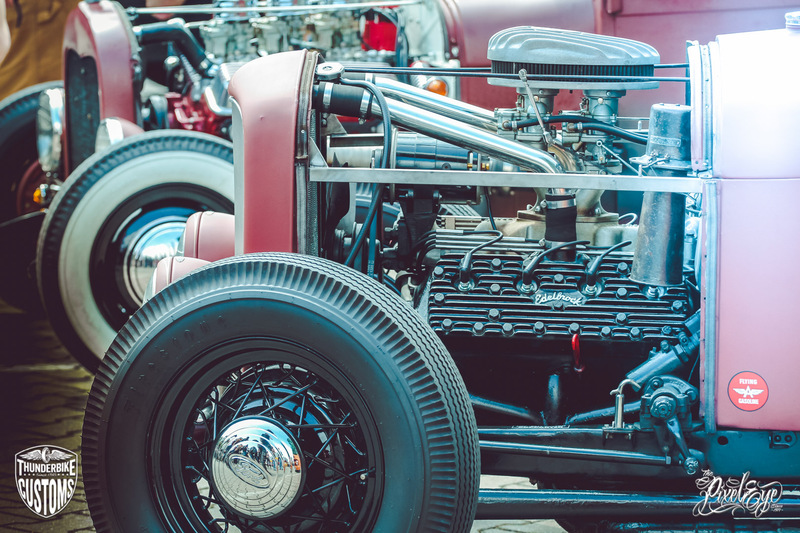 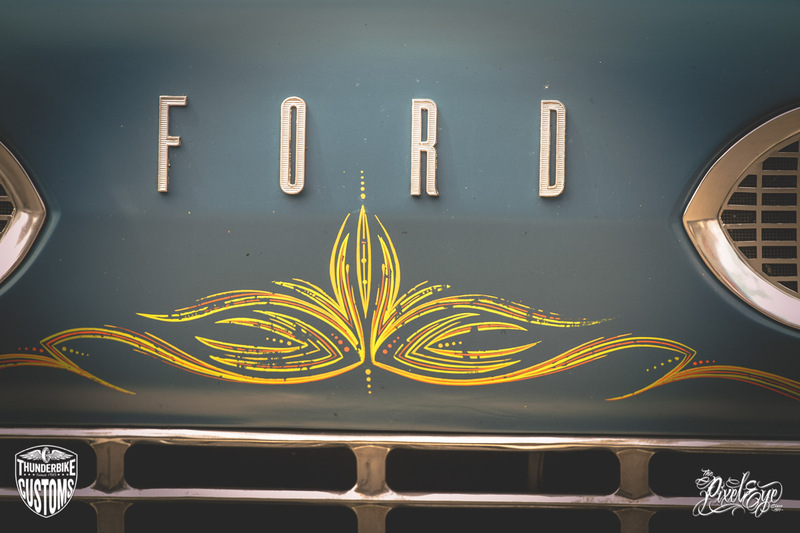 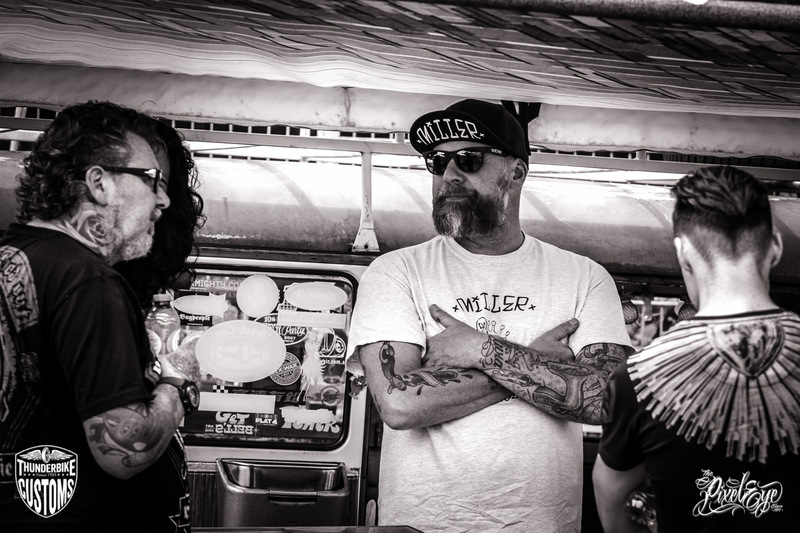 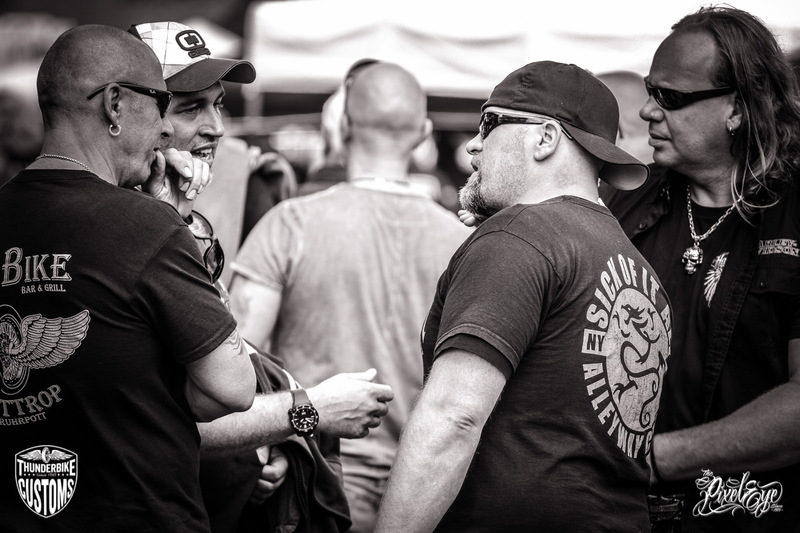 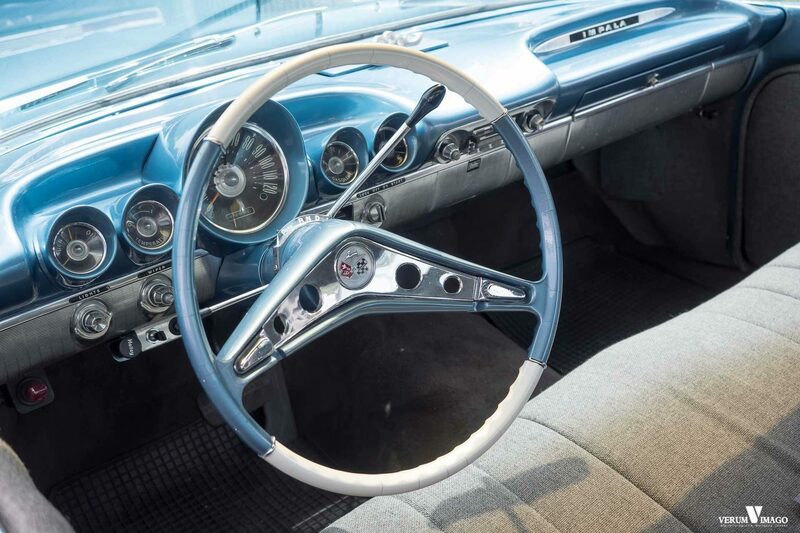 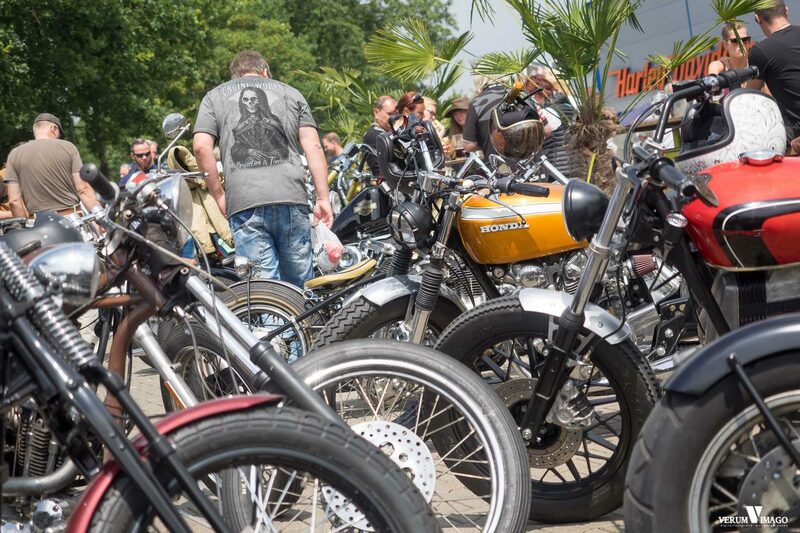 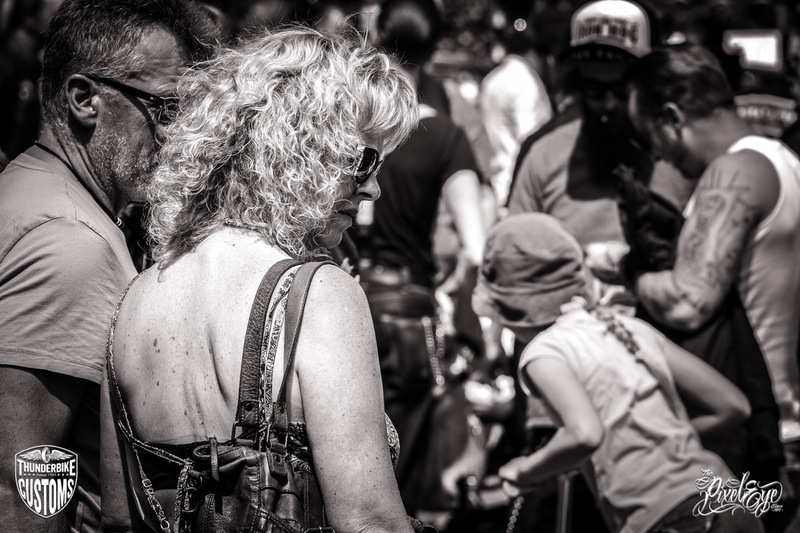 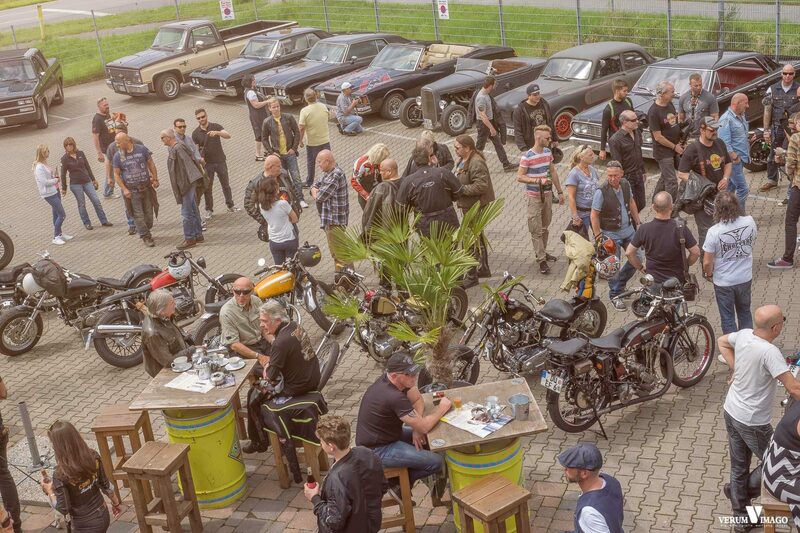 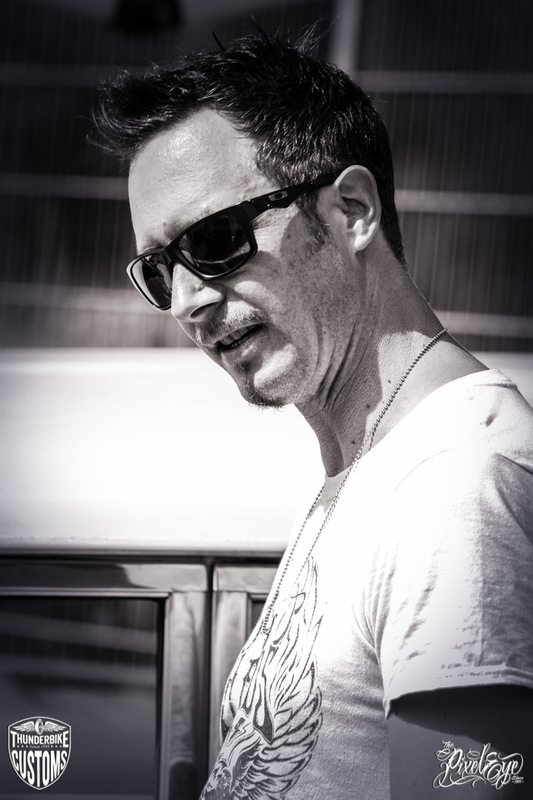 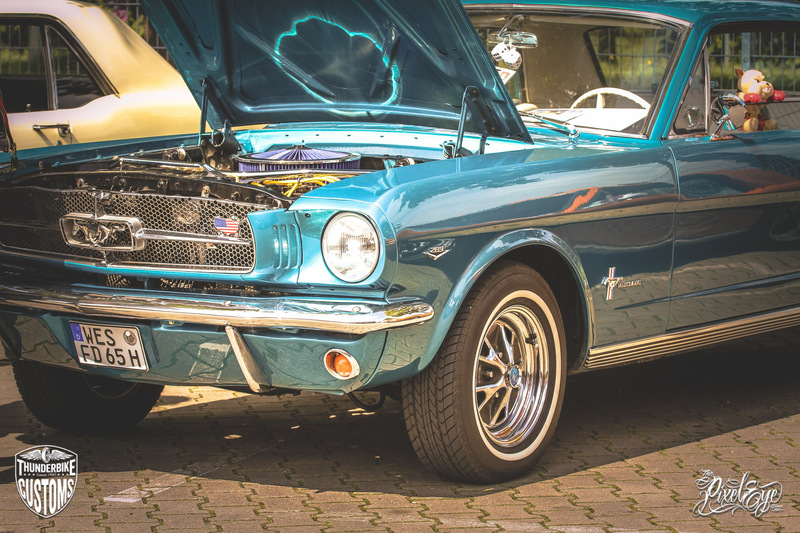 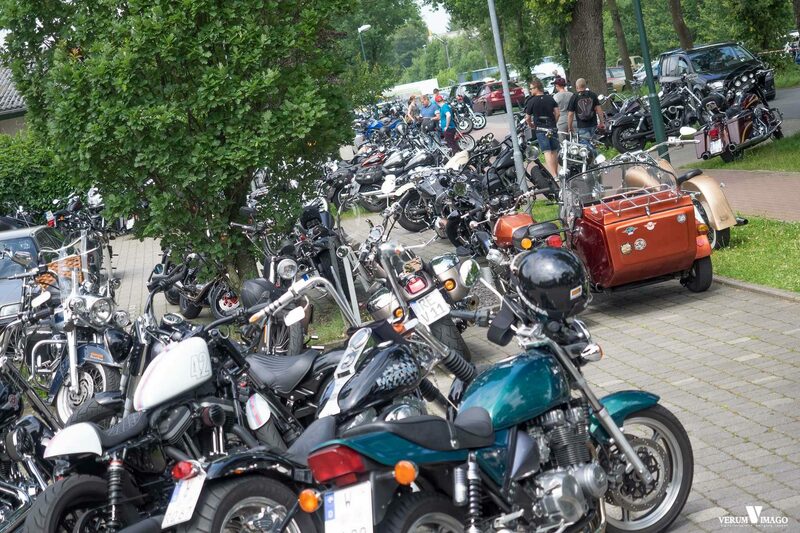 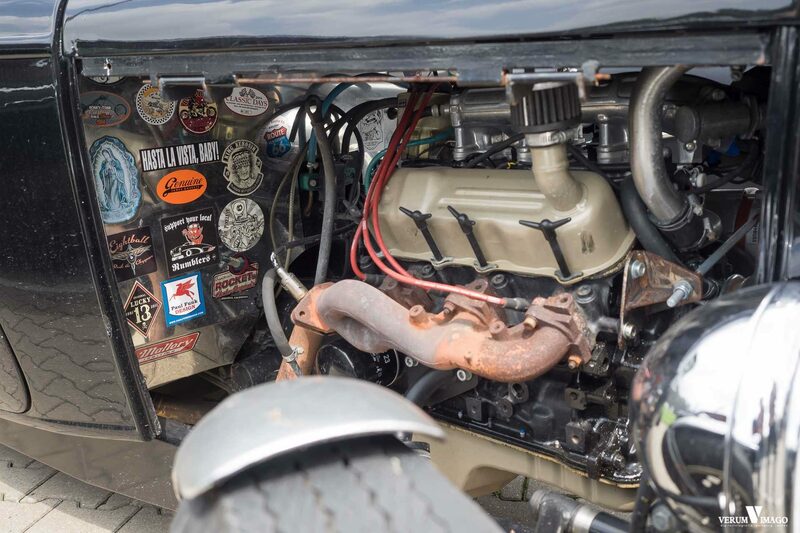 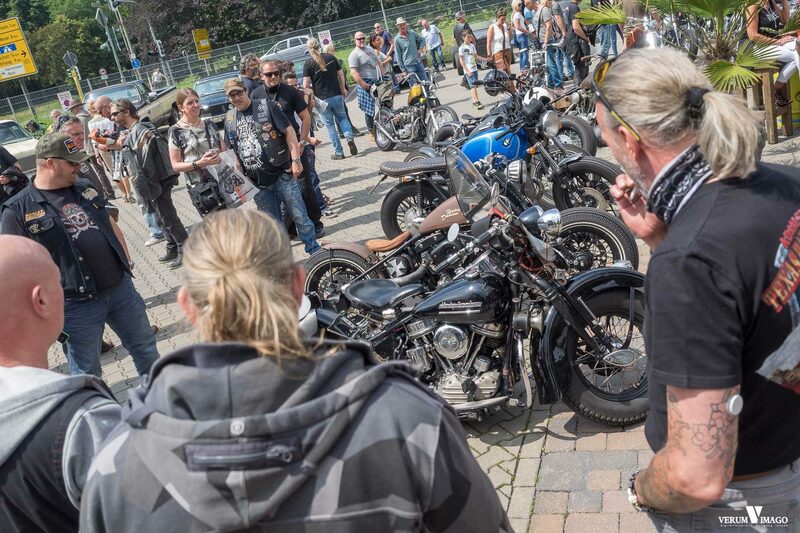 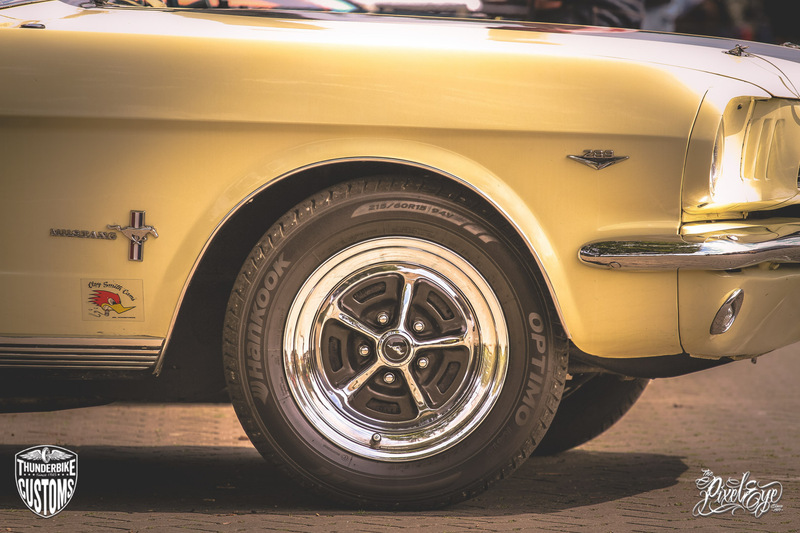 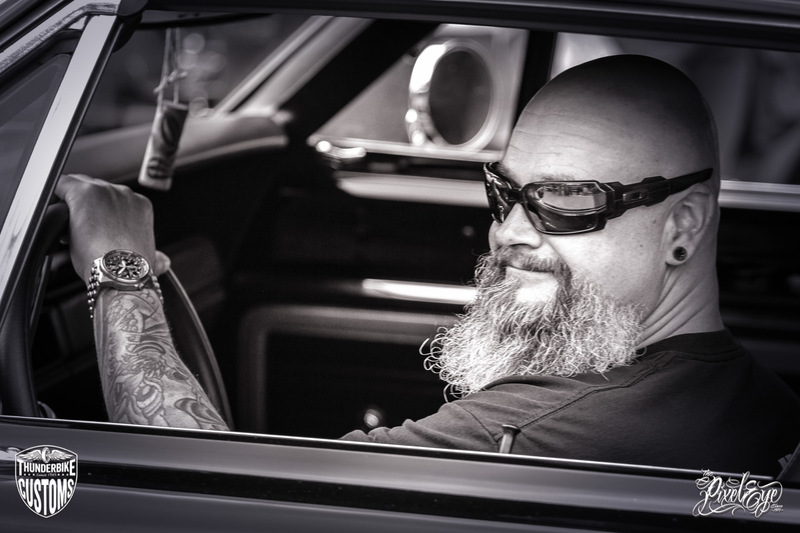 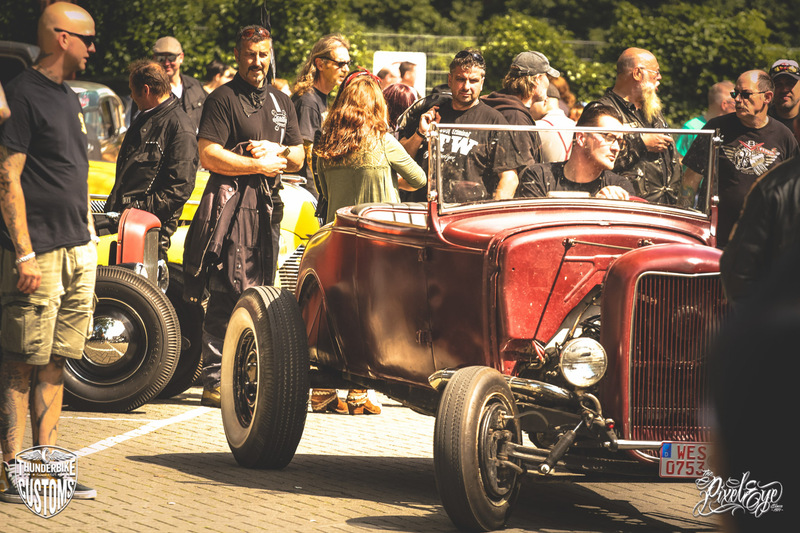 A repeated hot weekend with a breathtaking kustom meeting. 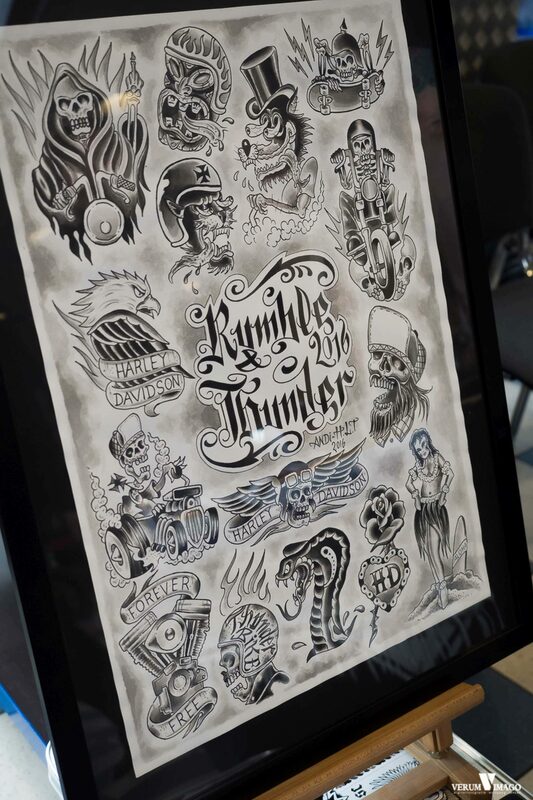 So the fourth Rumble & Thunder event took place on Saturday, July 9, 2016. 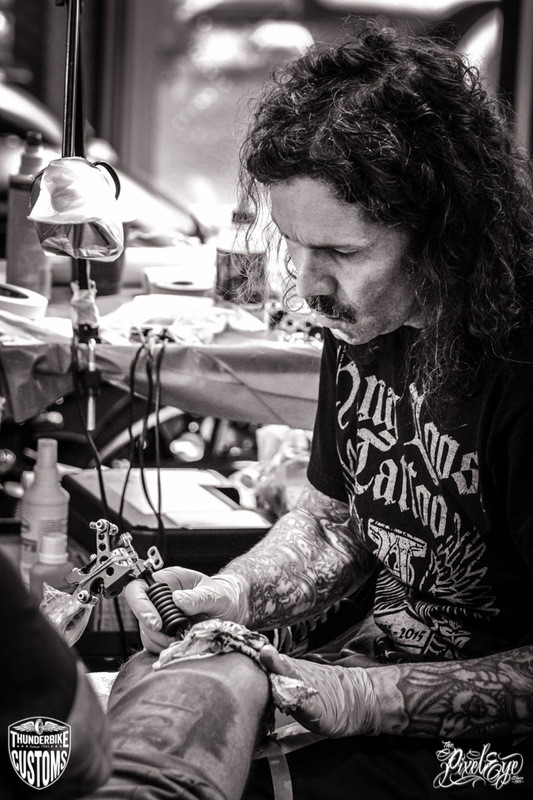 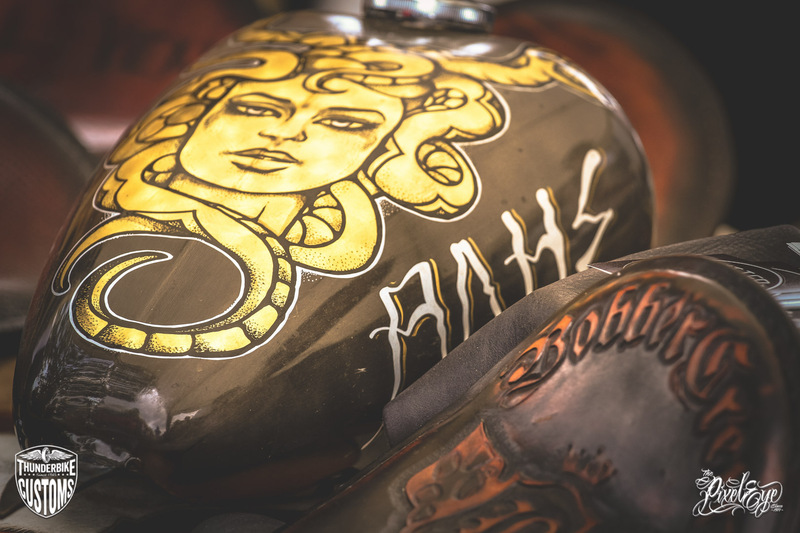 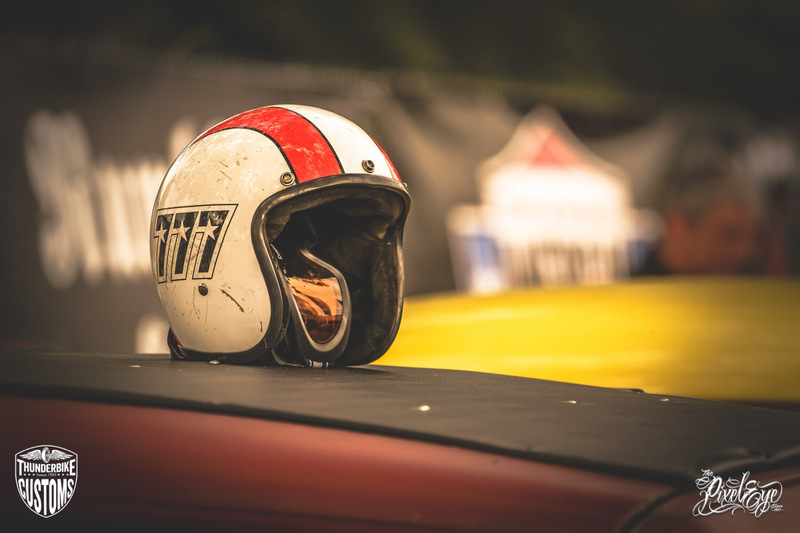 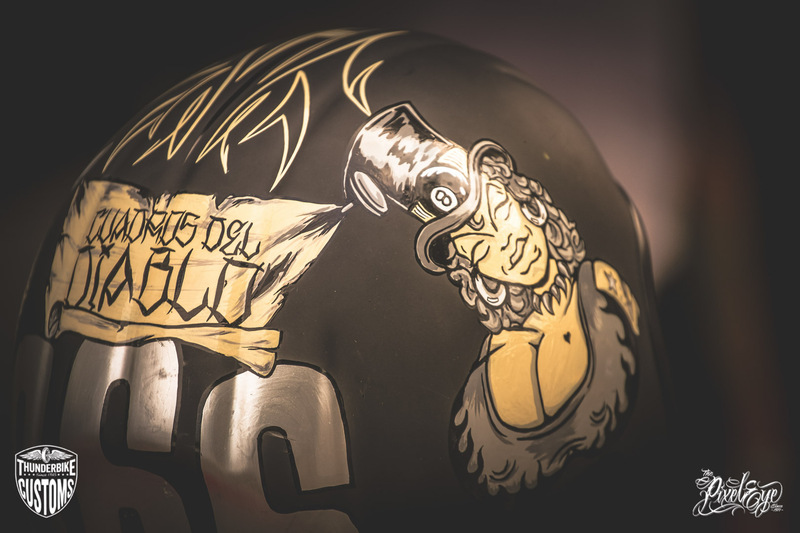 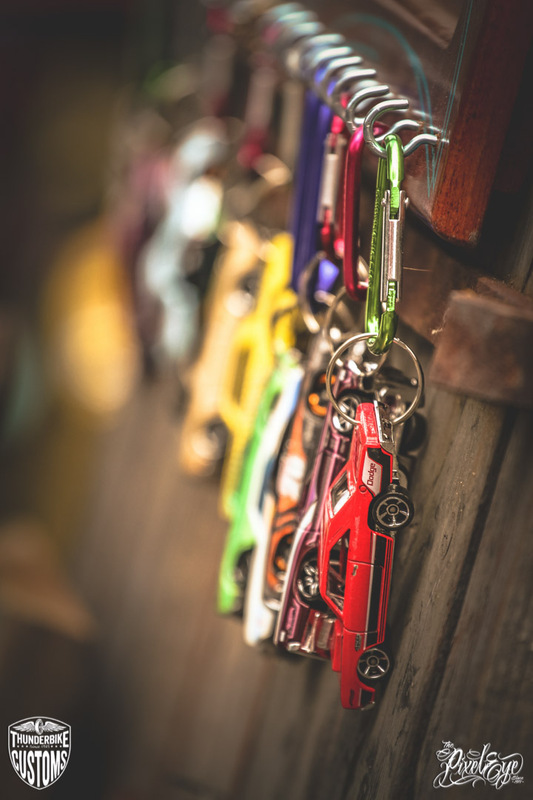 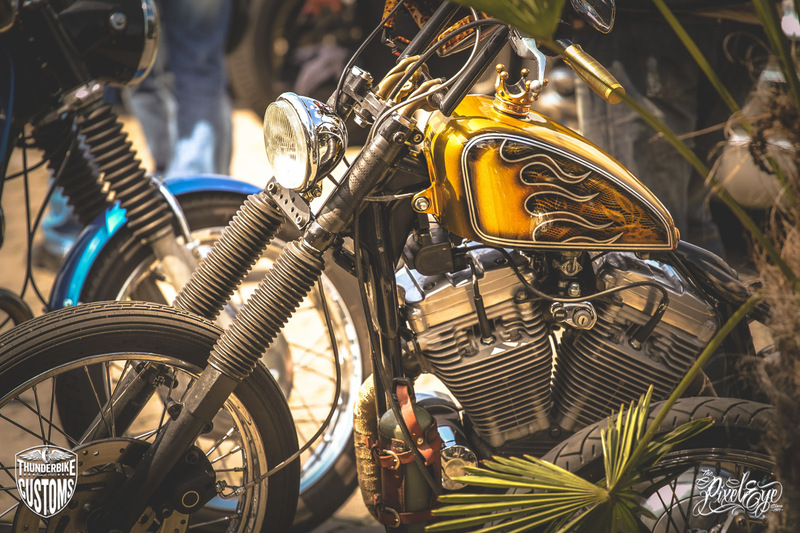 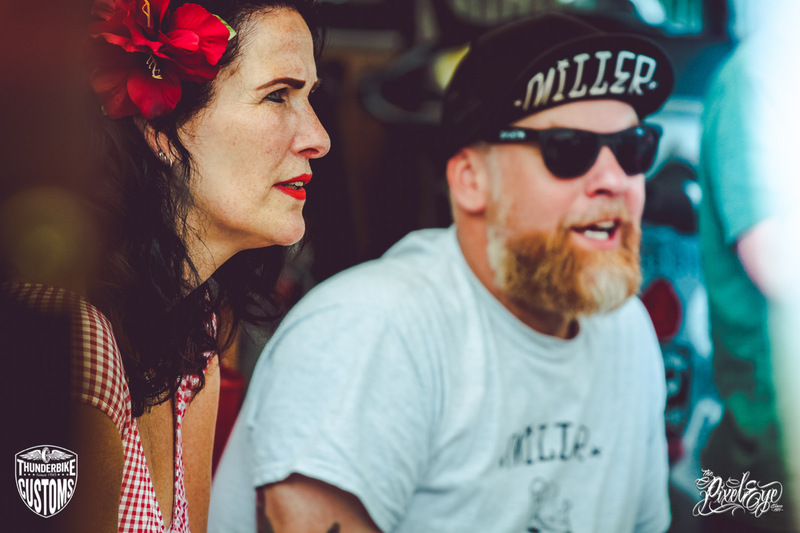 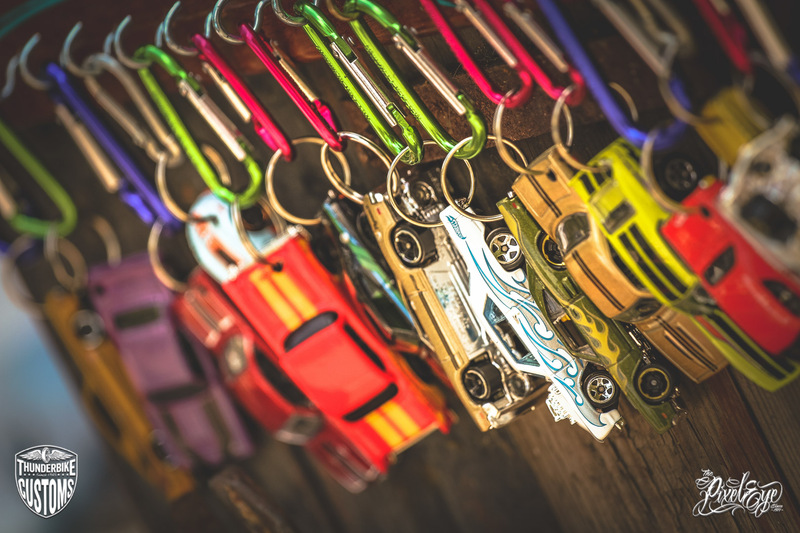 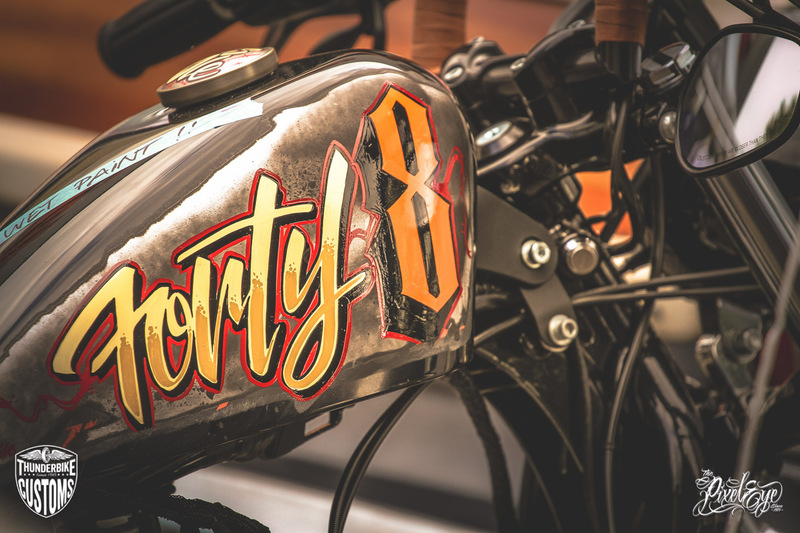 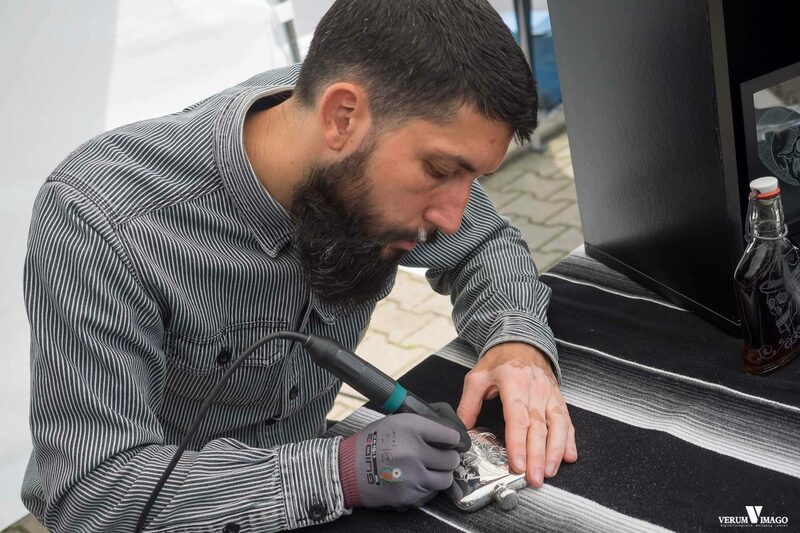 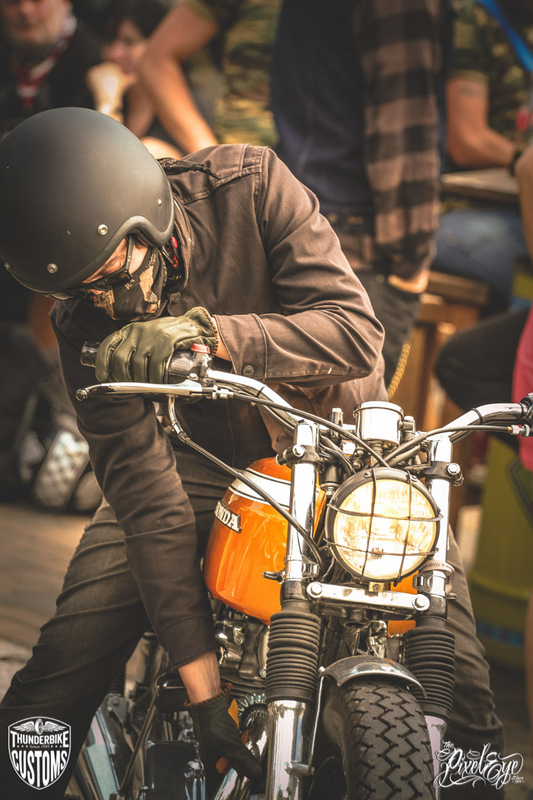 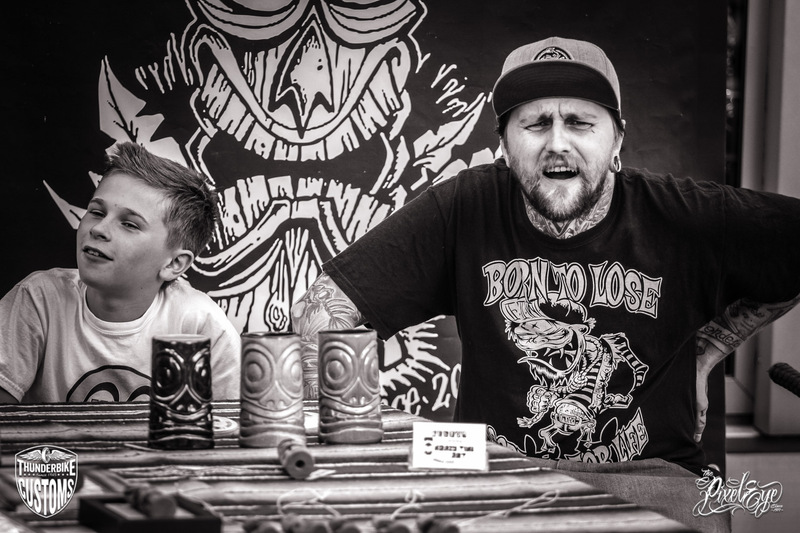 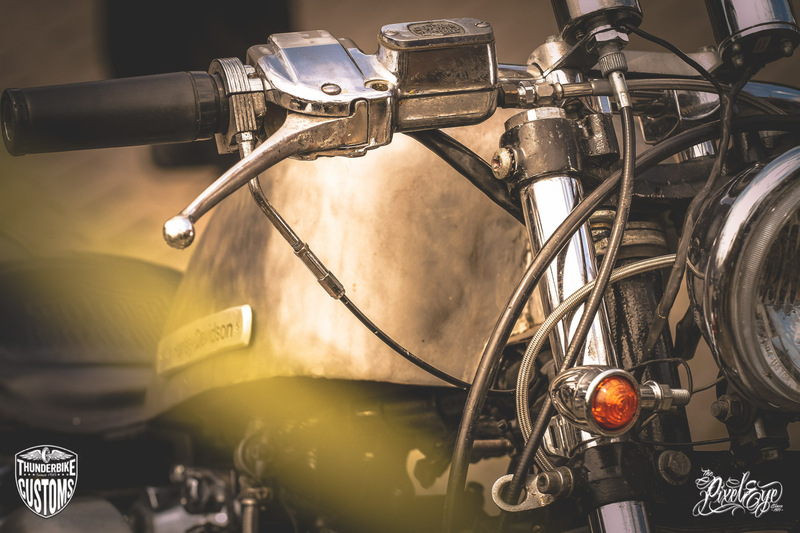 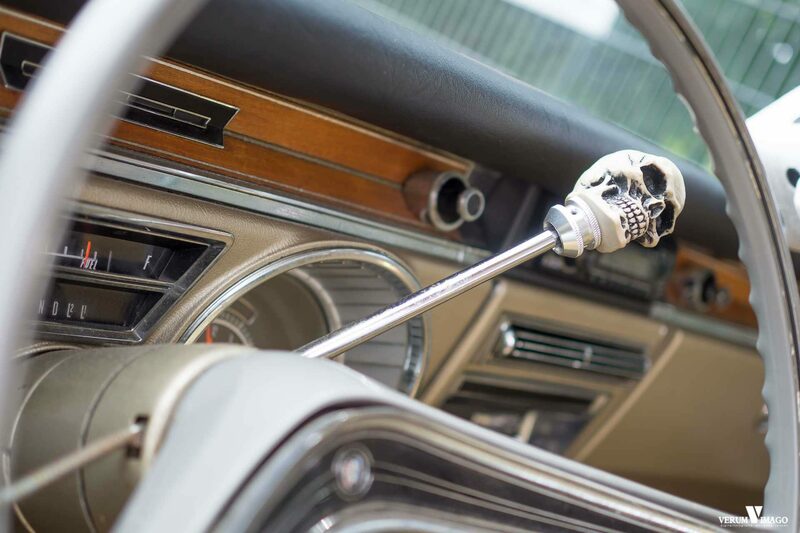 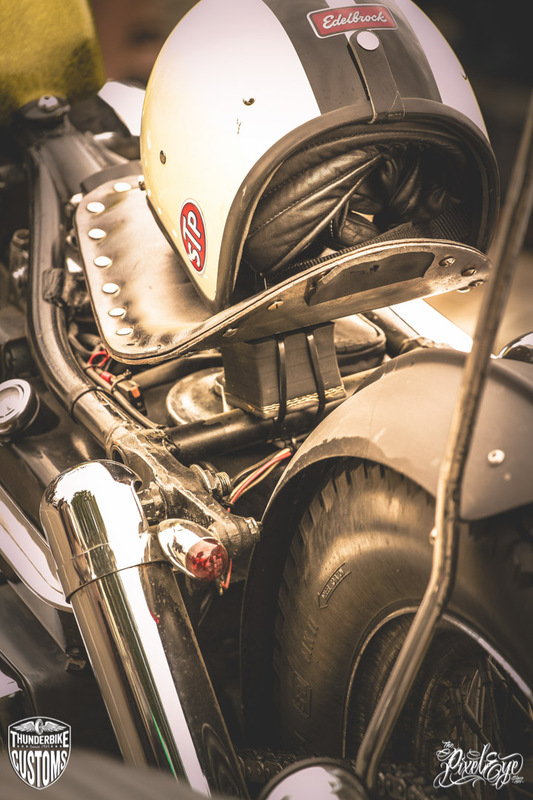 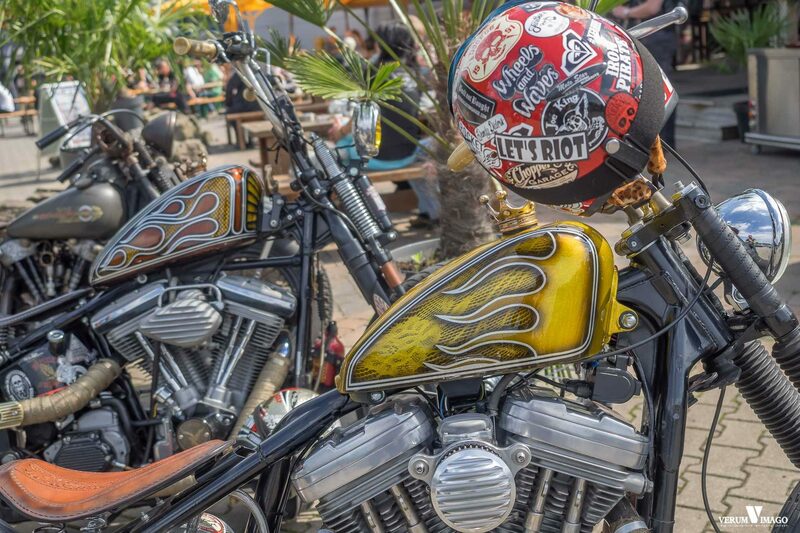 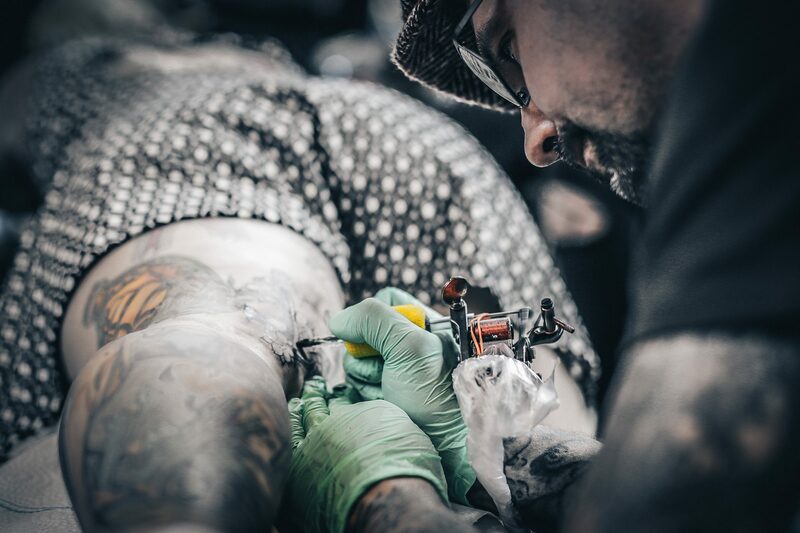 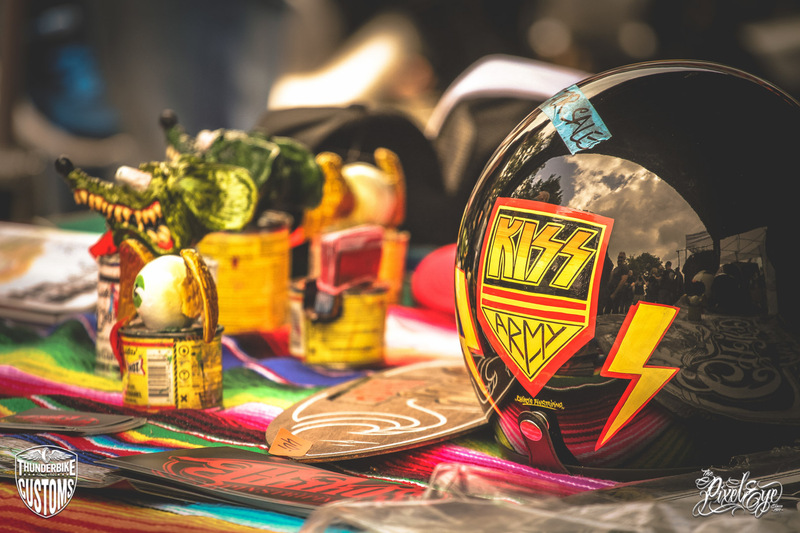 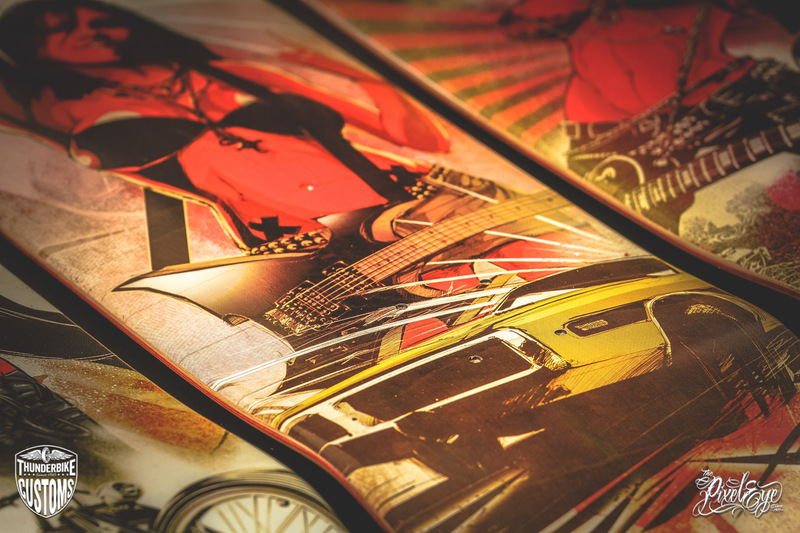 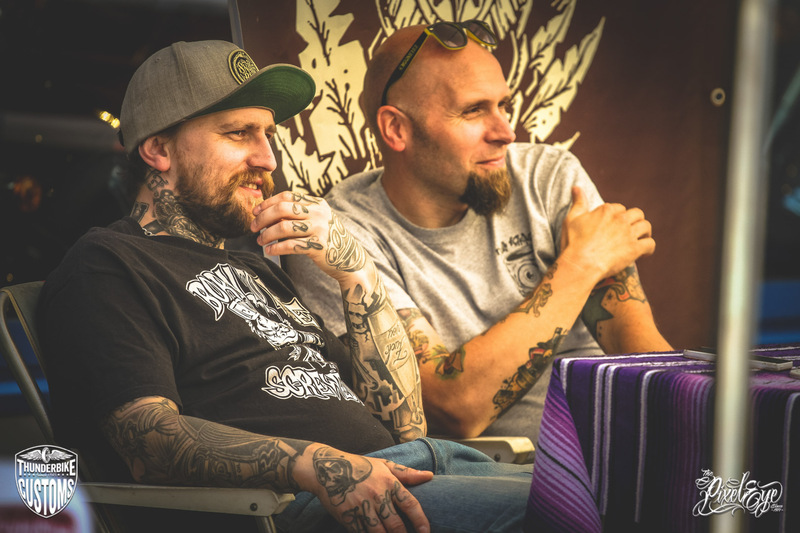 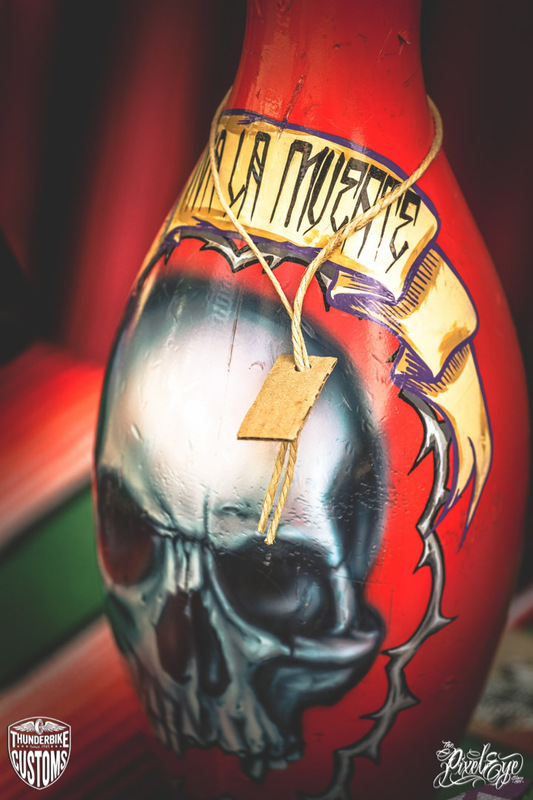 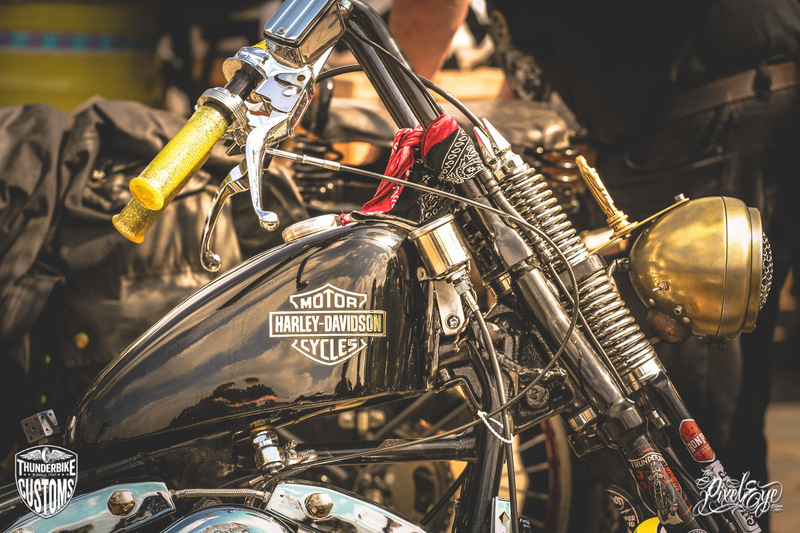 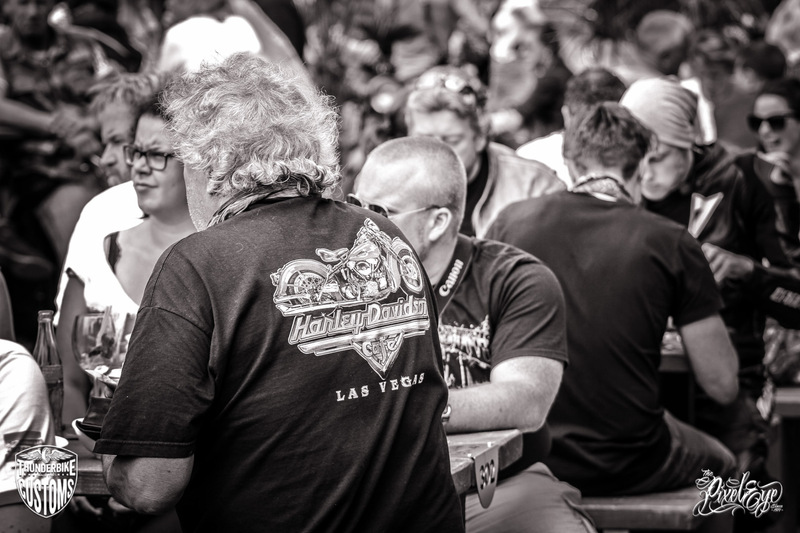 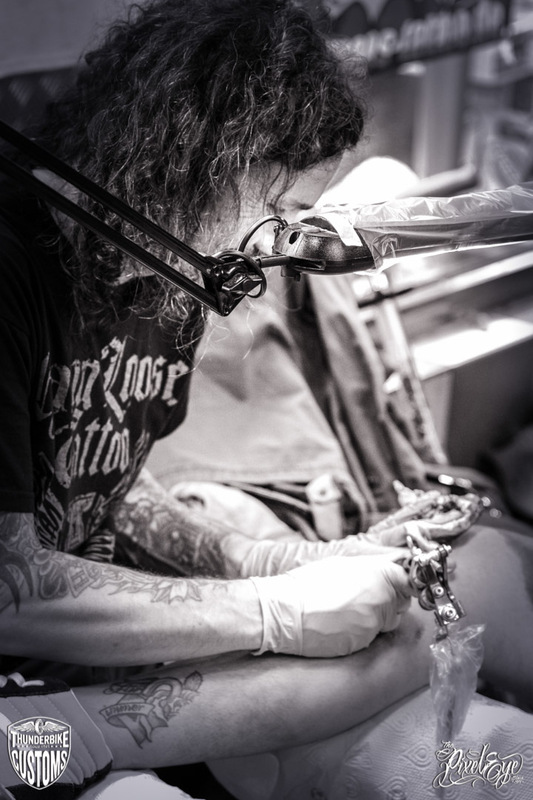 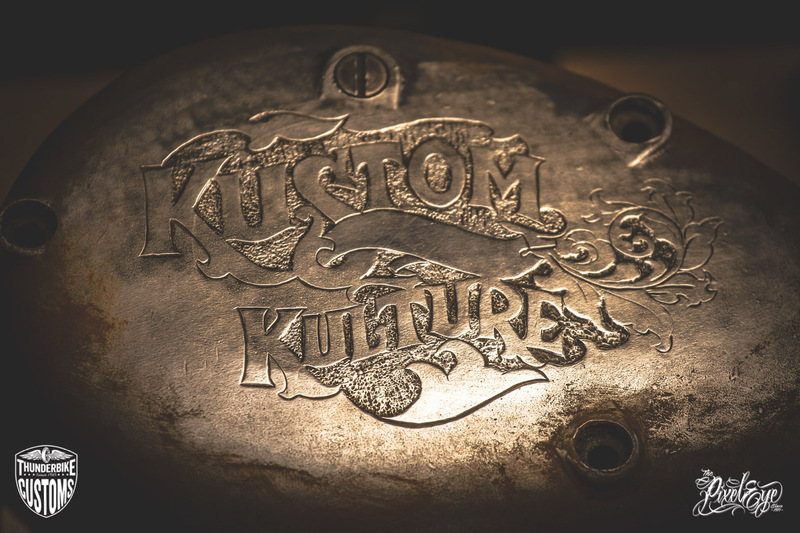 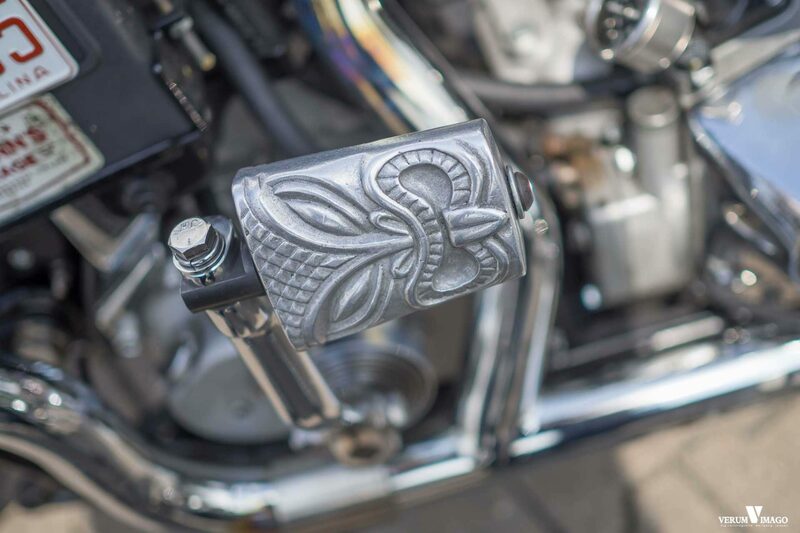 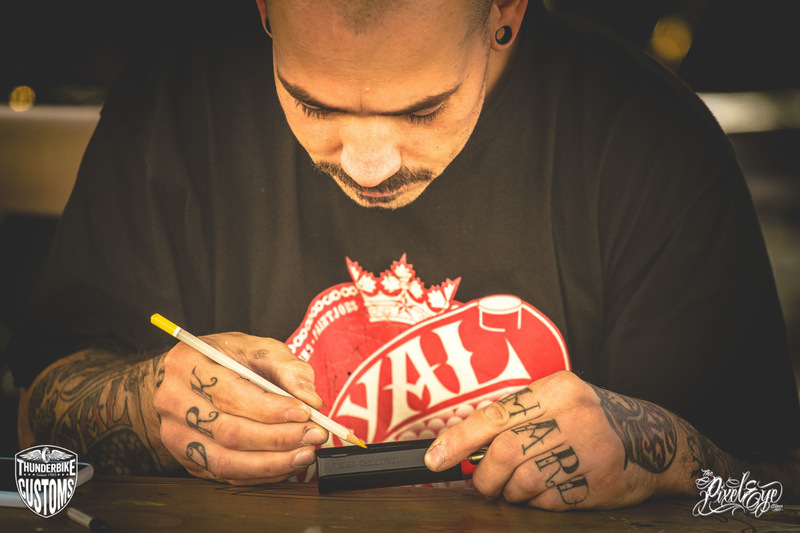 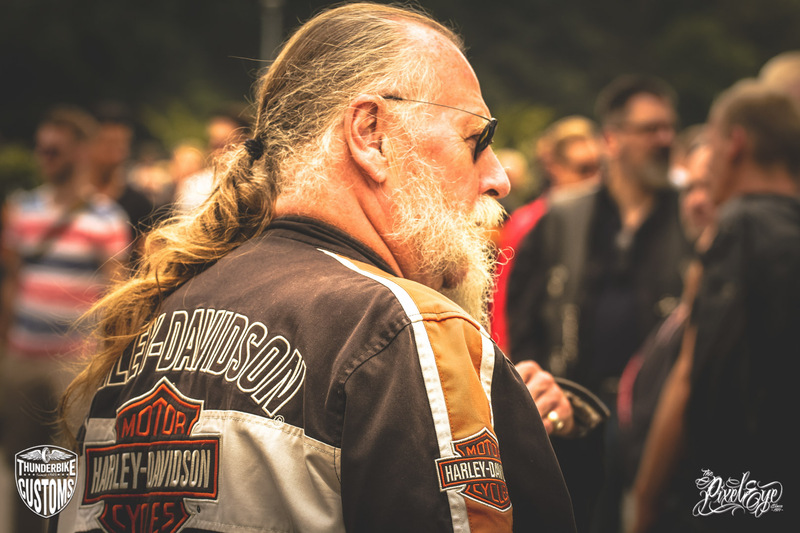 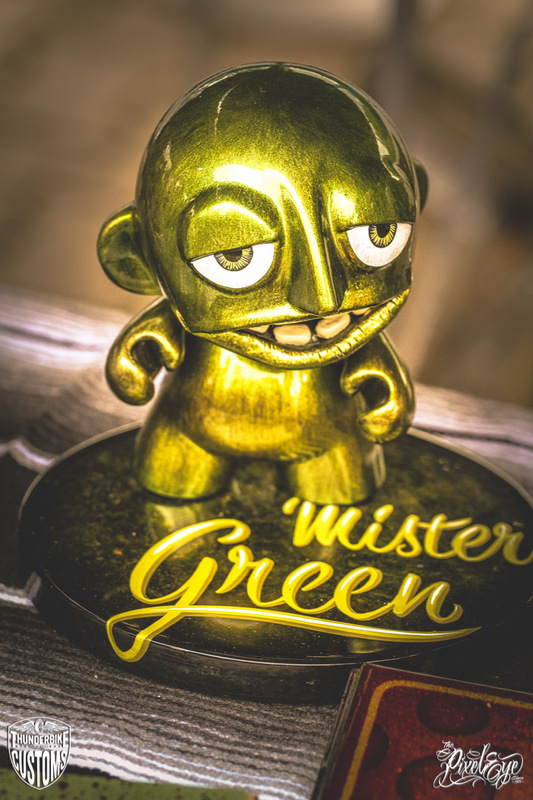 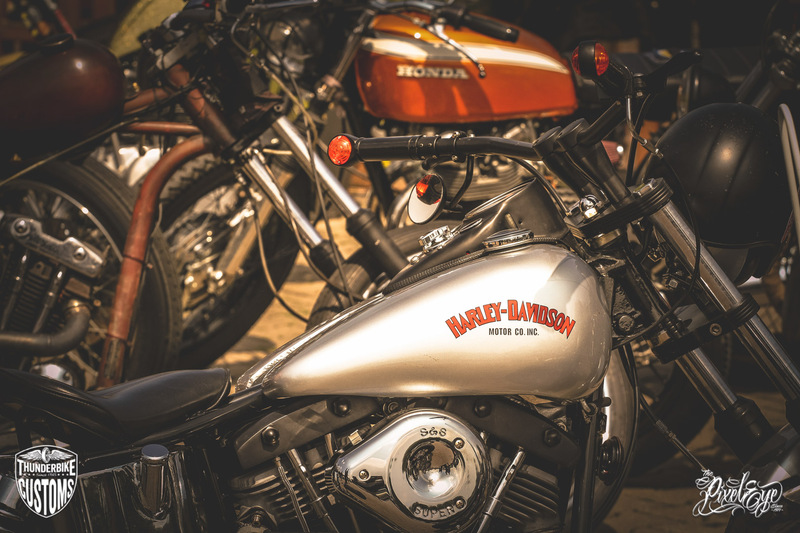 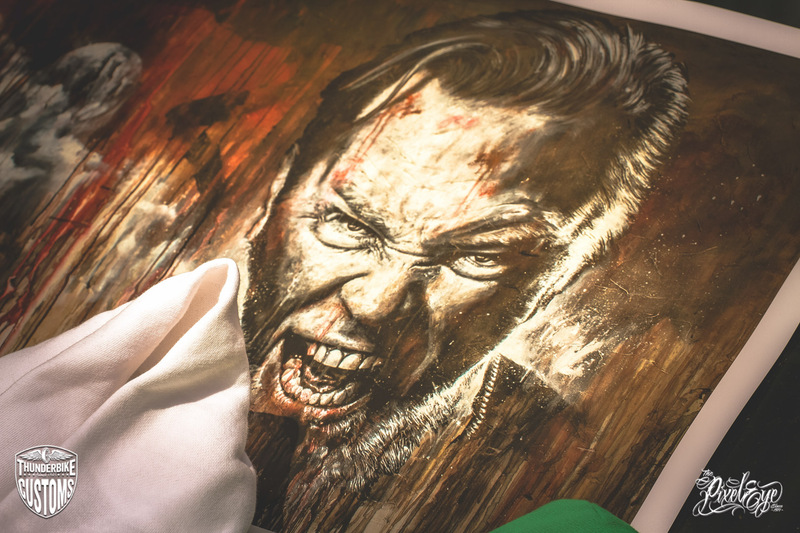 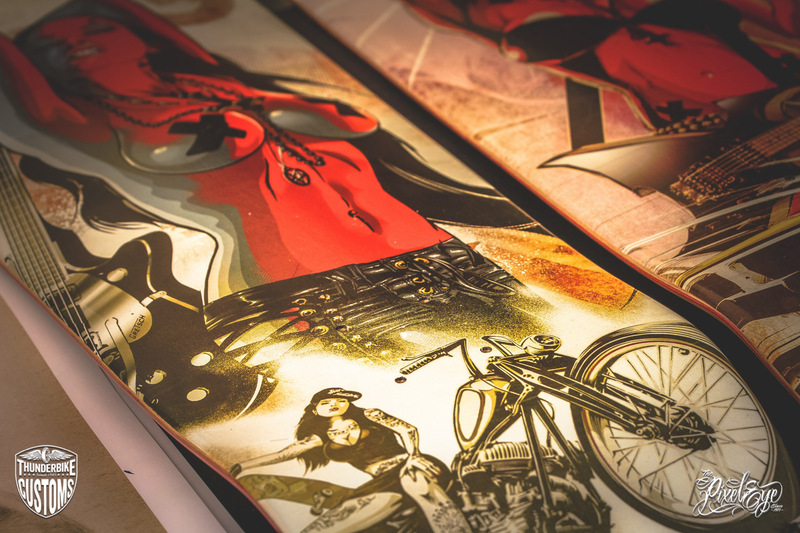 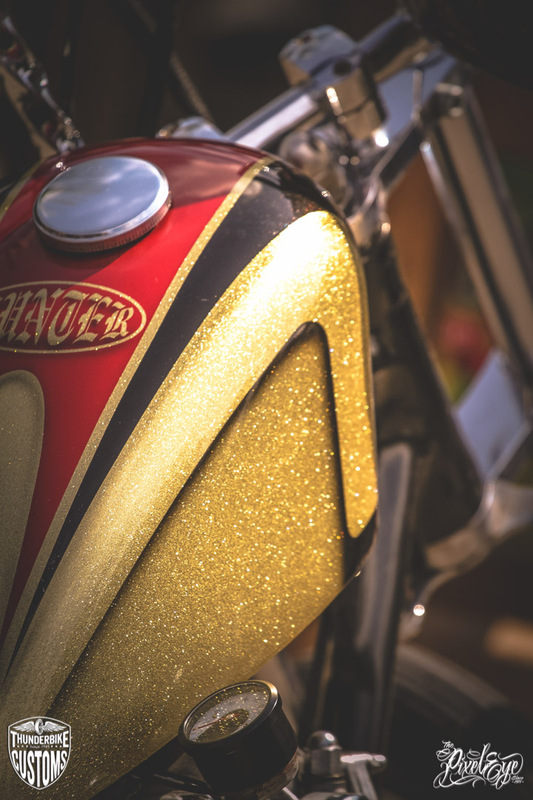 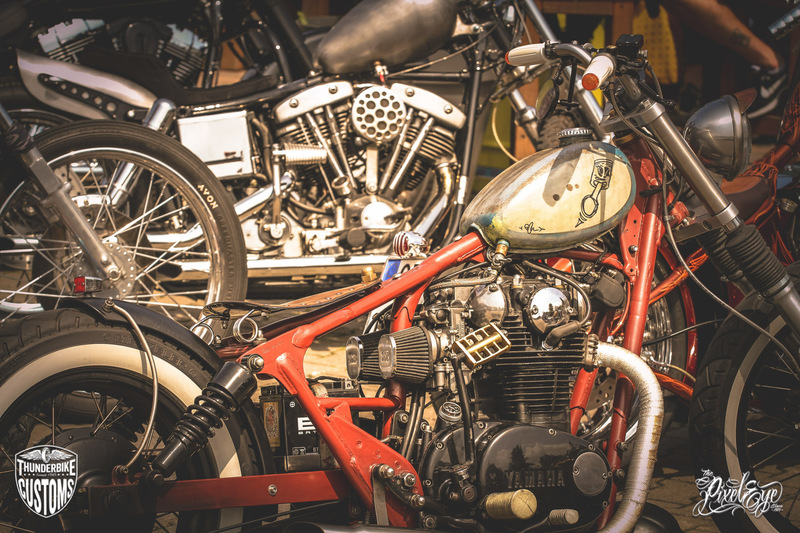 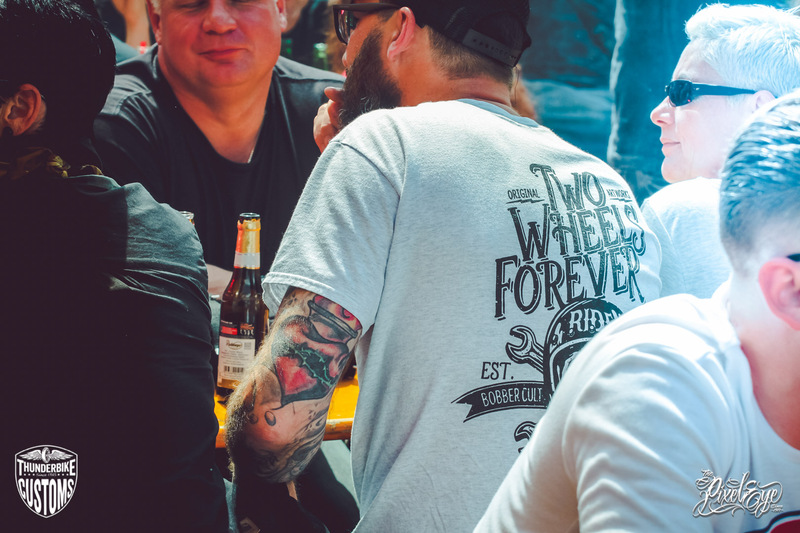 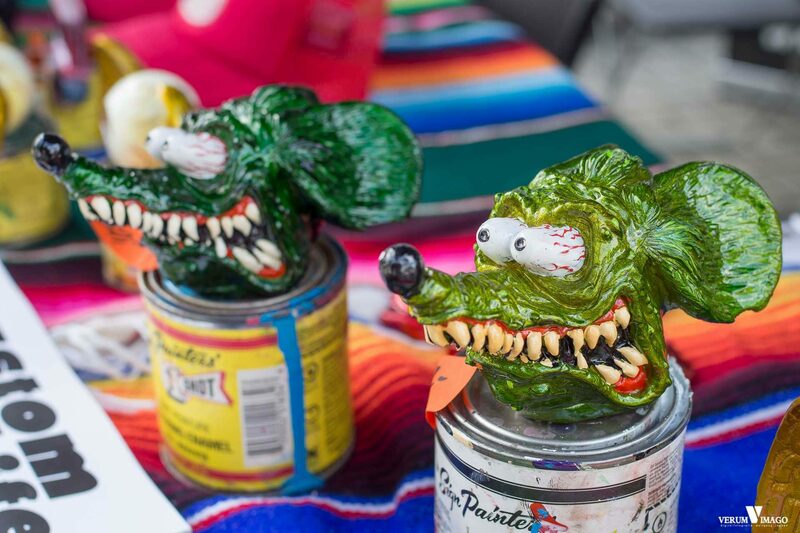 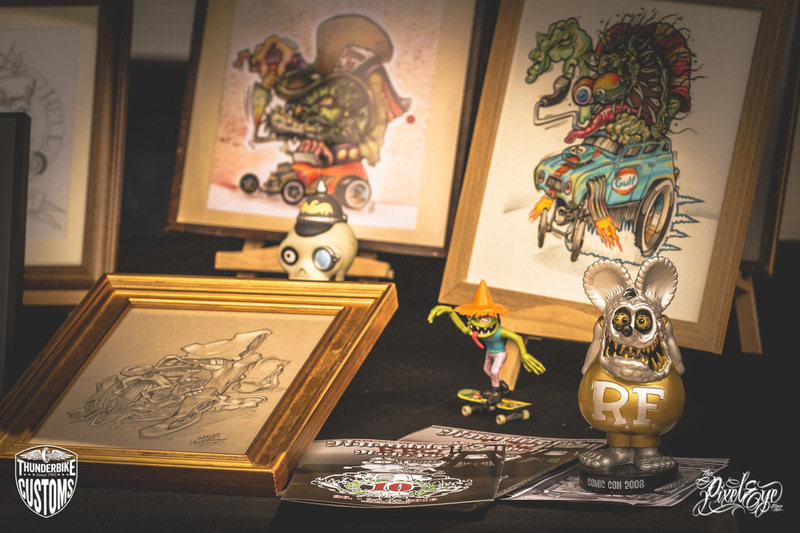 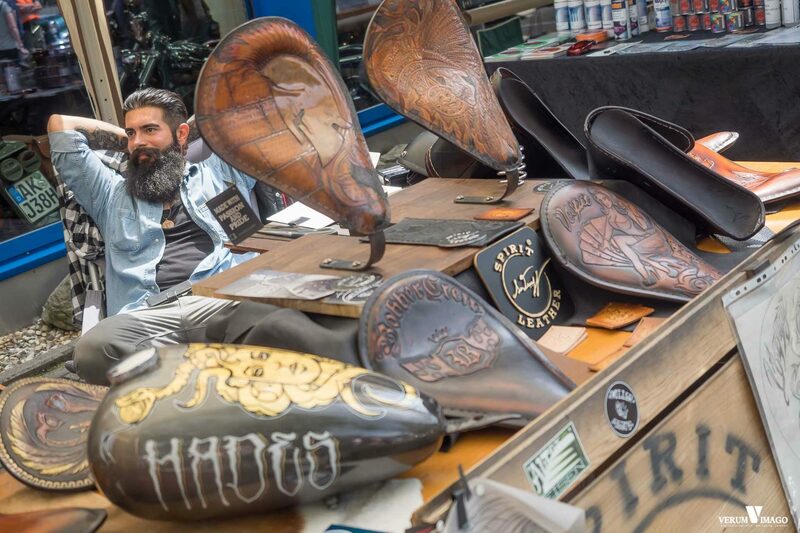 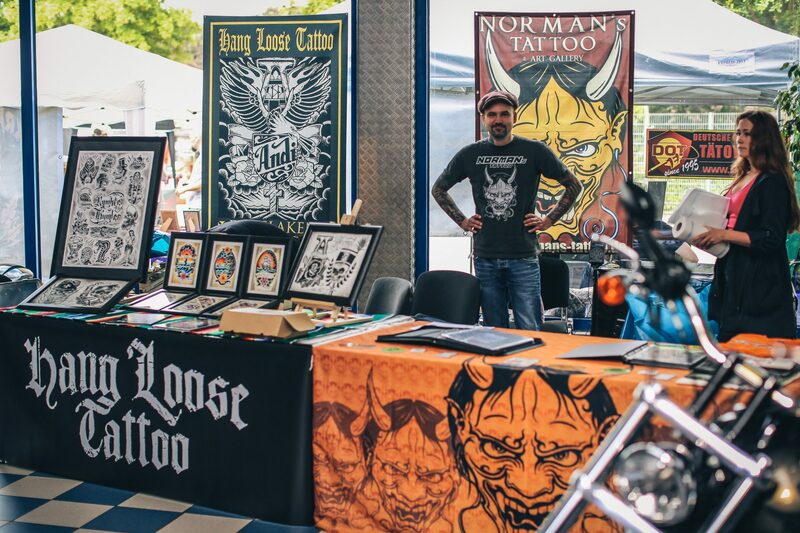 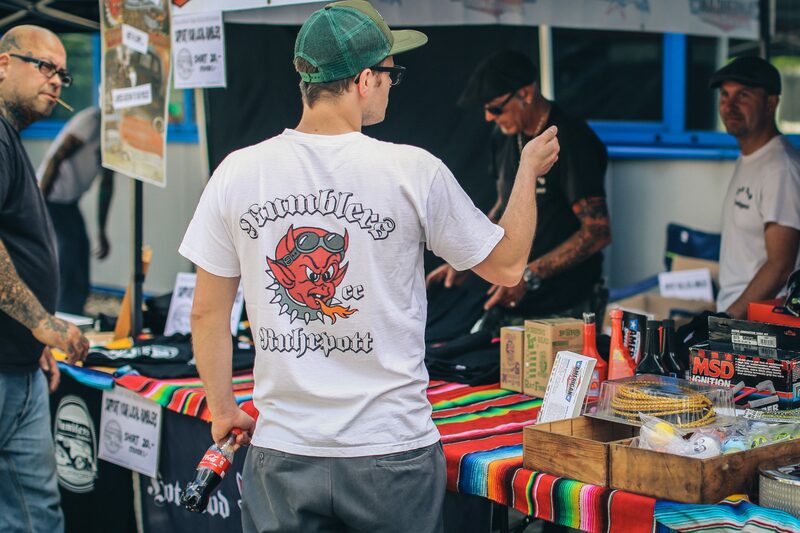 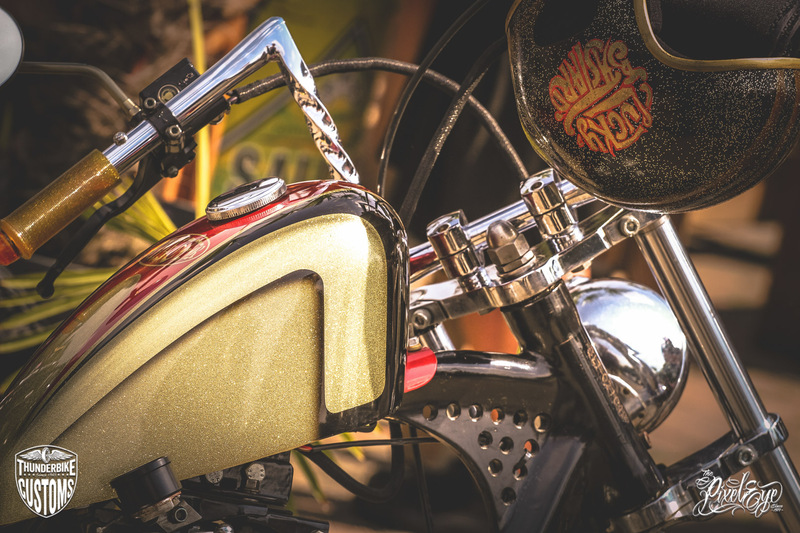 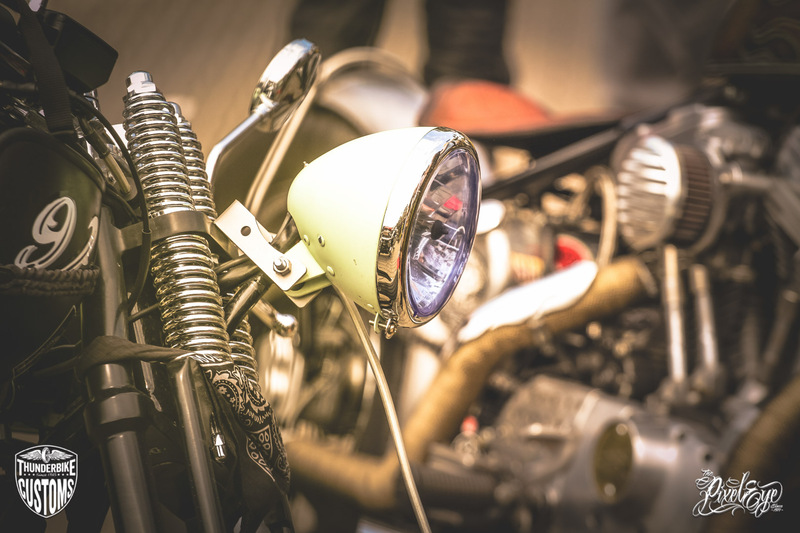 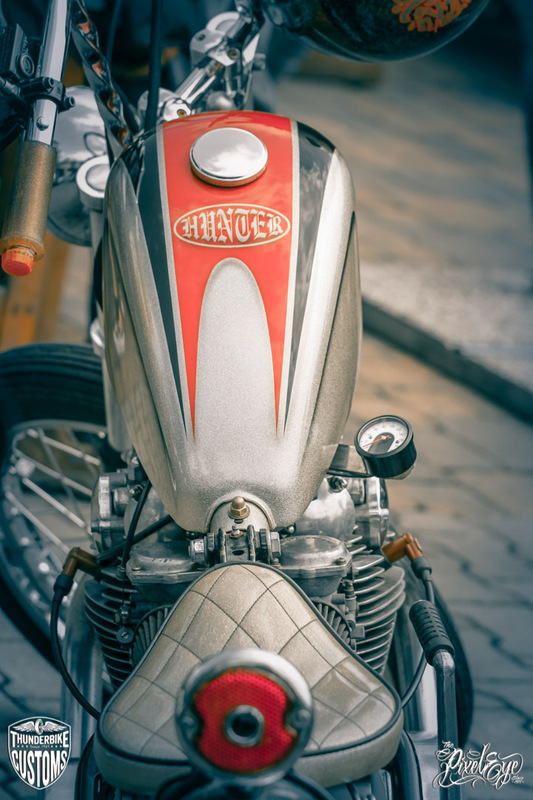 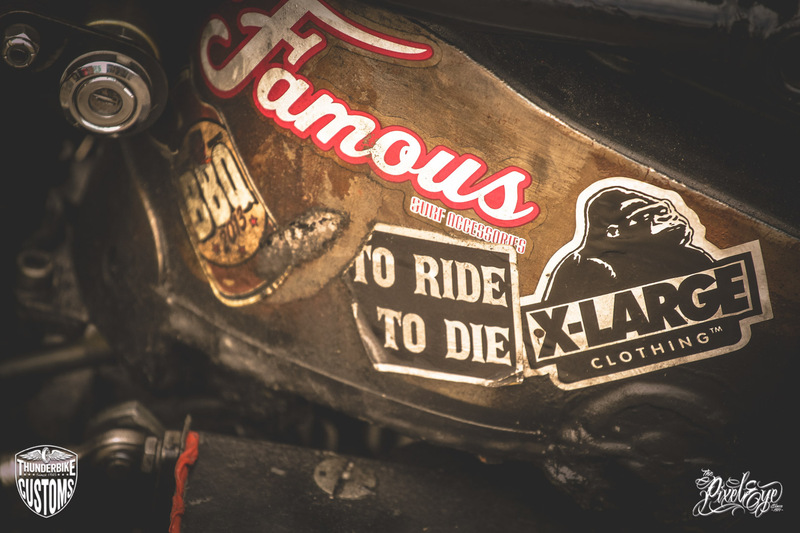 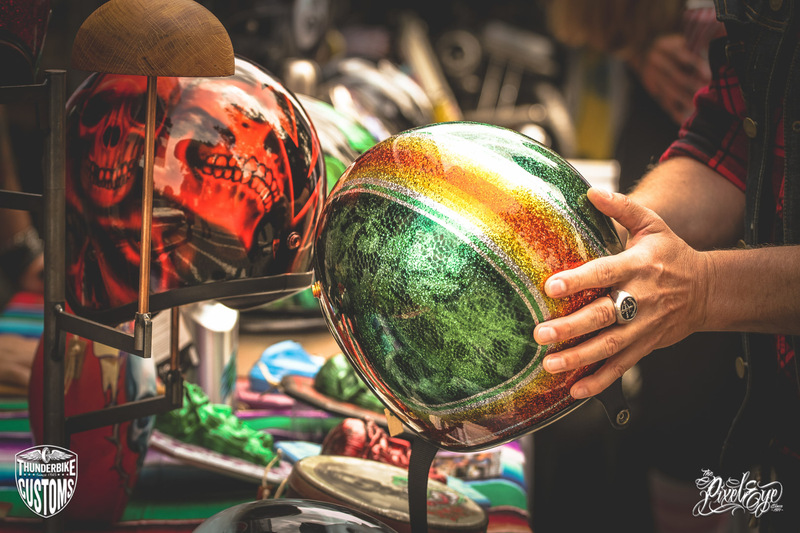 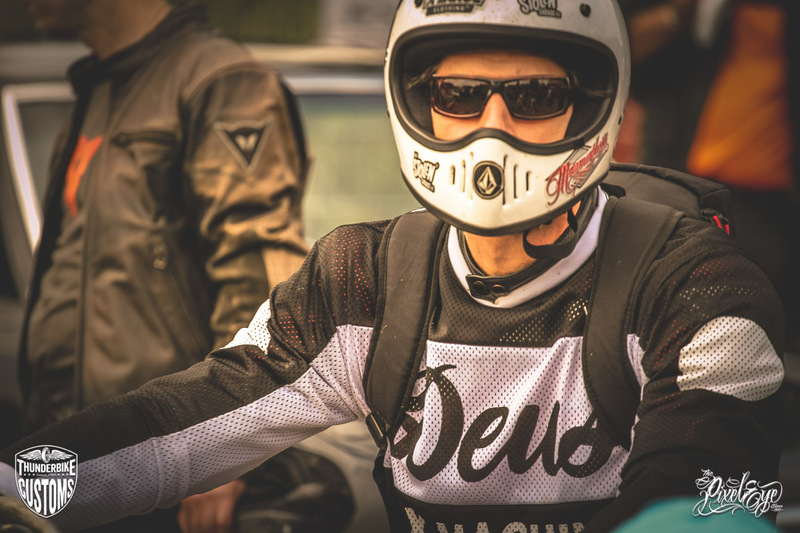 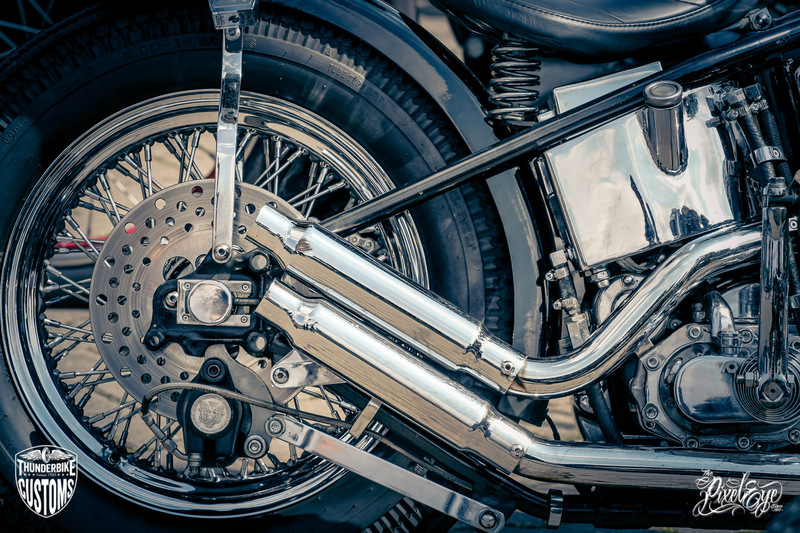 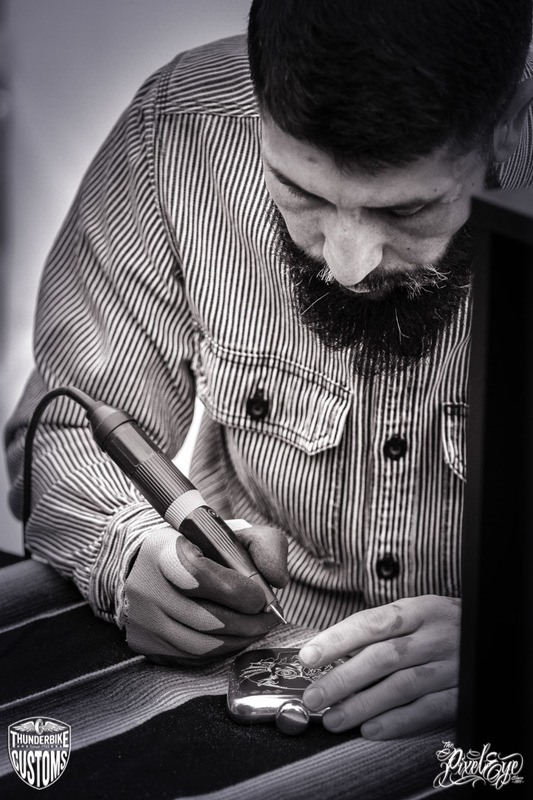 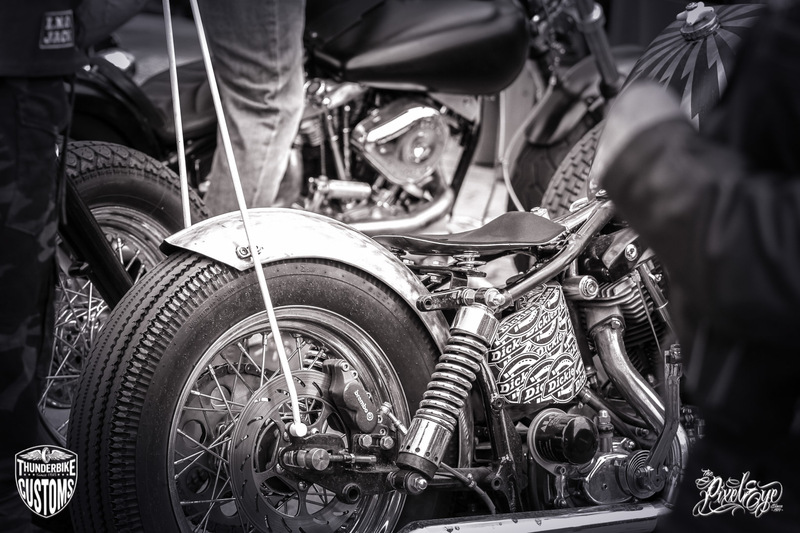 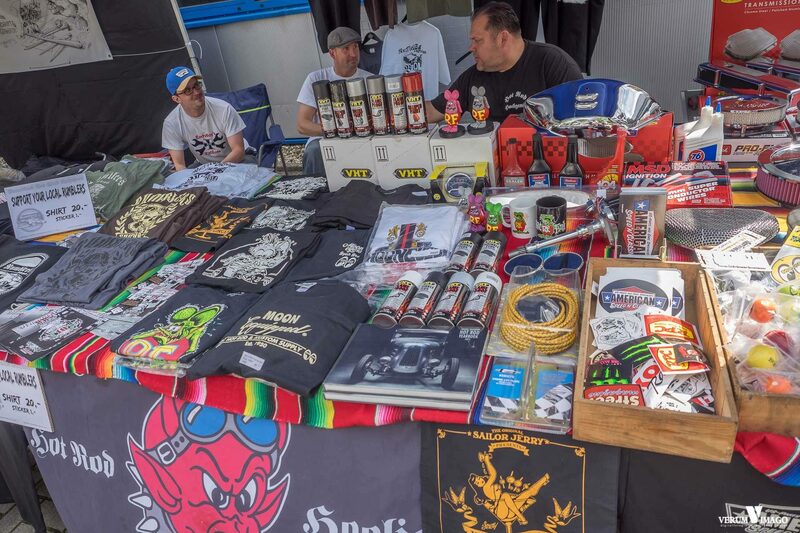 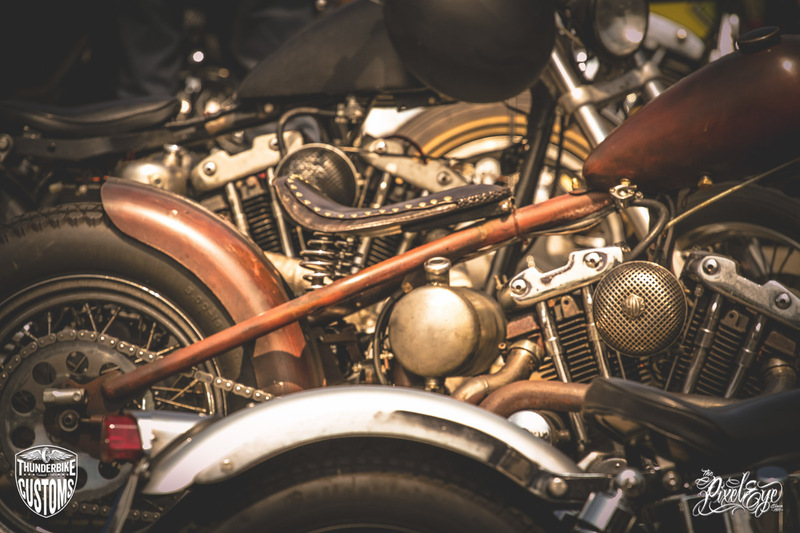 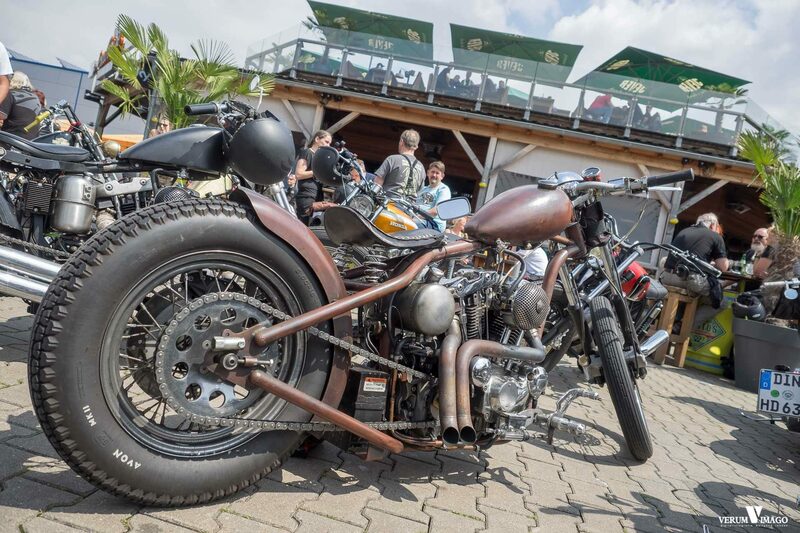 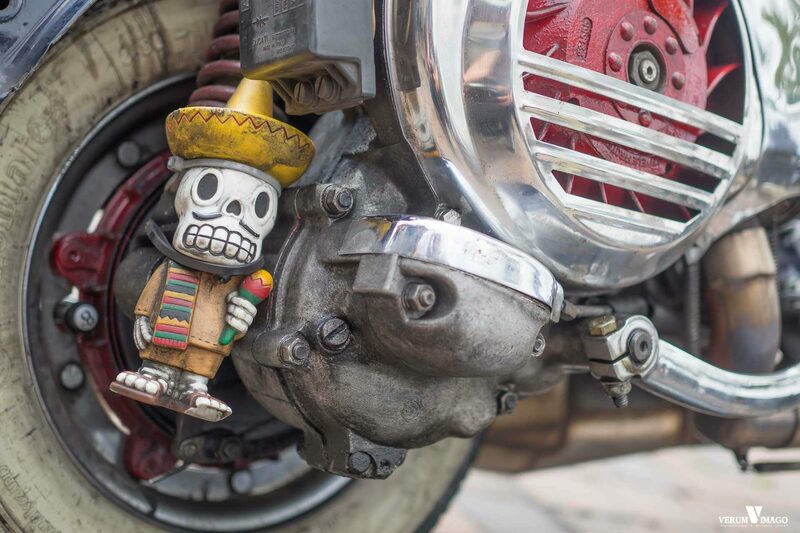 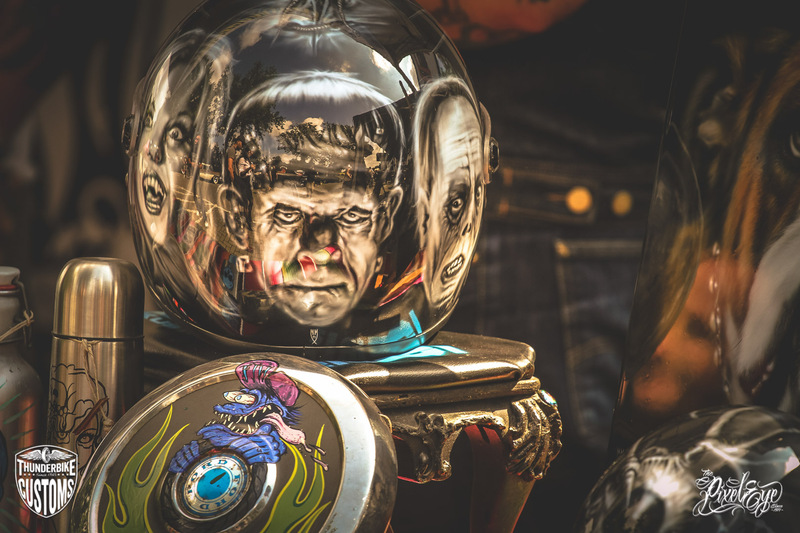 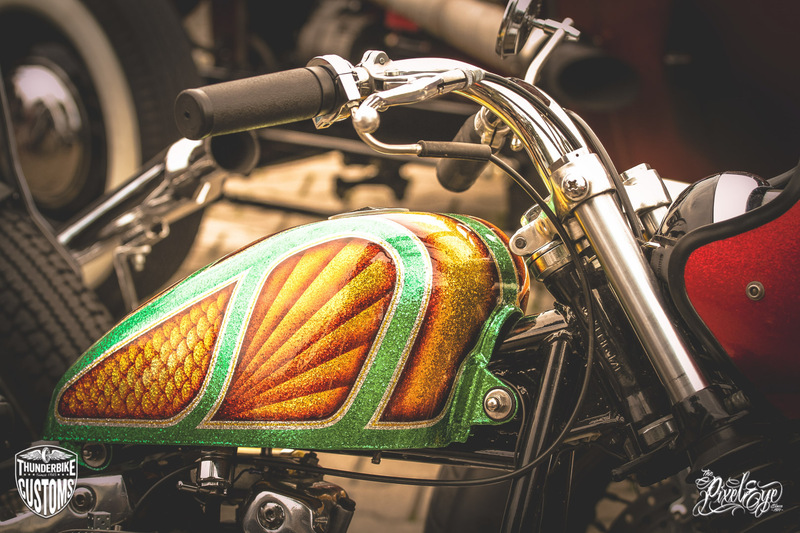 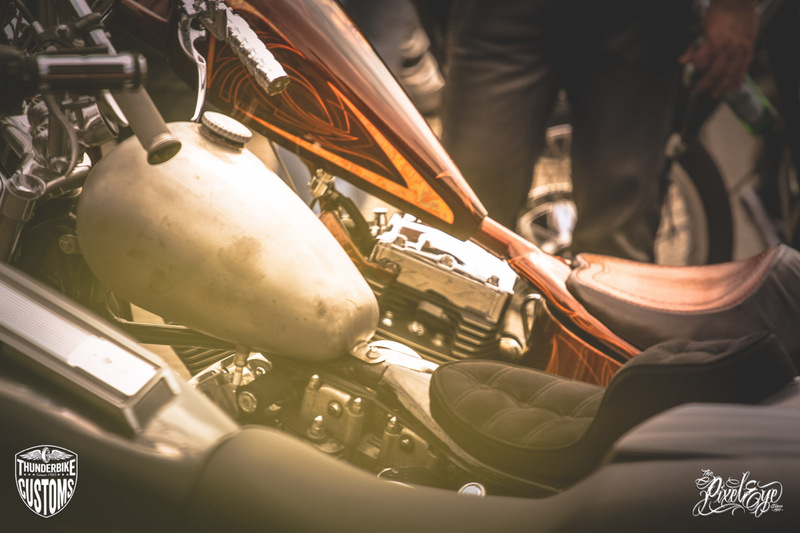 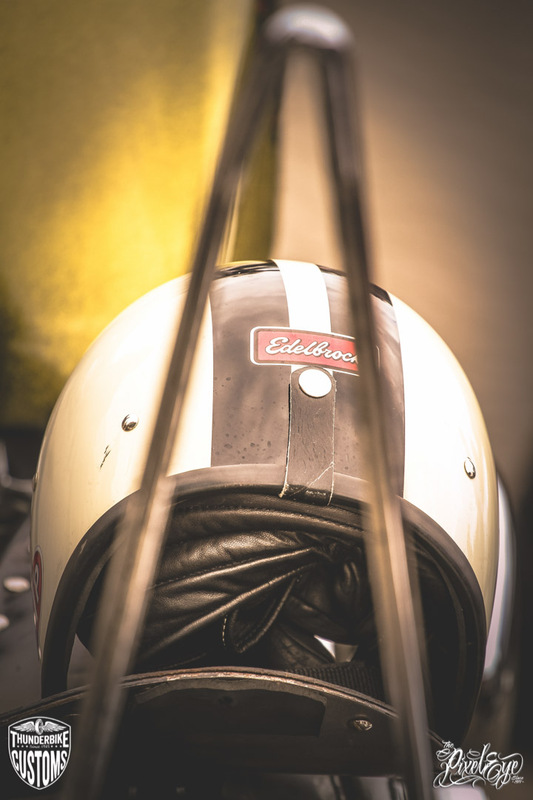 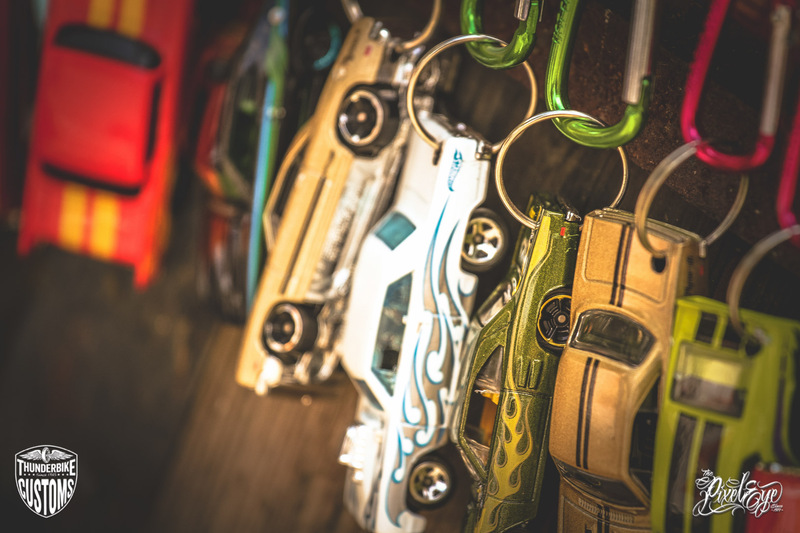 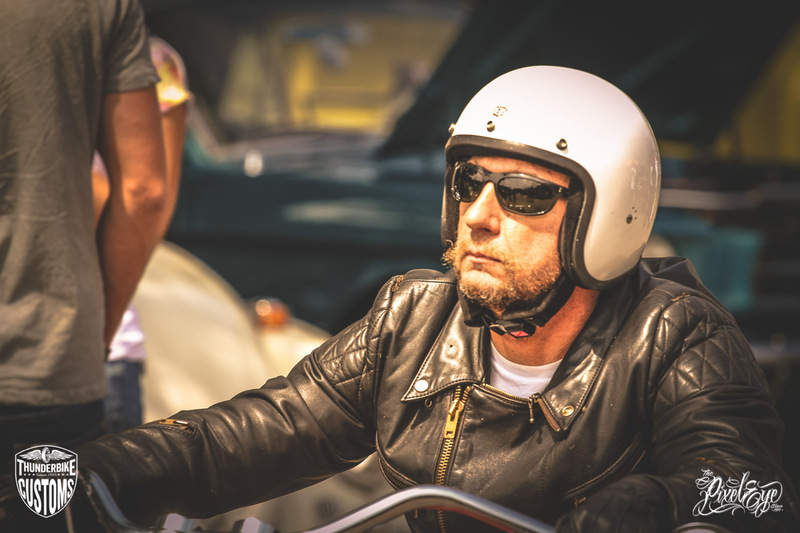 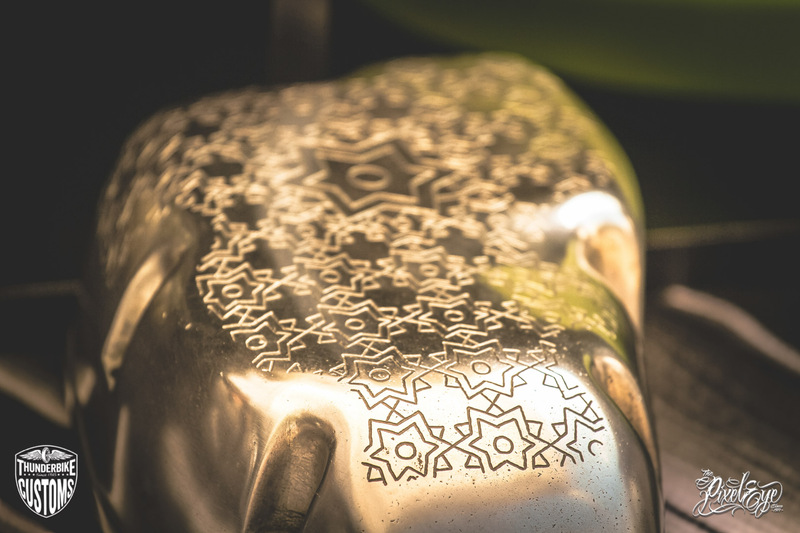 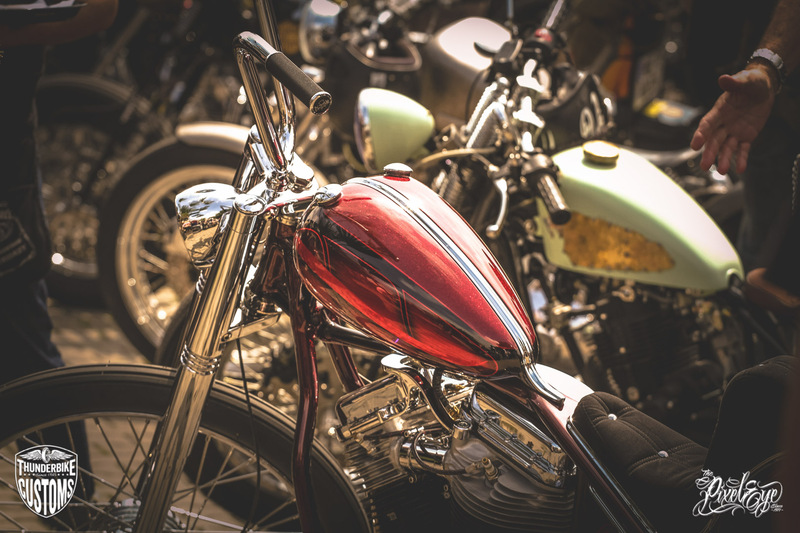 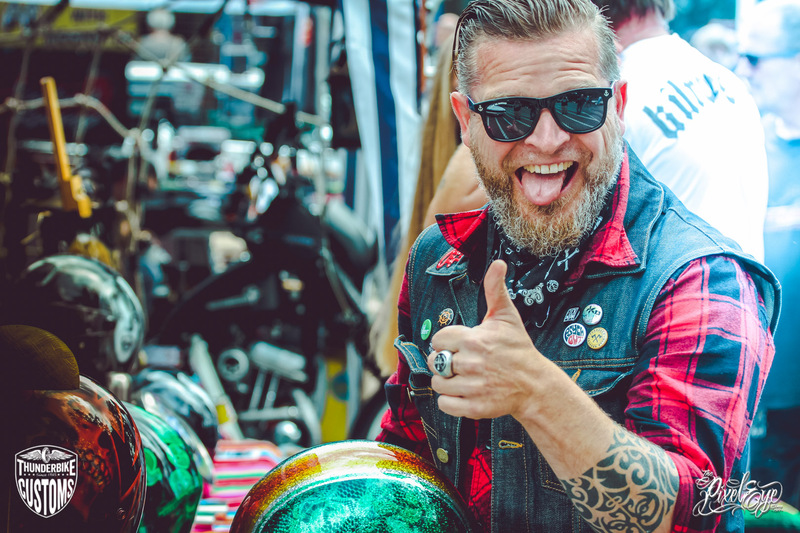 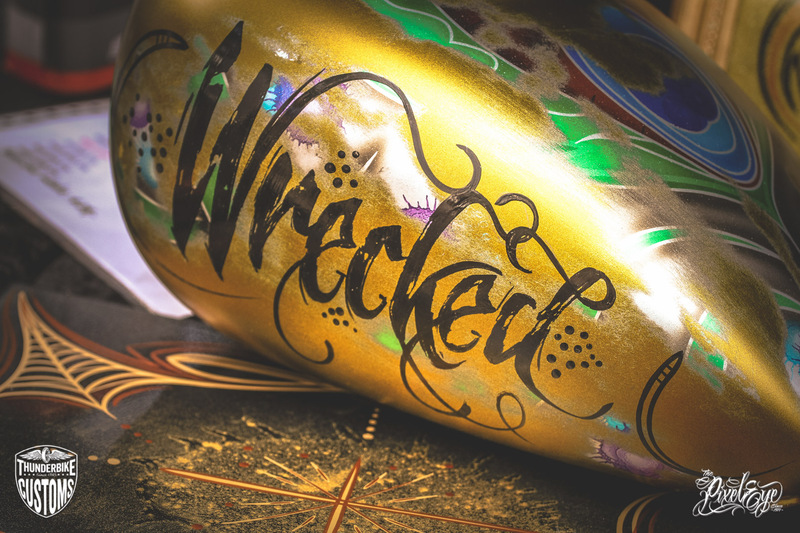 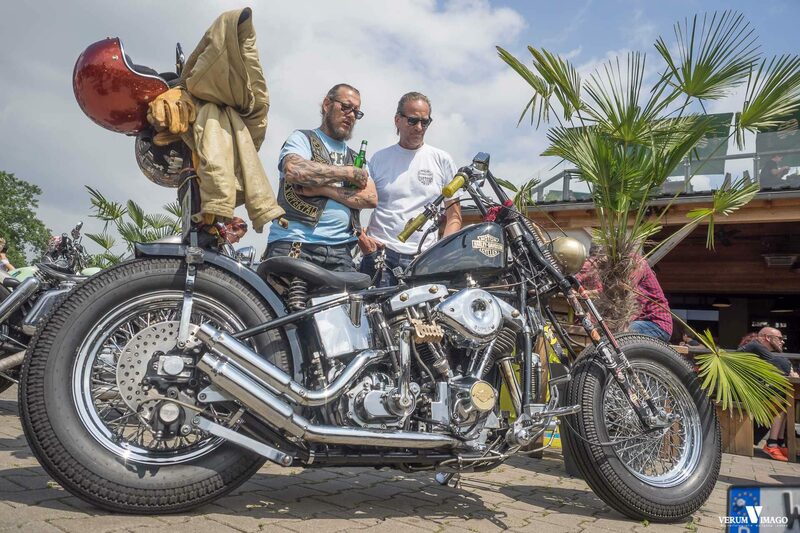 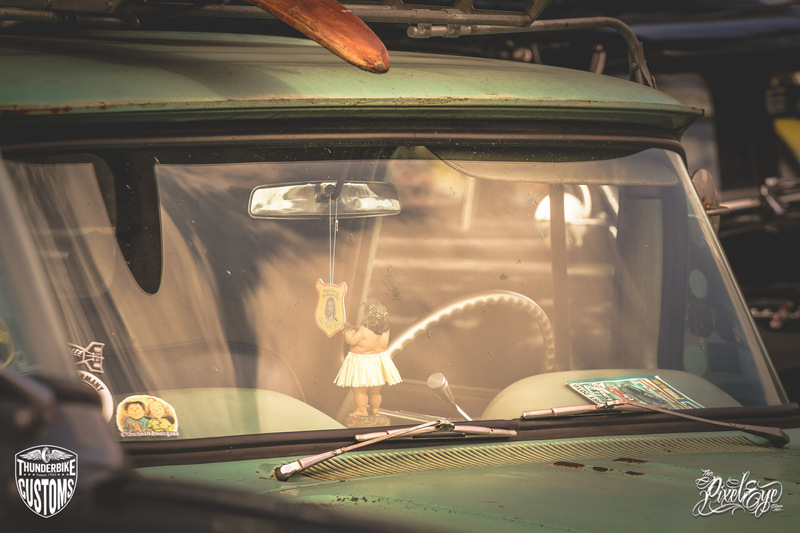 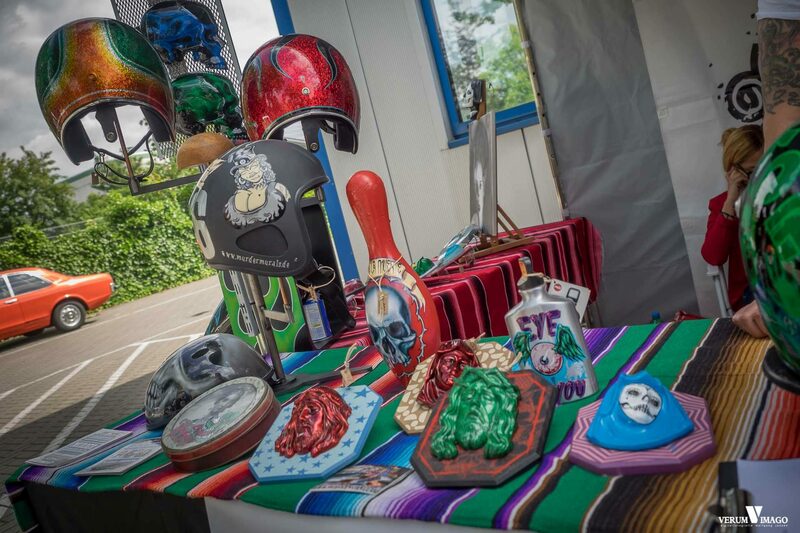 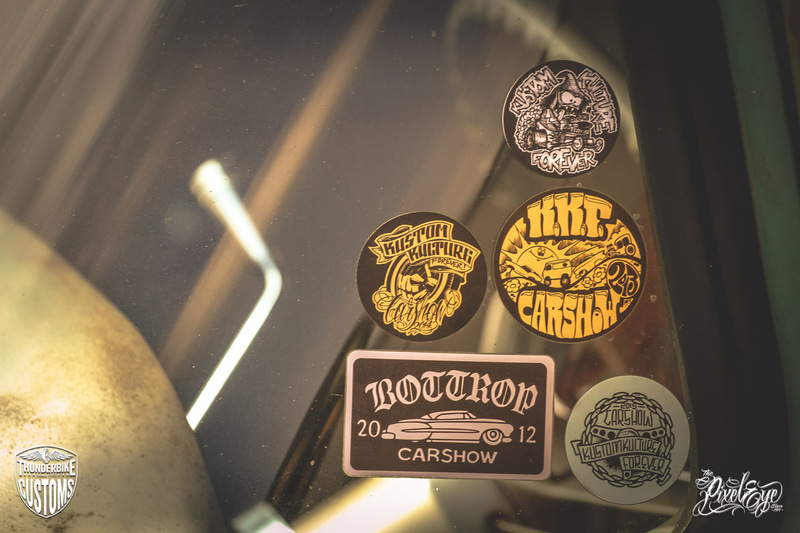 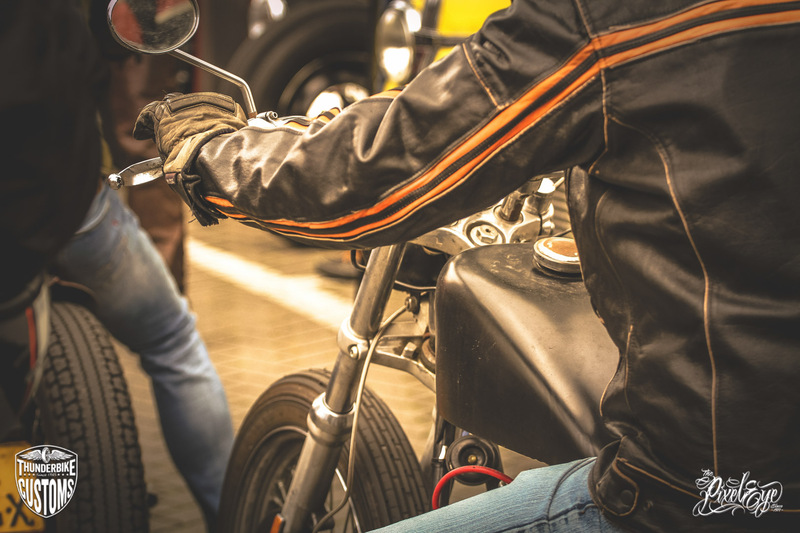 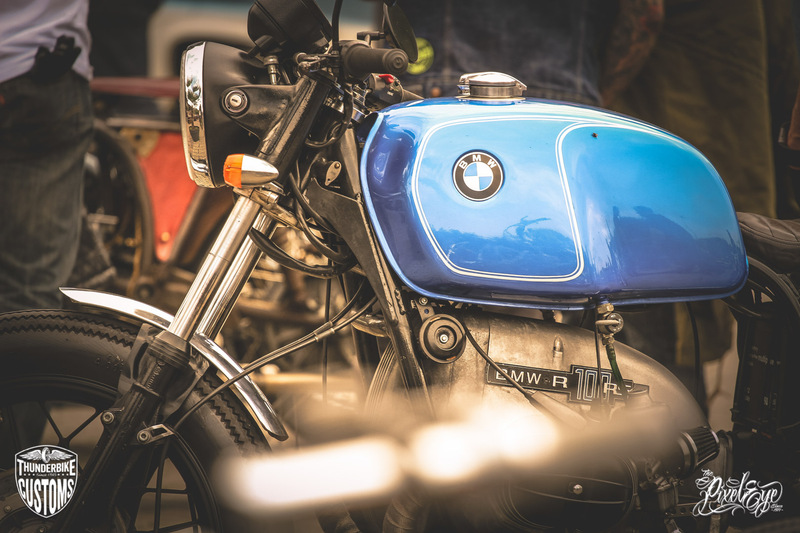 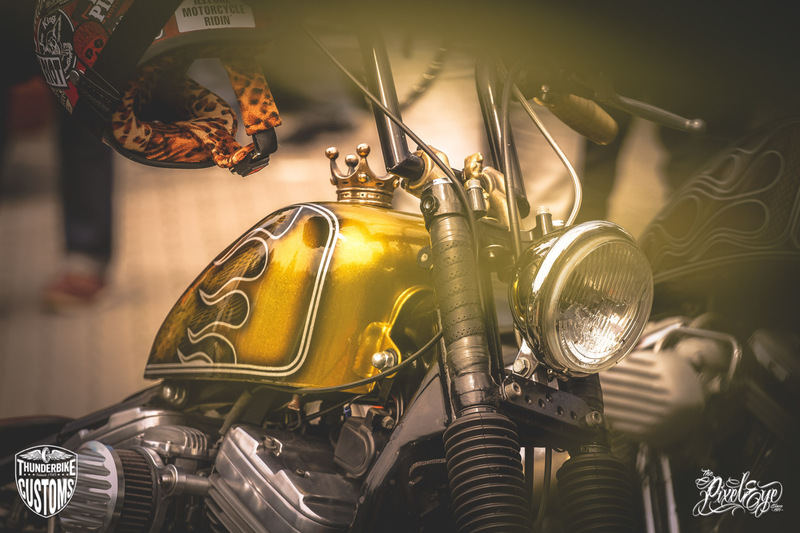 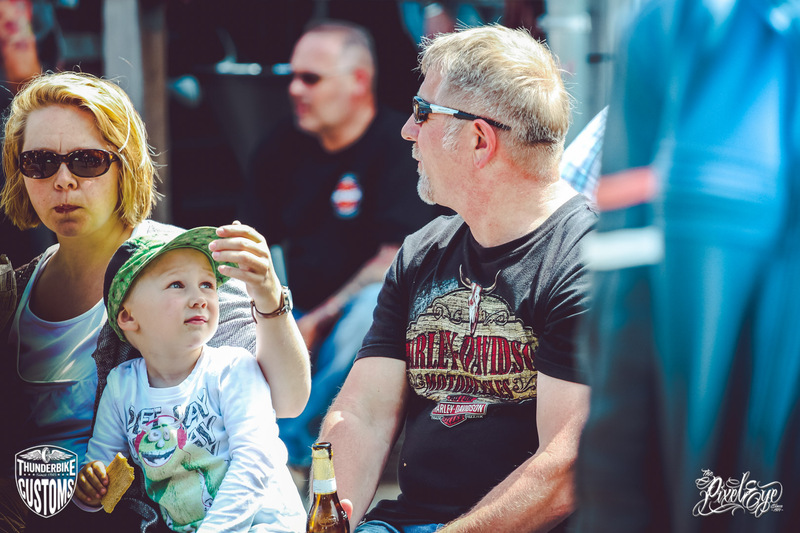 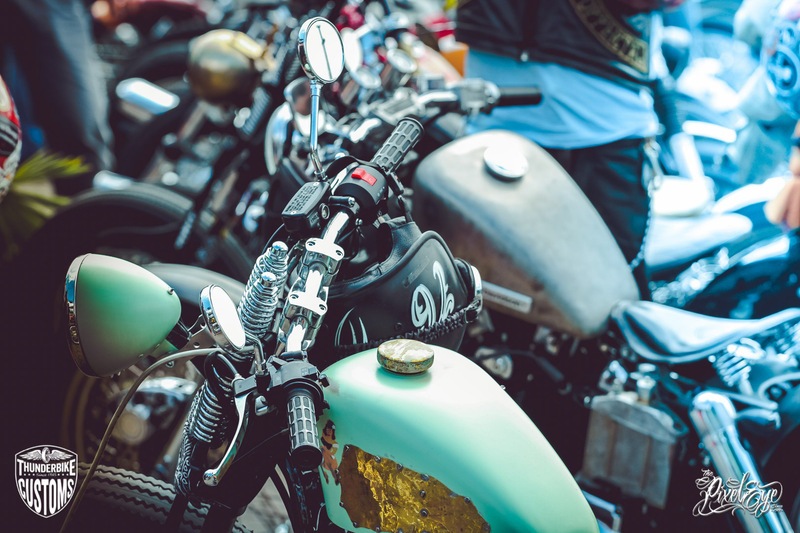 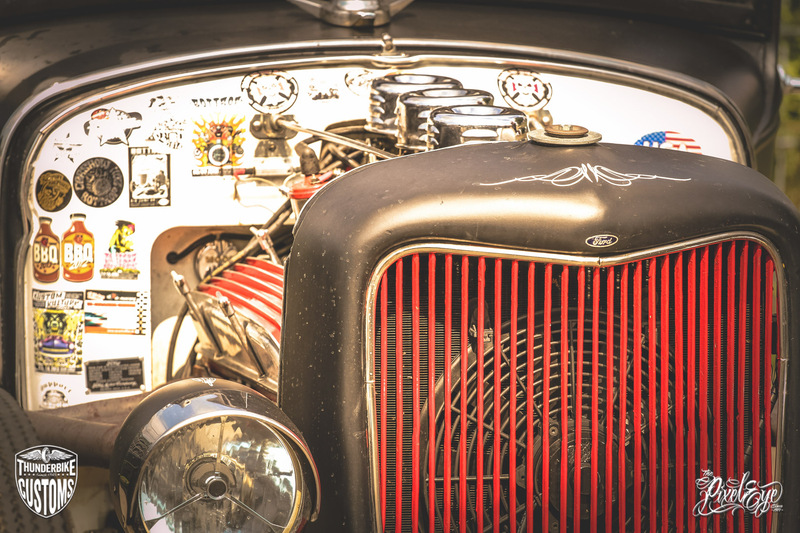 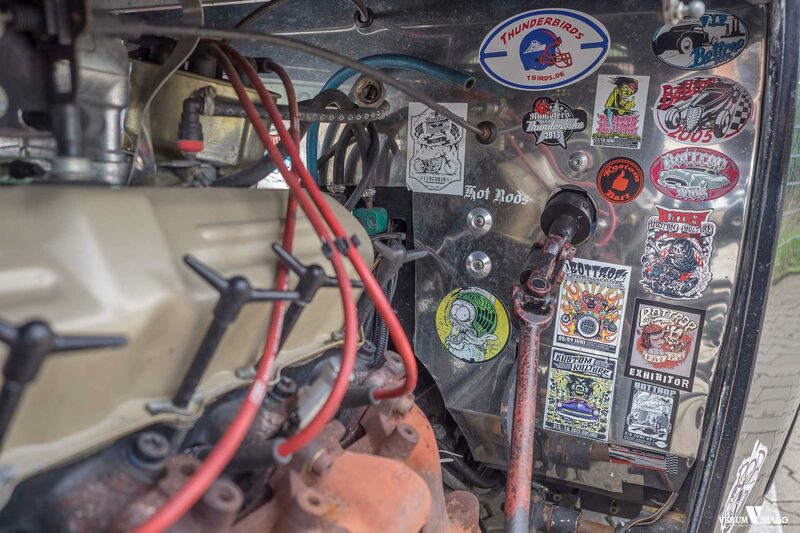 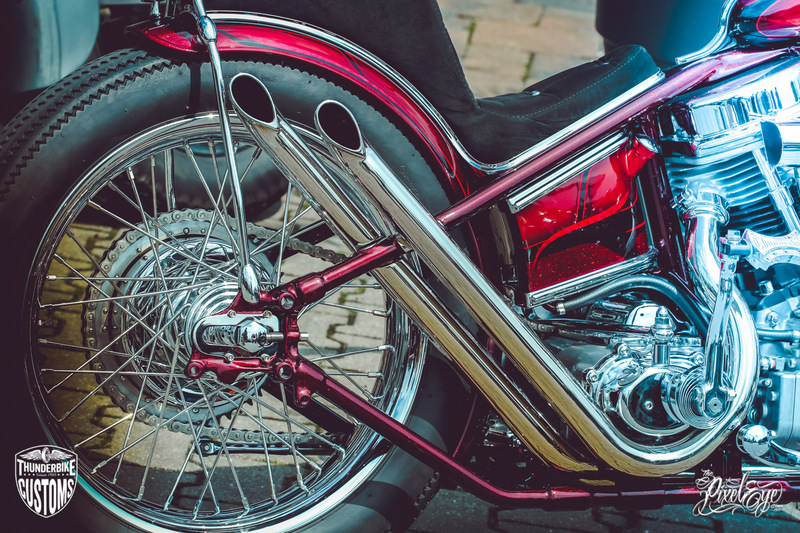 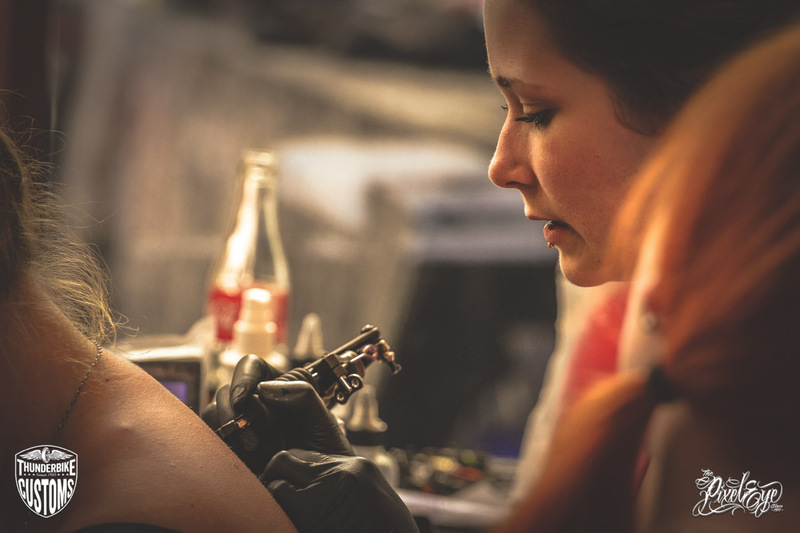 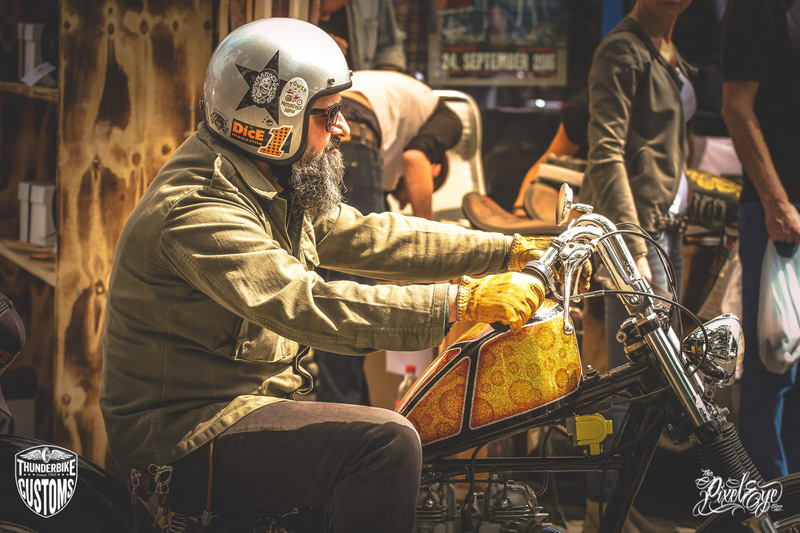 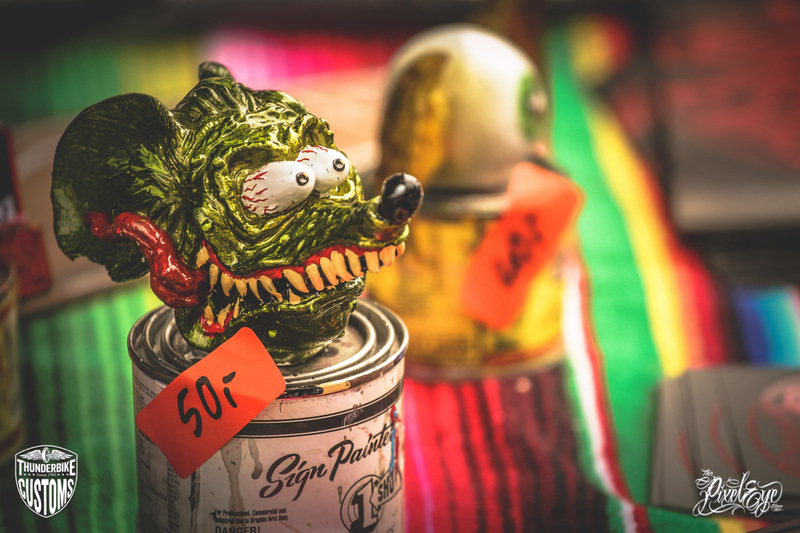 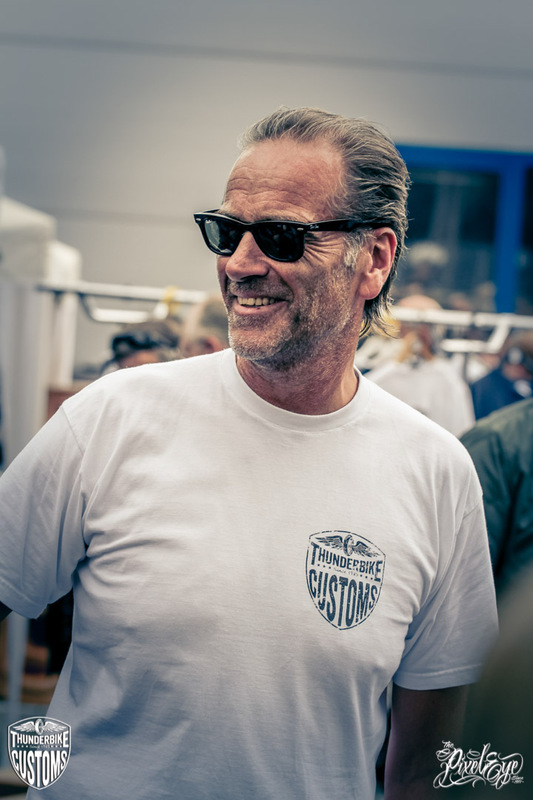 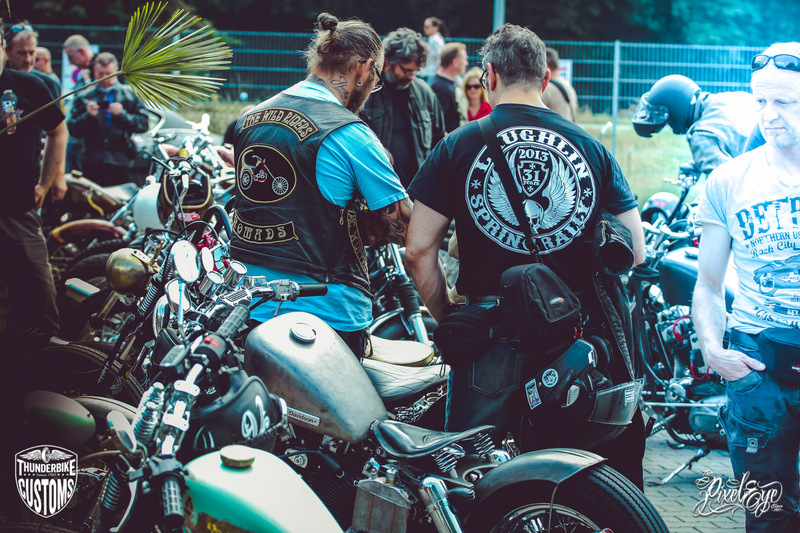 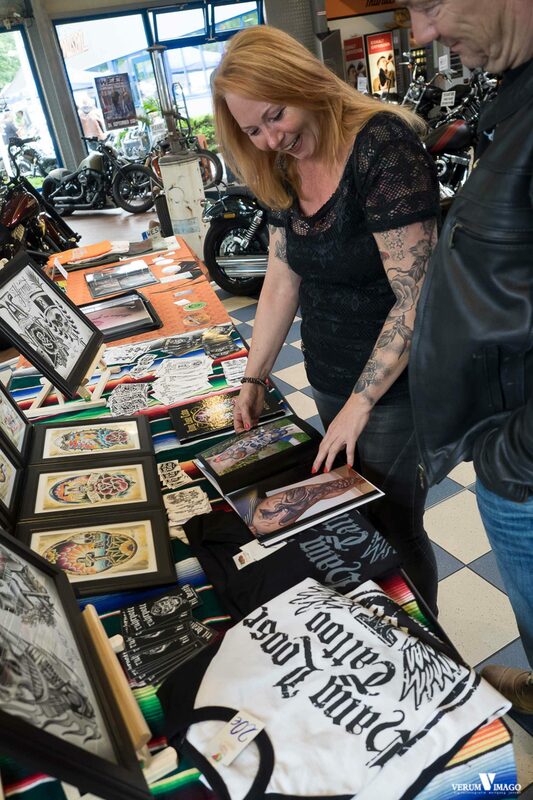 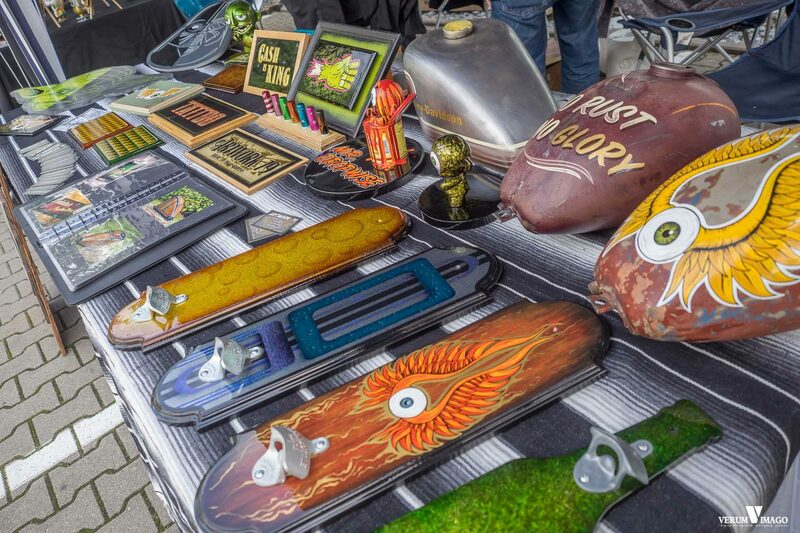 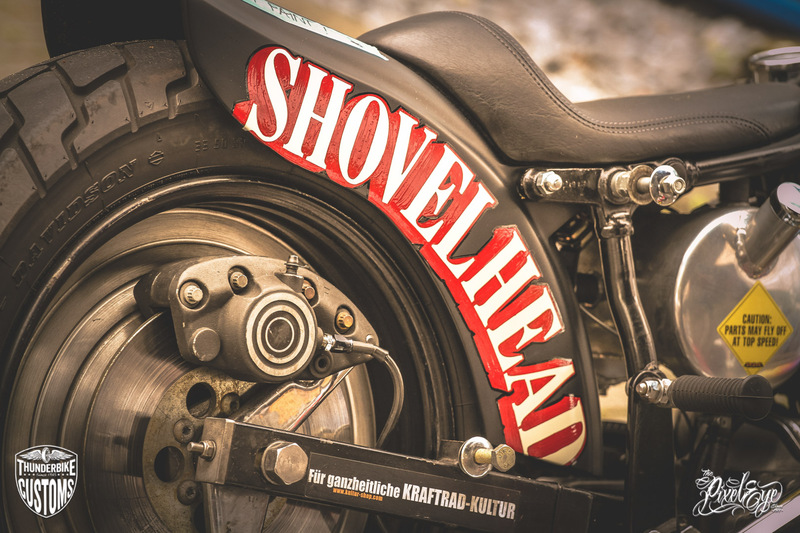 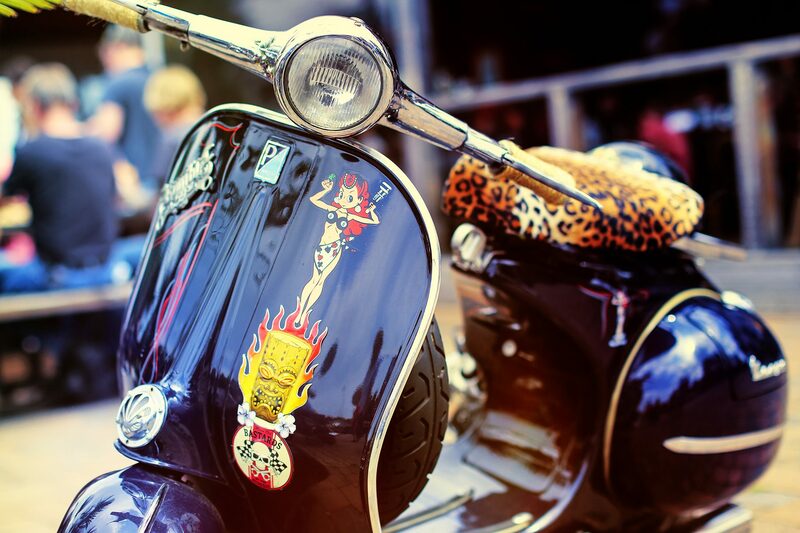 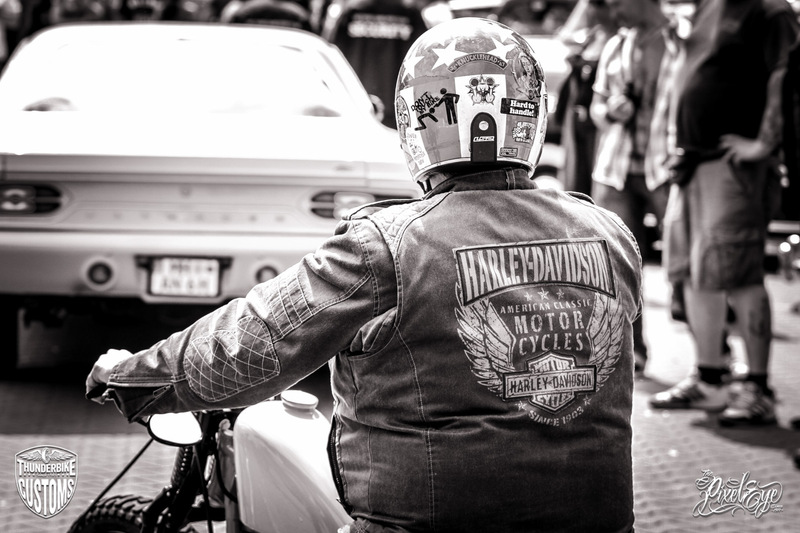 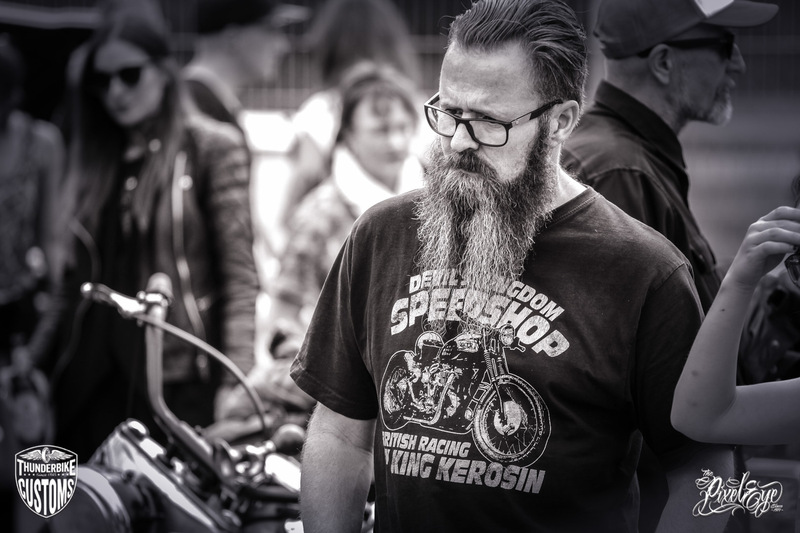 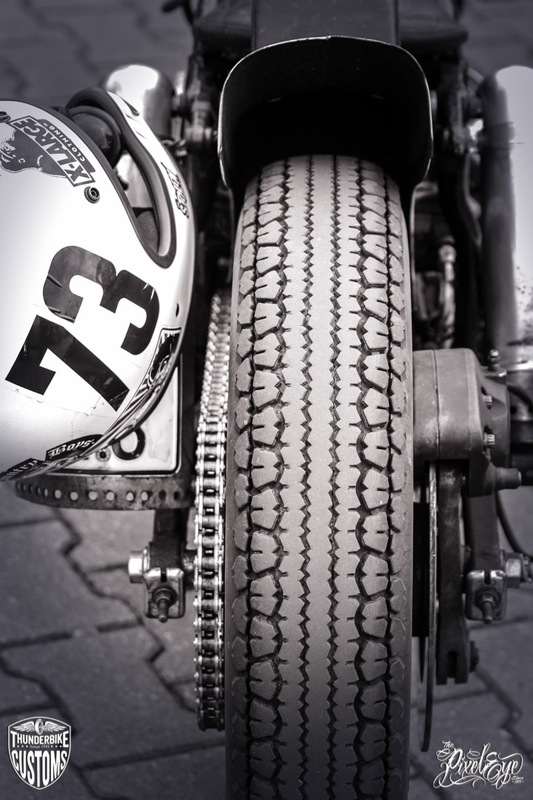 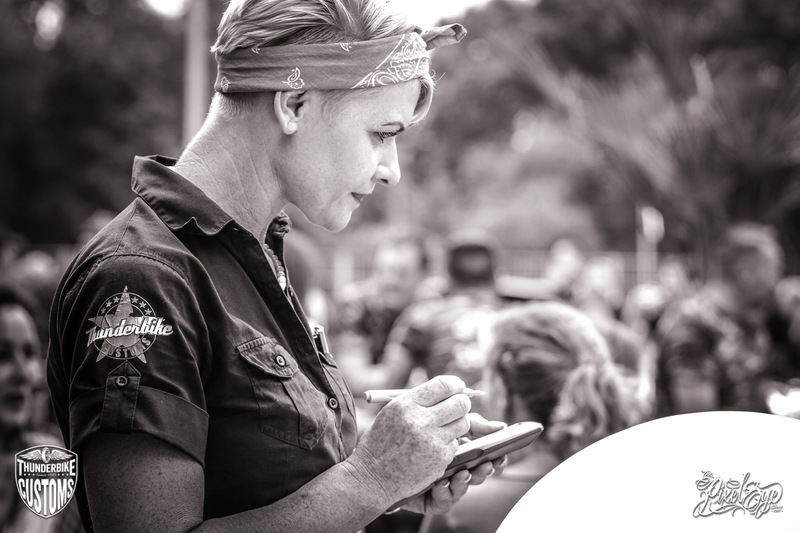 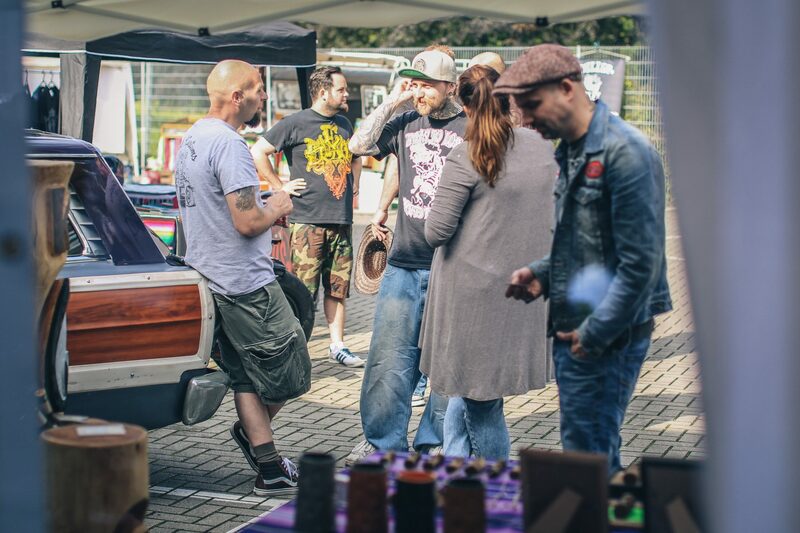 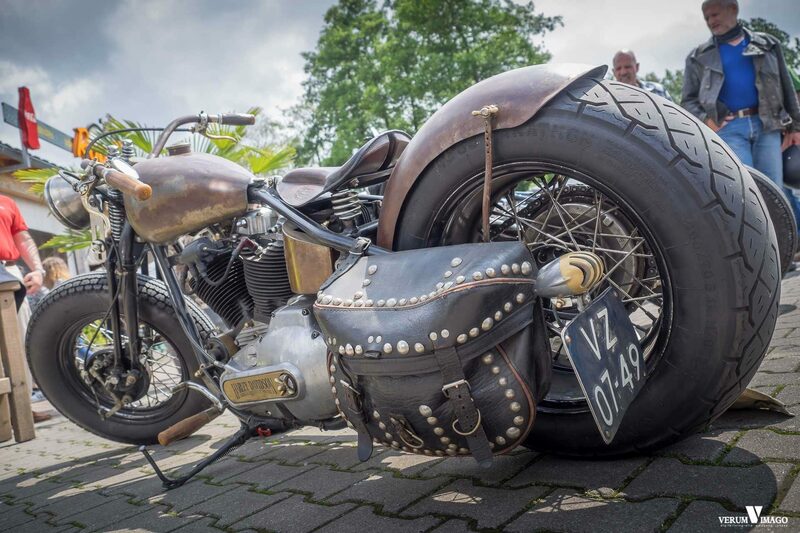 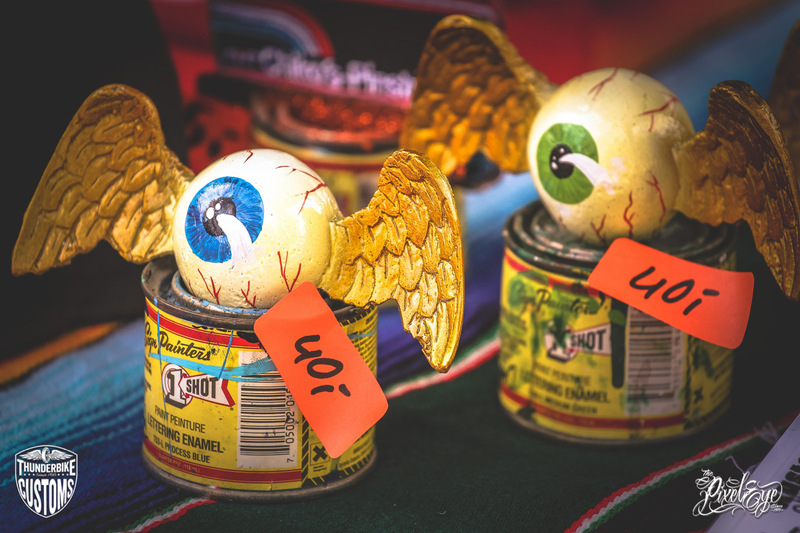 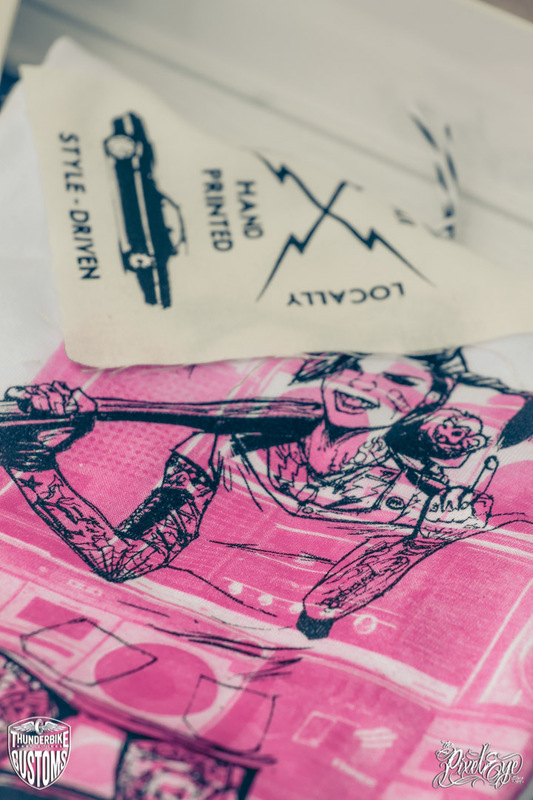 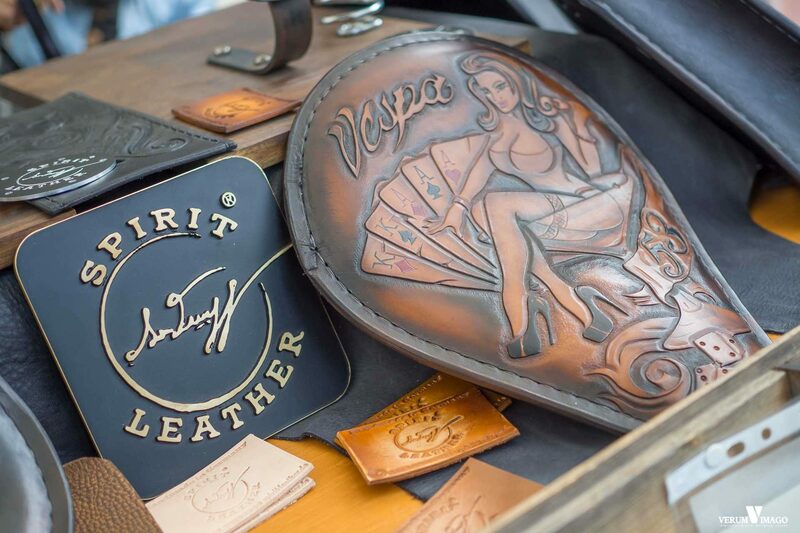 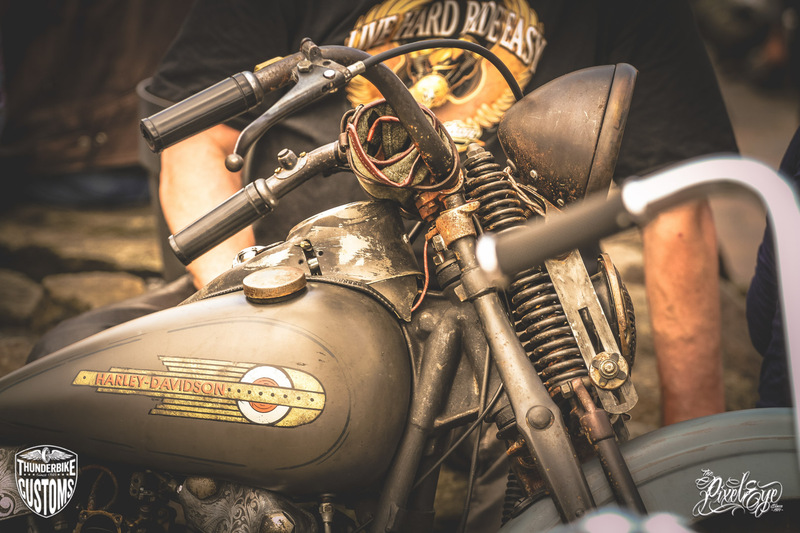 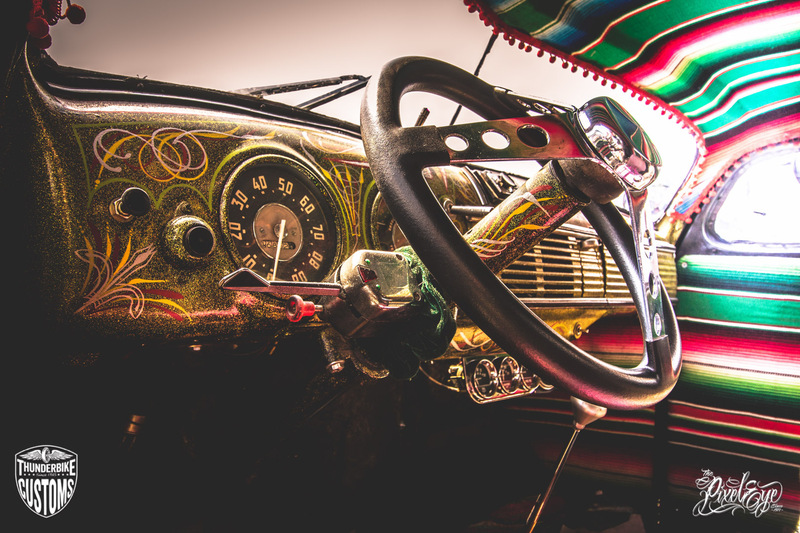 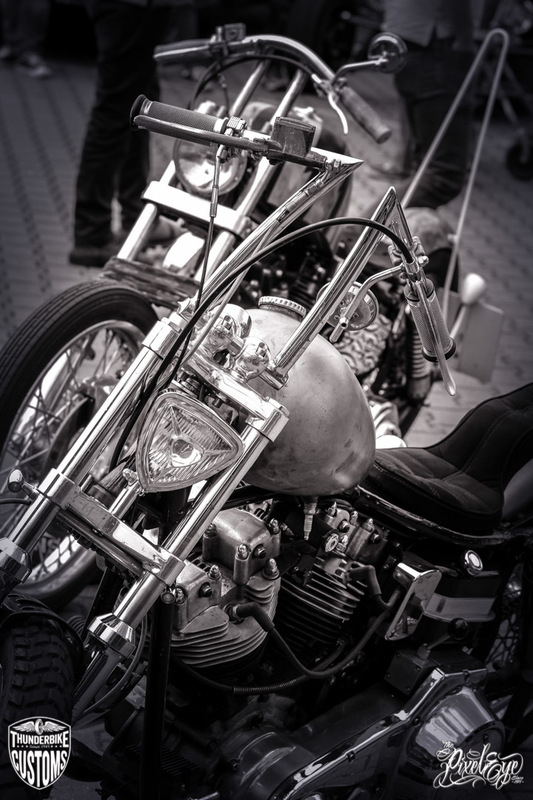 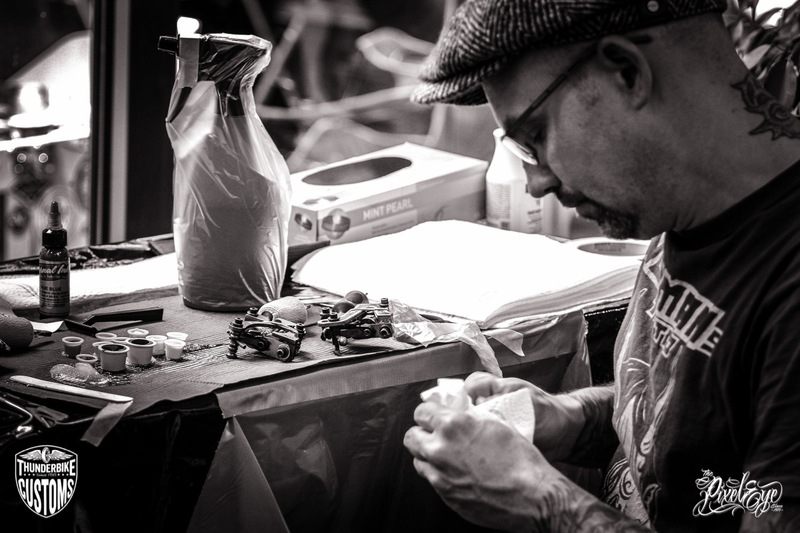 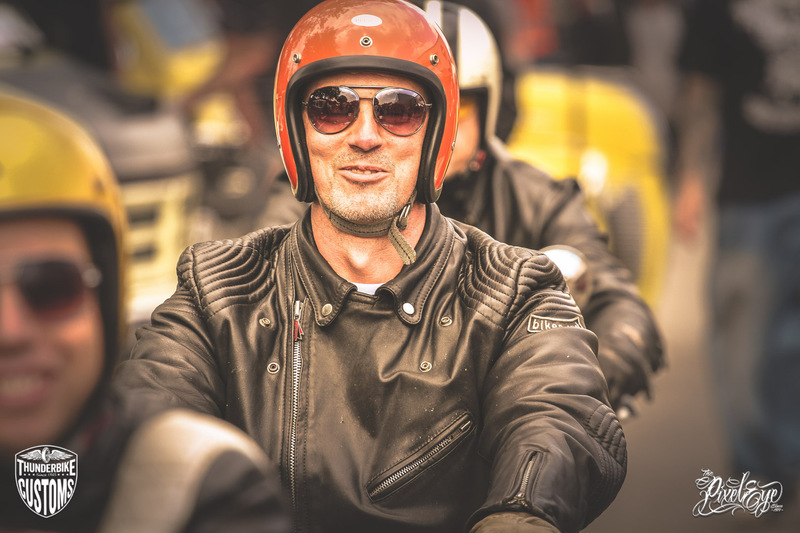 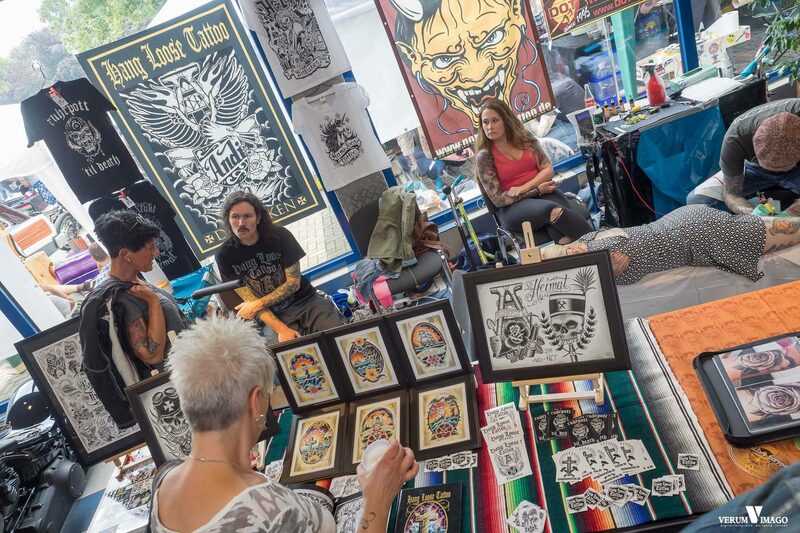 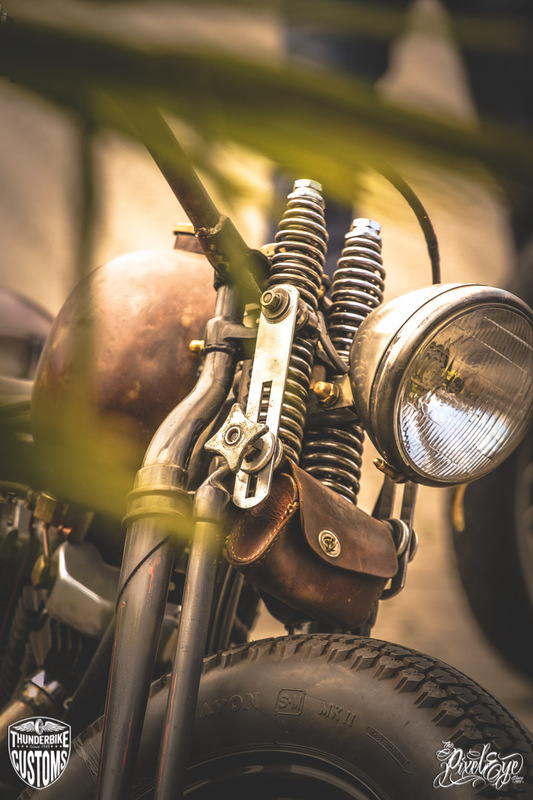 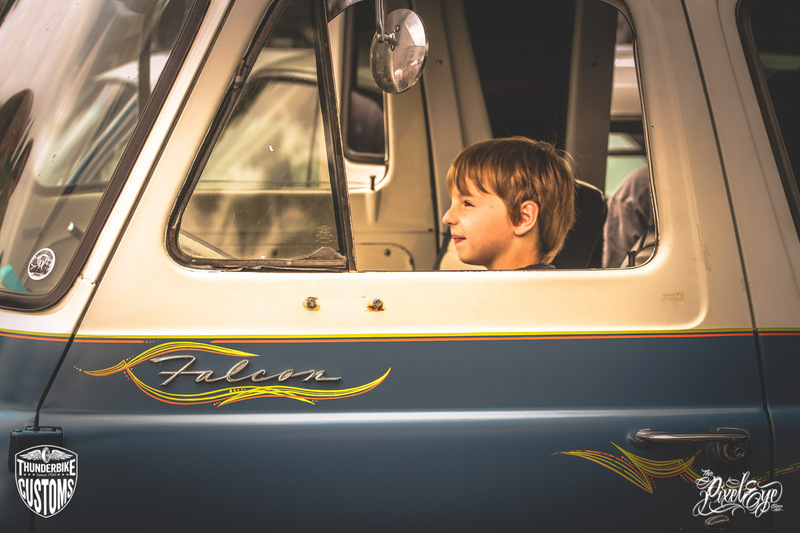 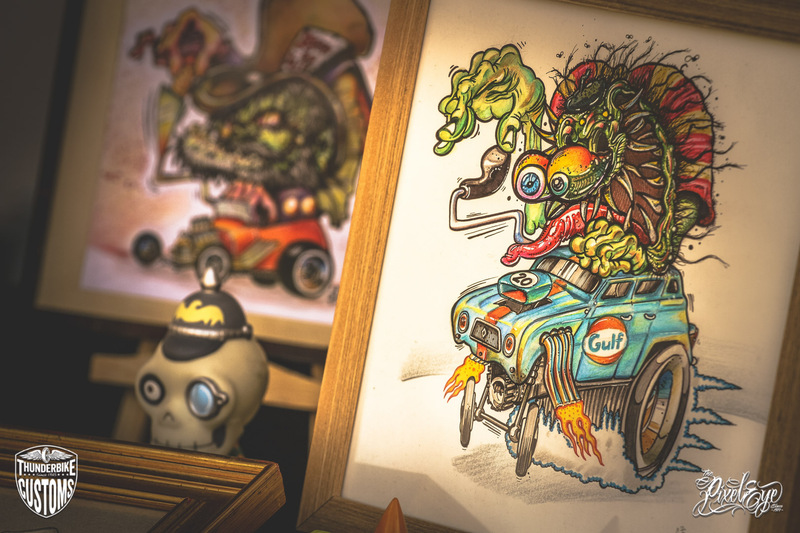 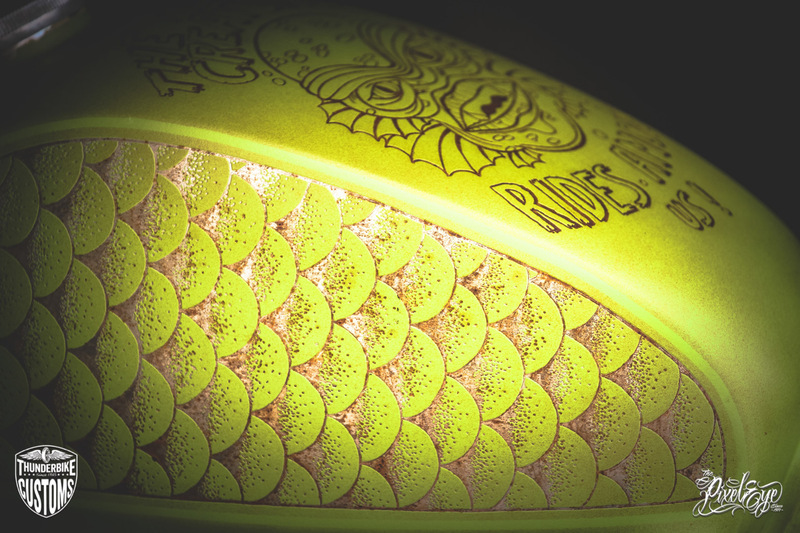 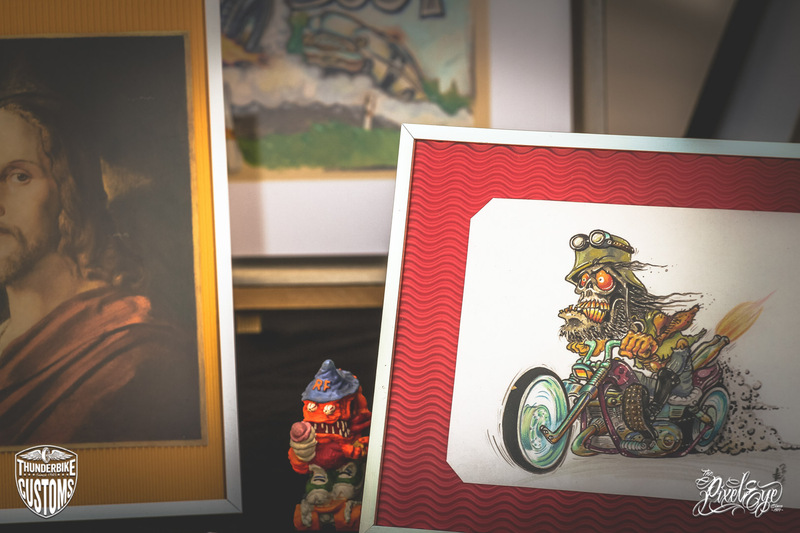 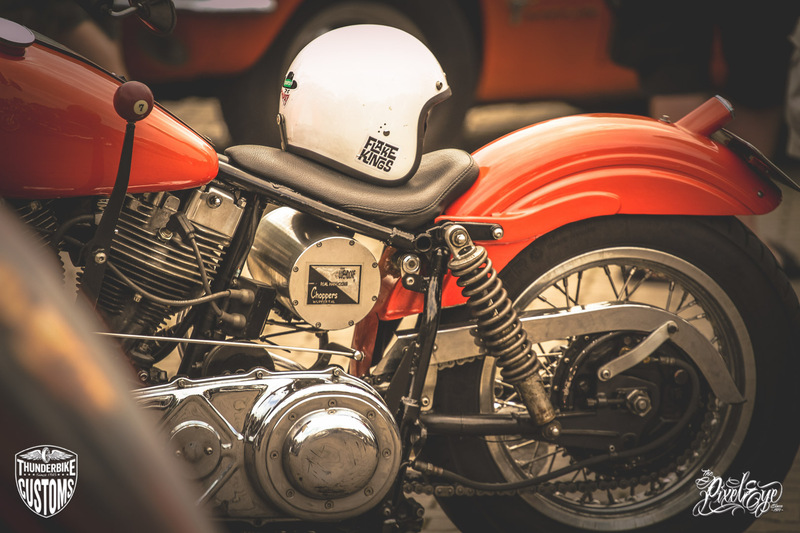 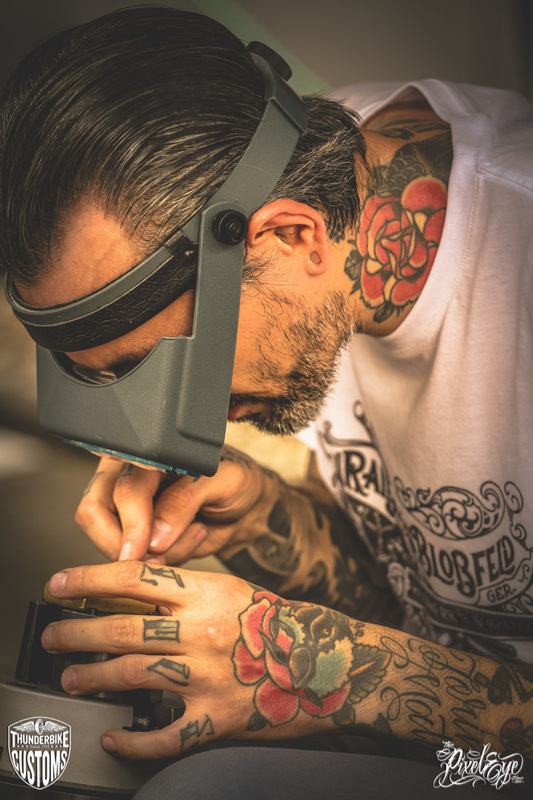 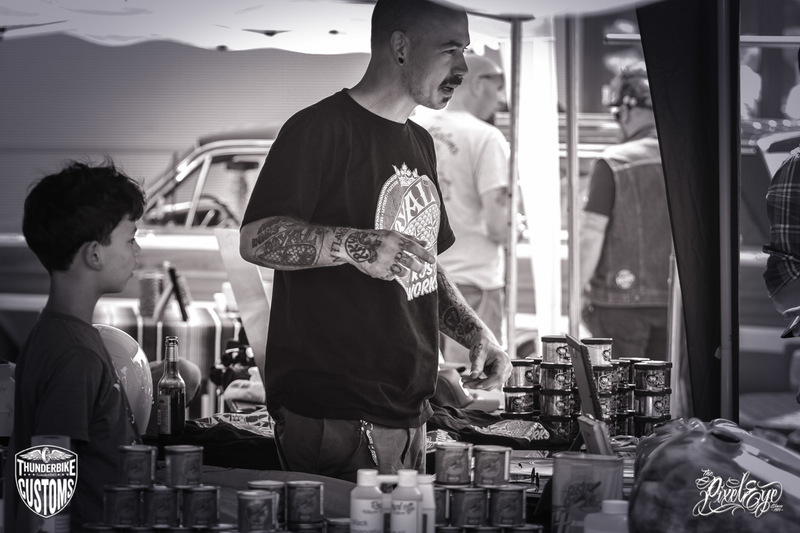 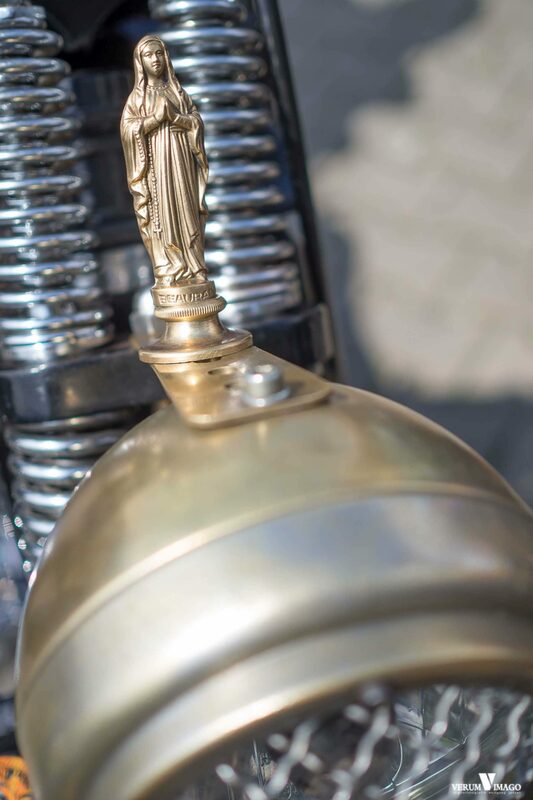 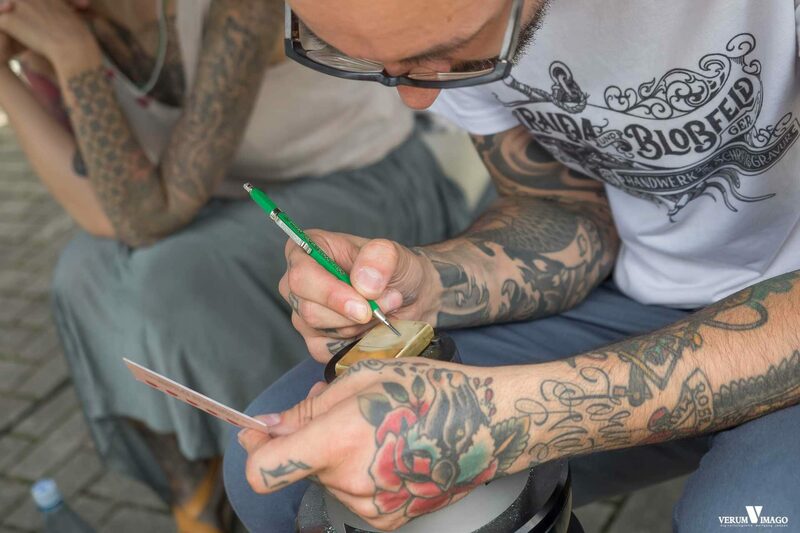 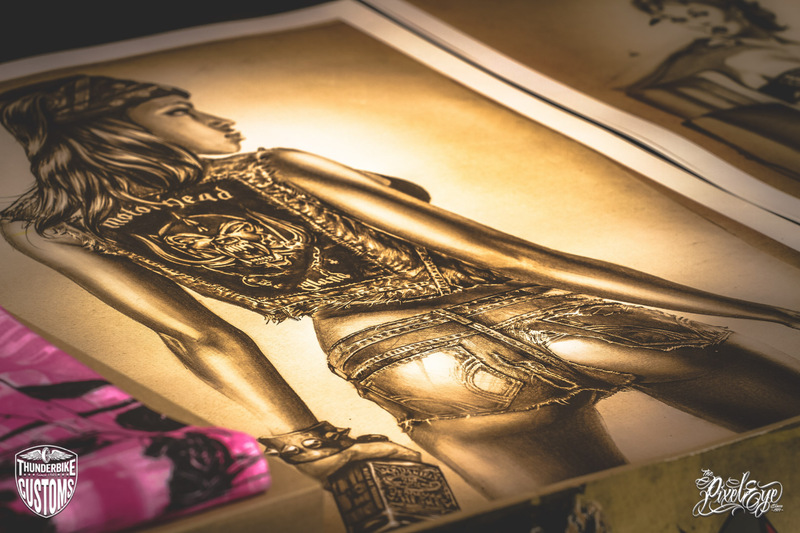 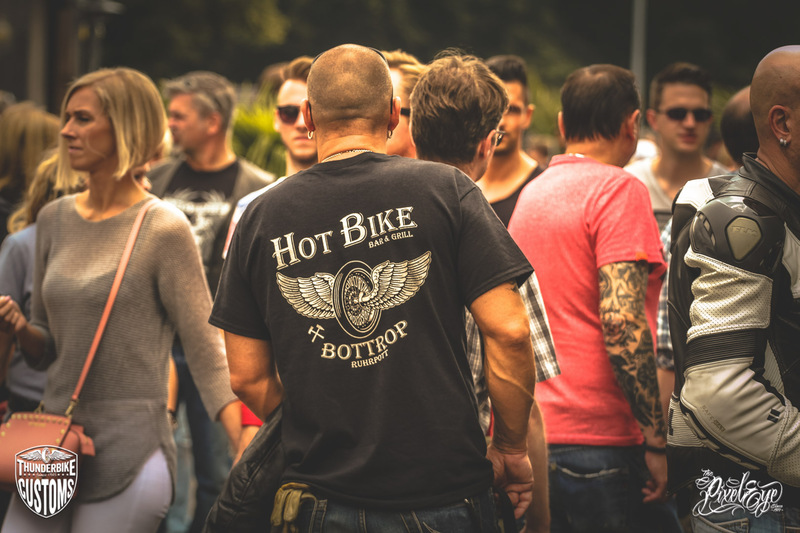 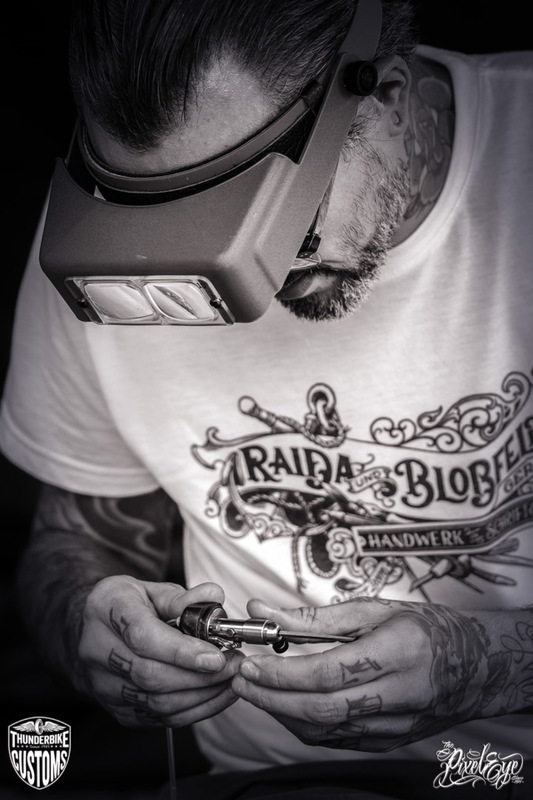 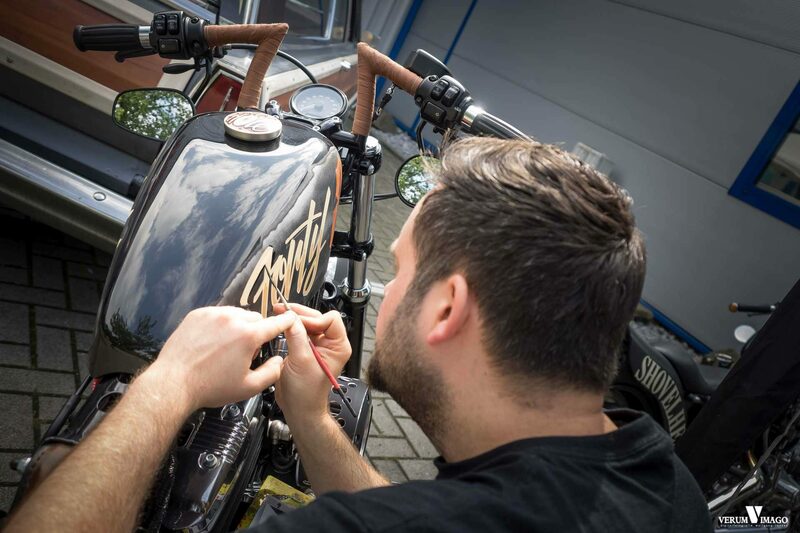 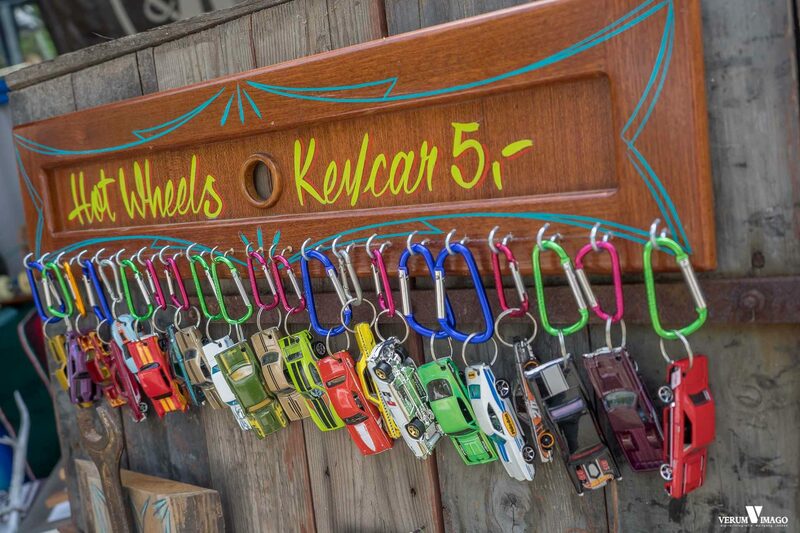 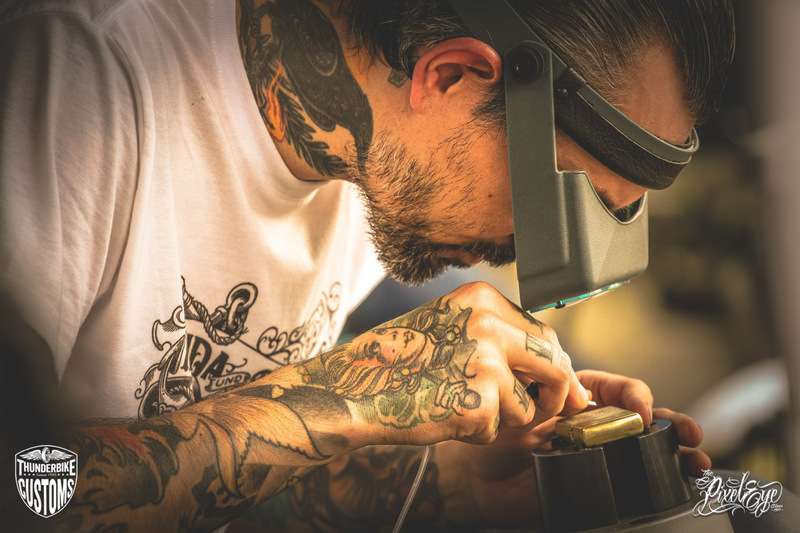 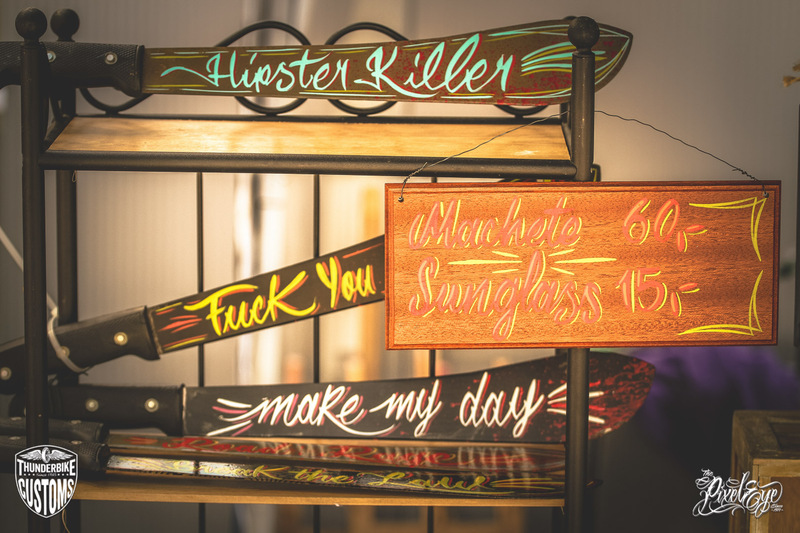 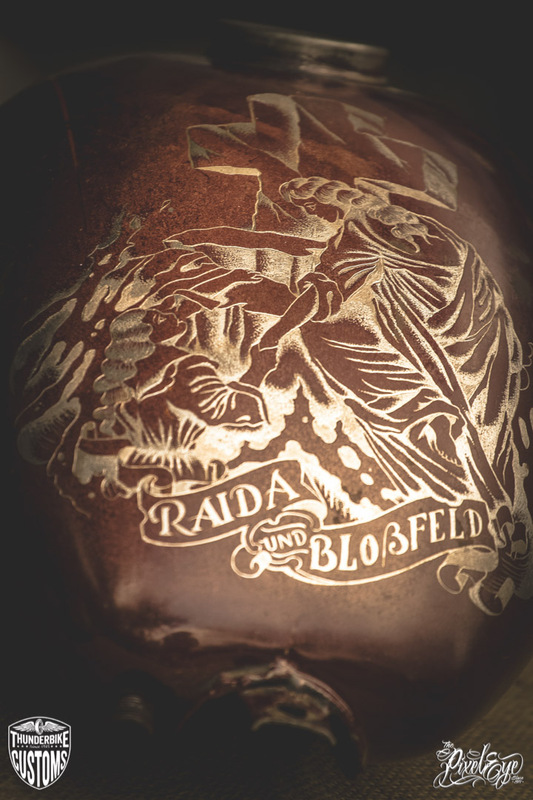 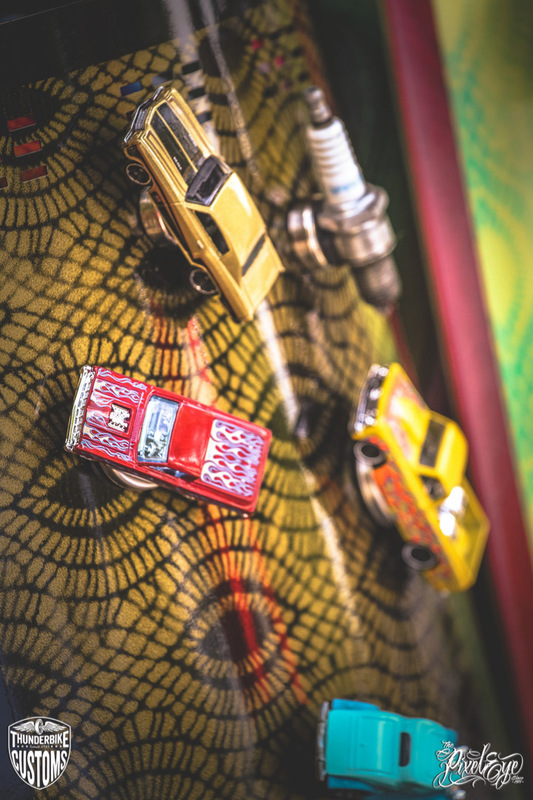 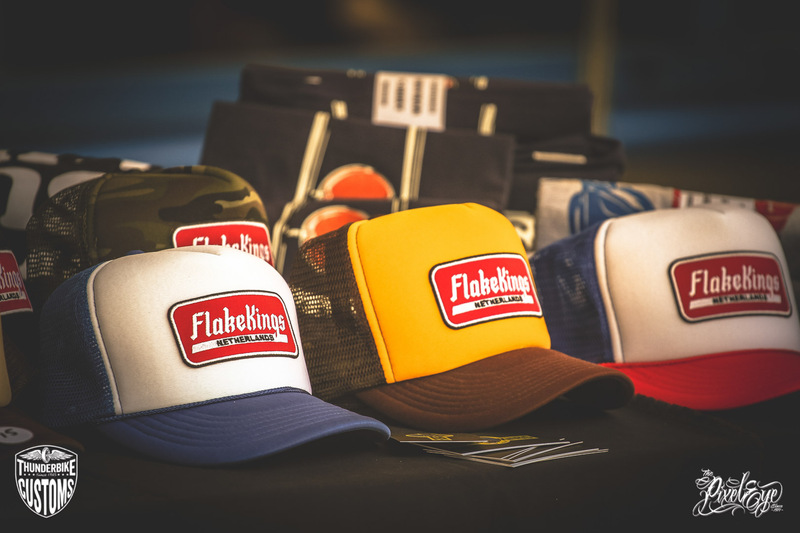 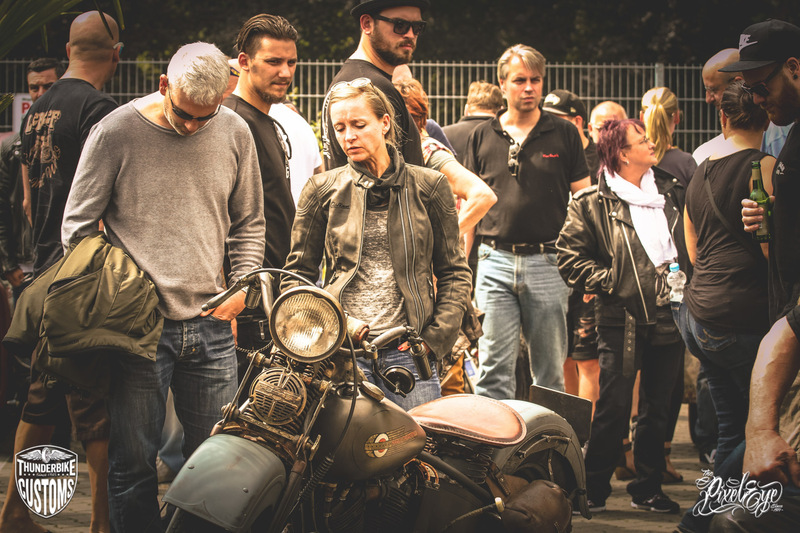 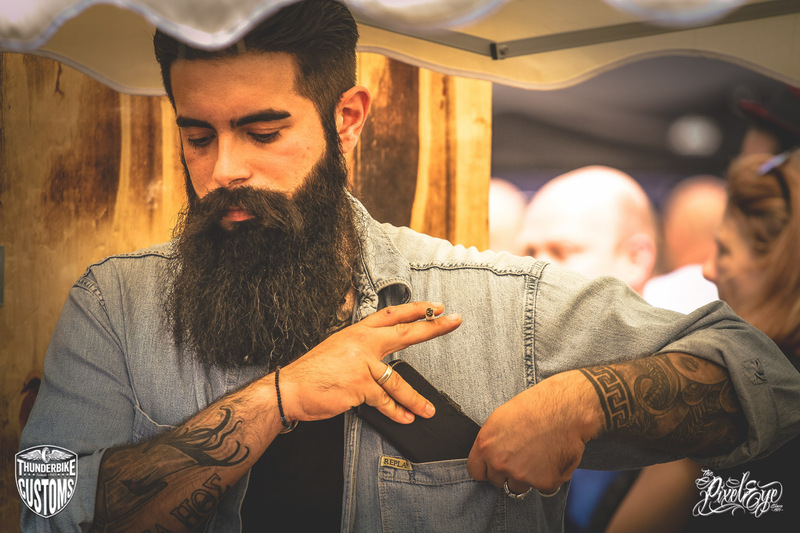 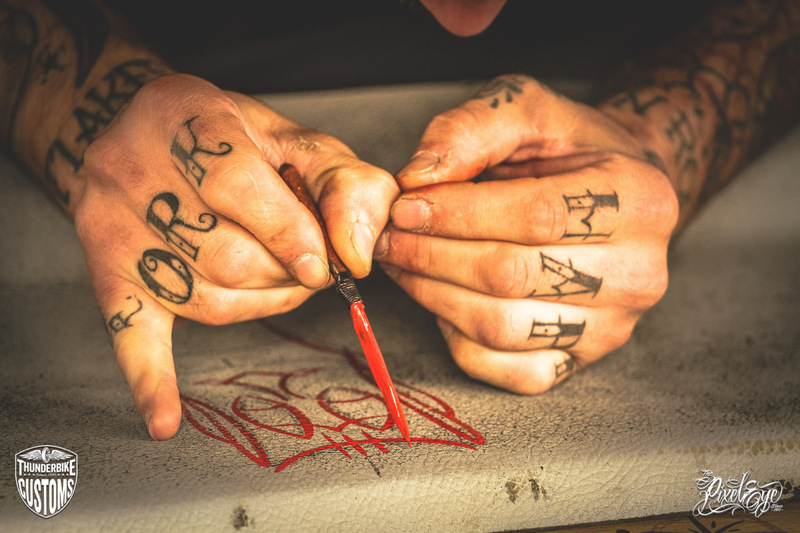 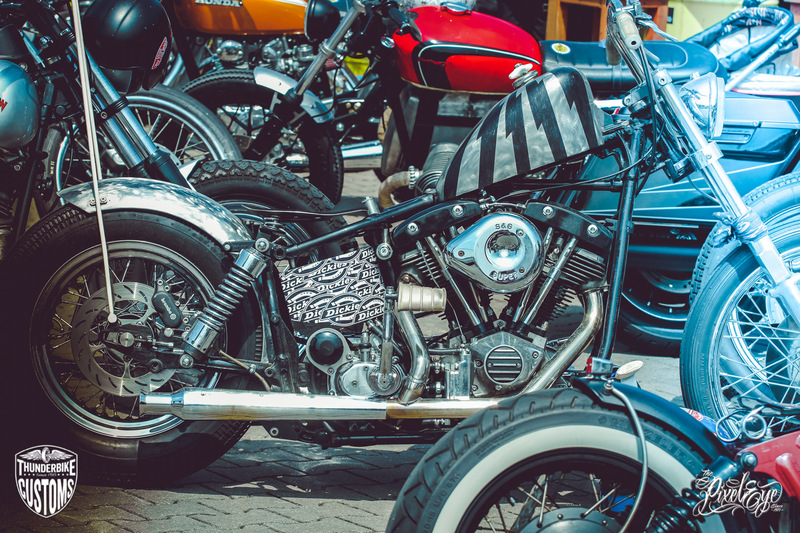 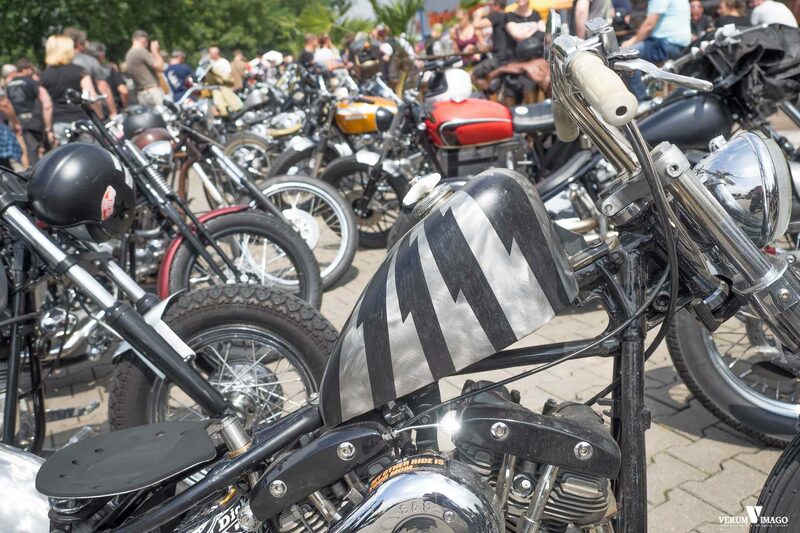 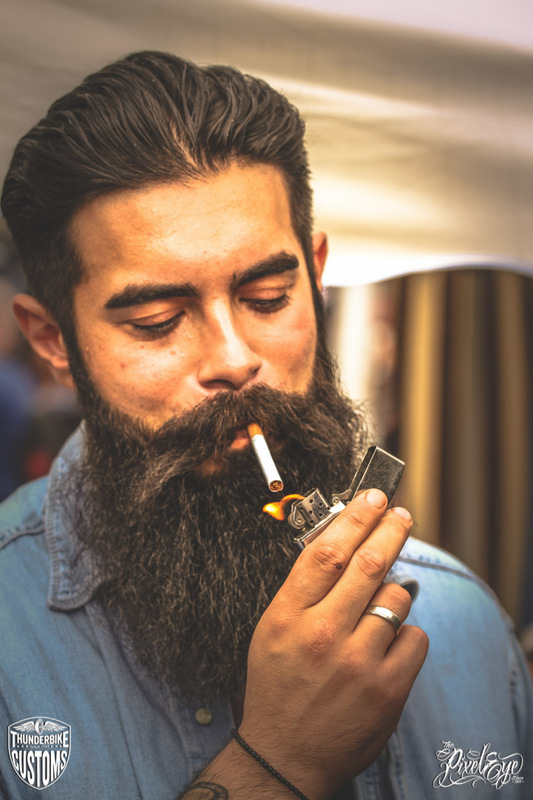 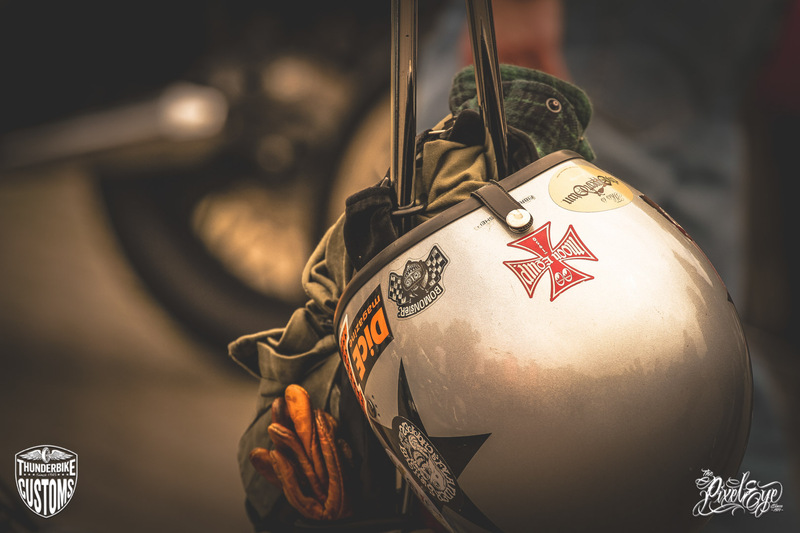 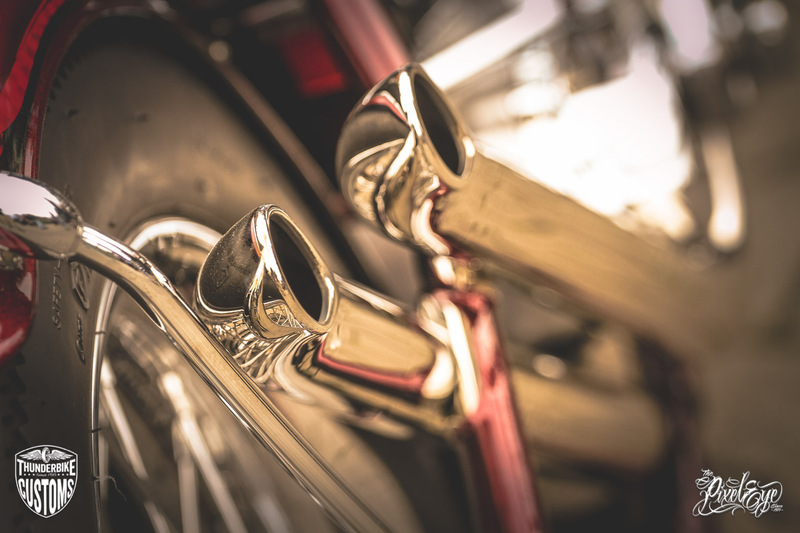 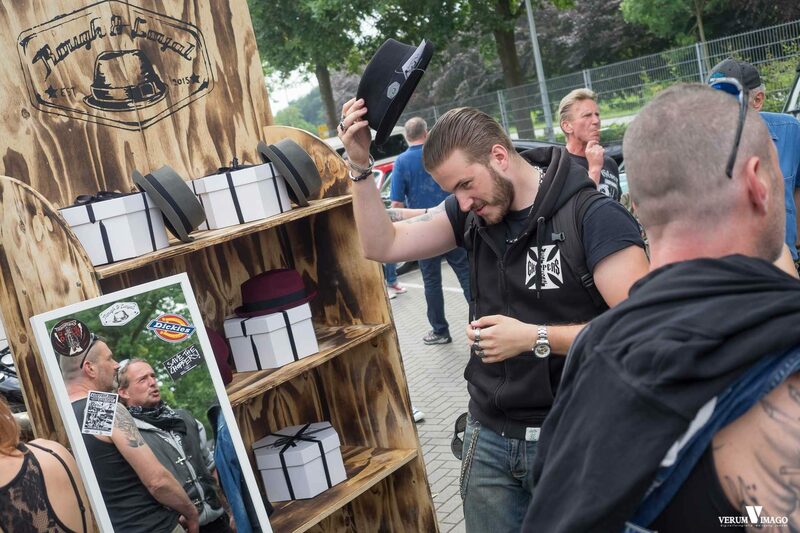 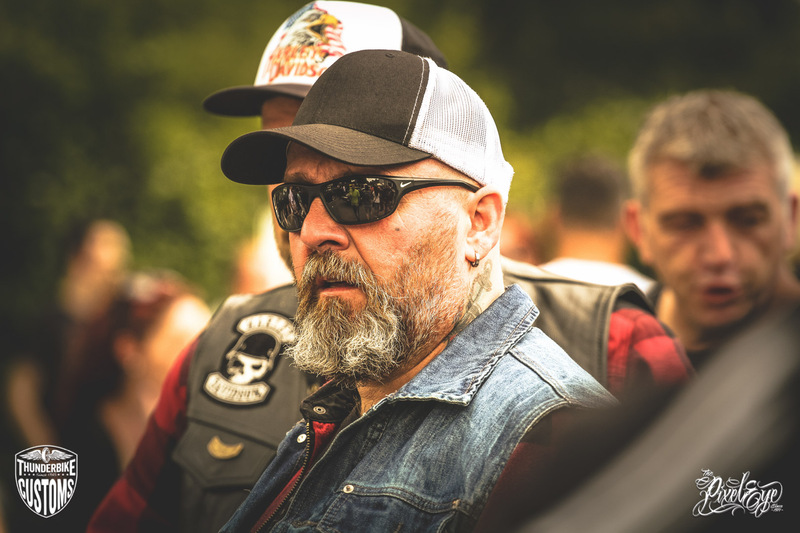 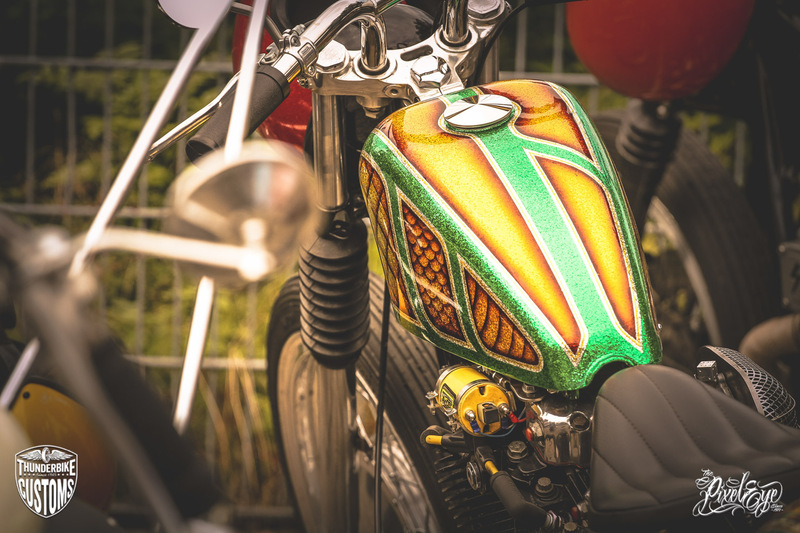 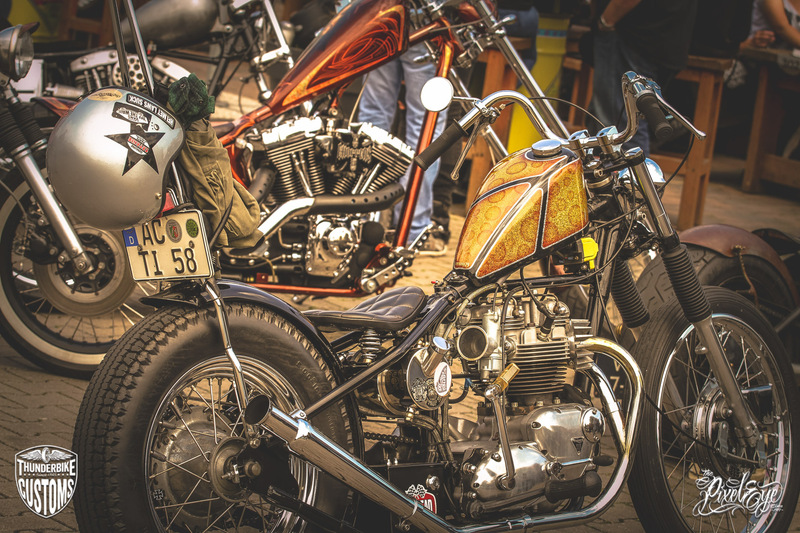 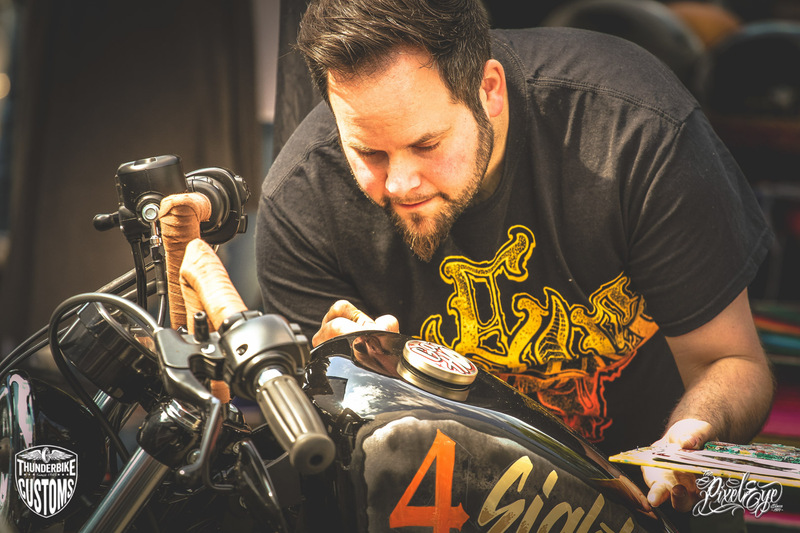 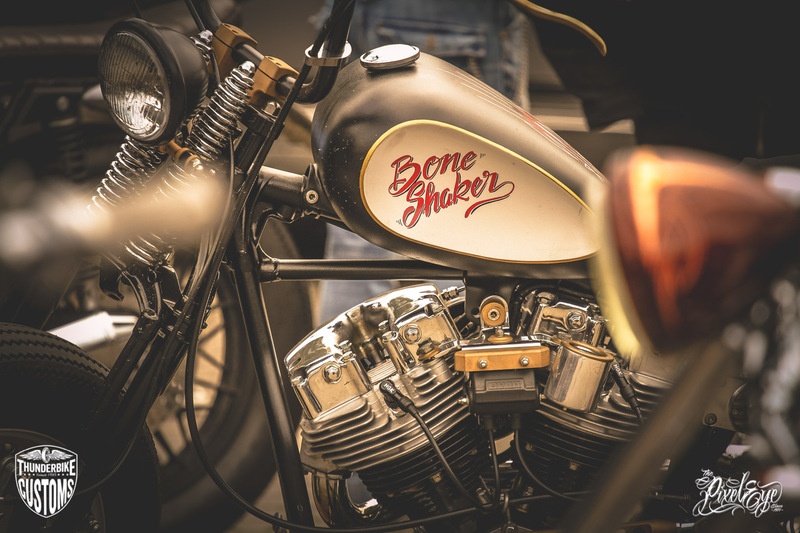 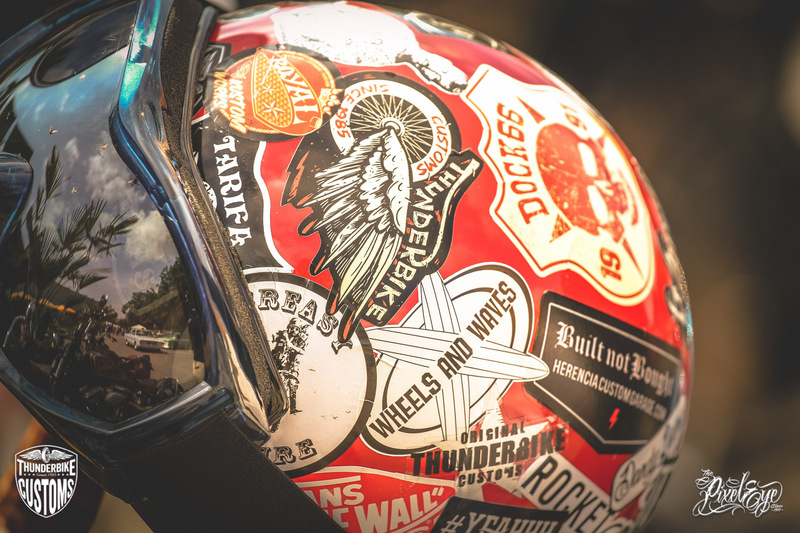 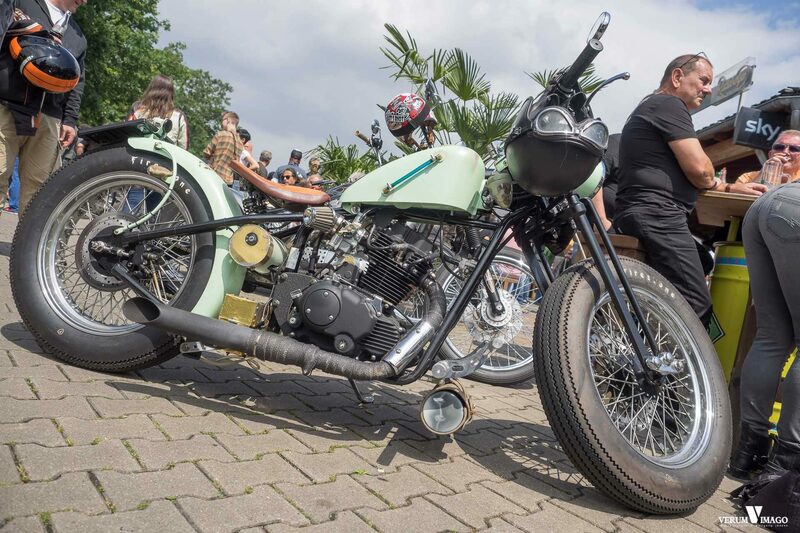 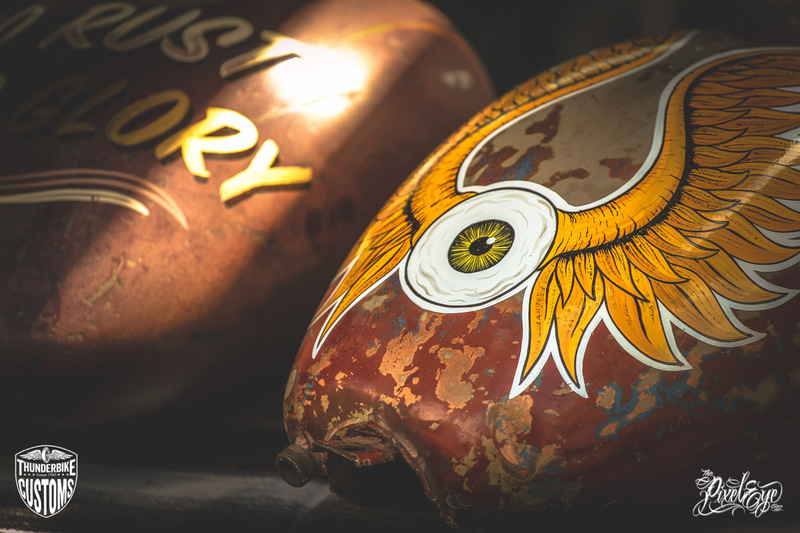 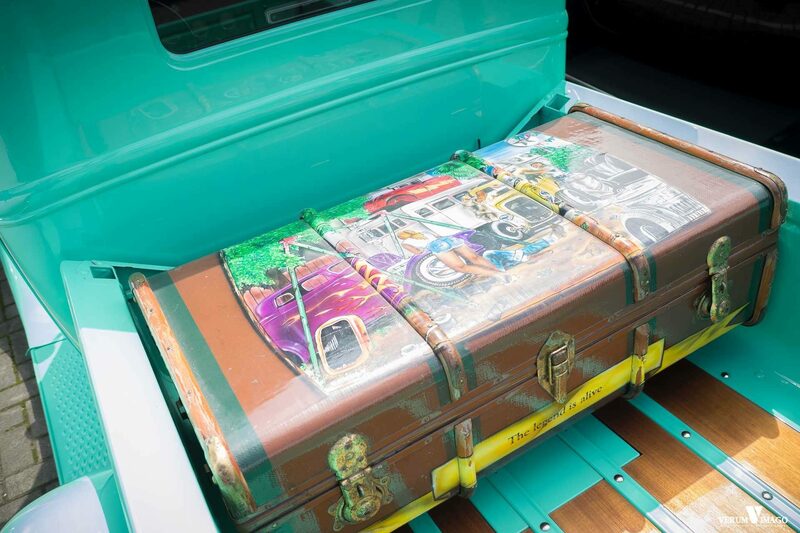 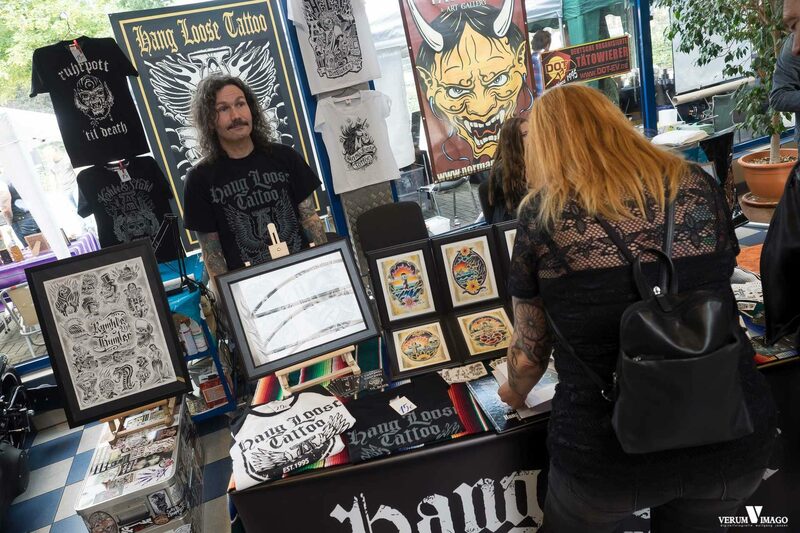 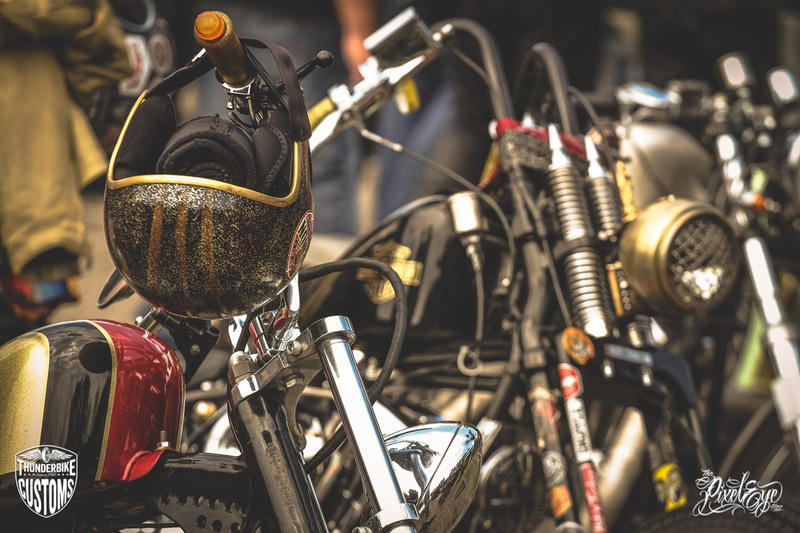 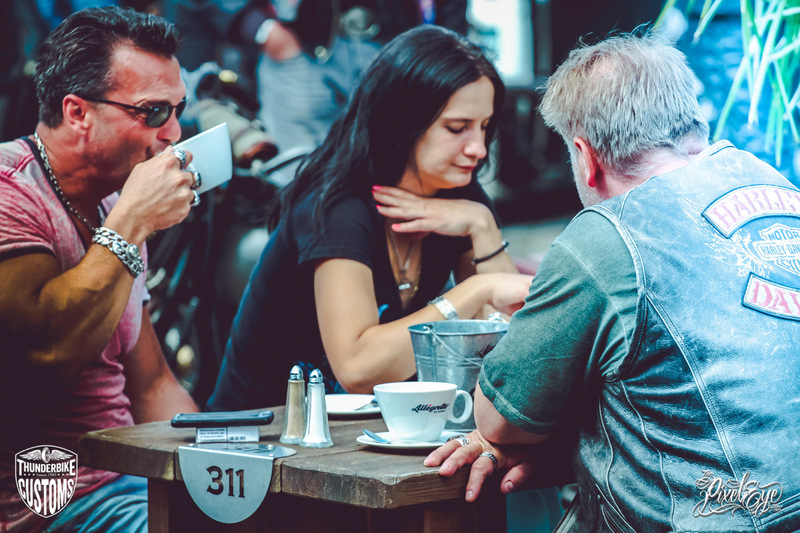 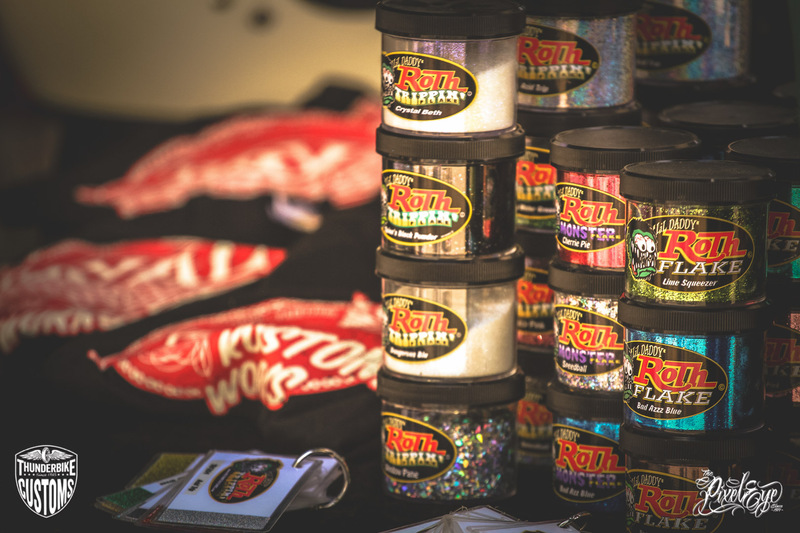 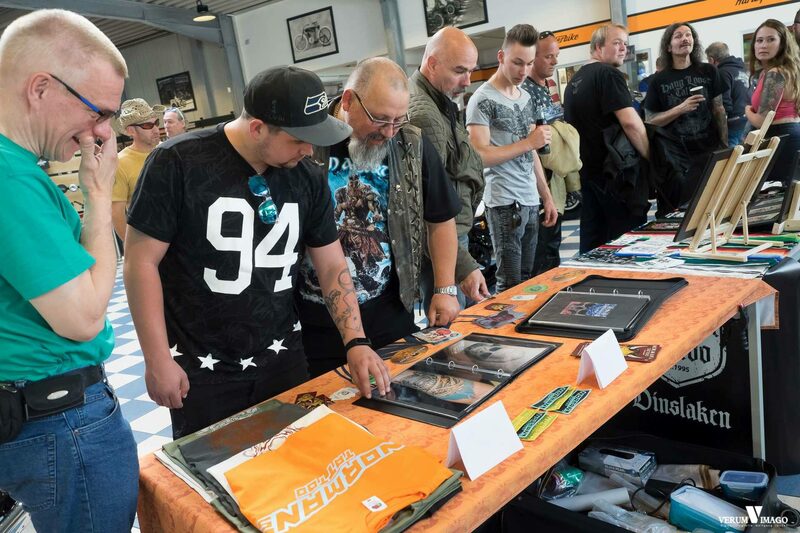 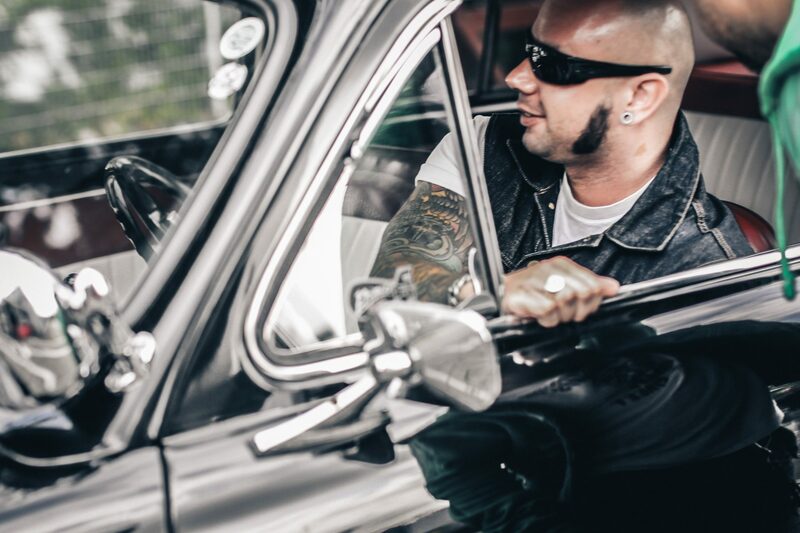 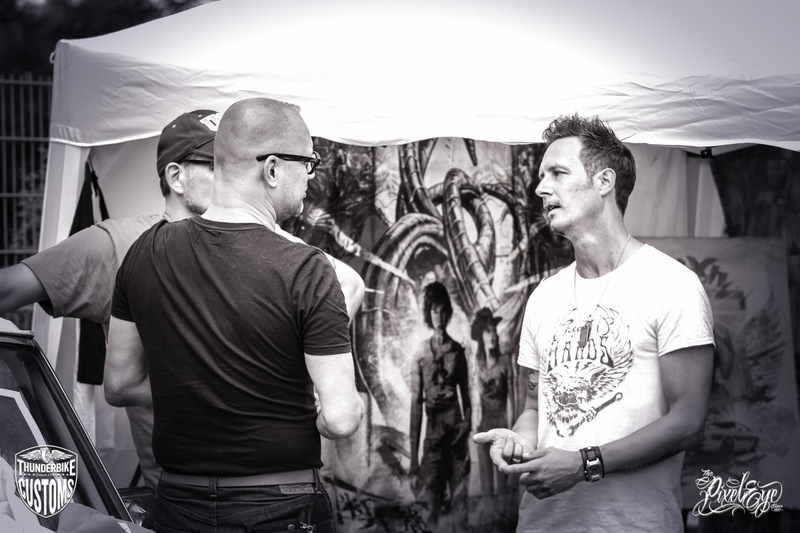 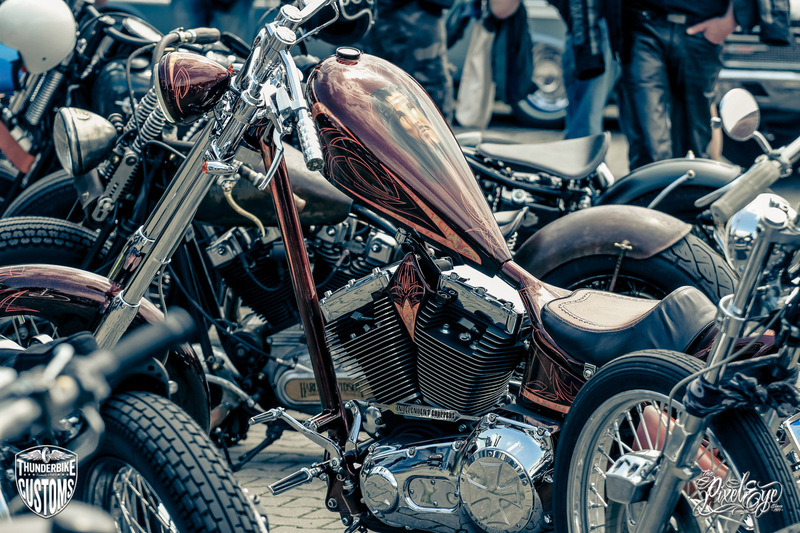 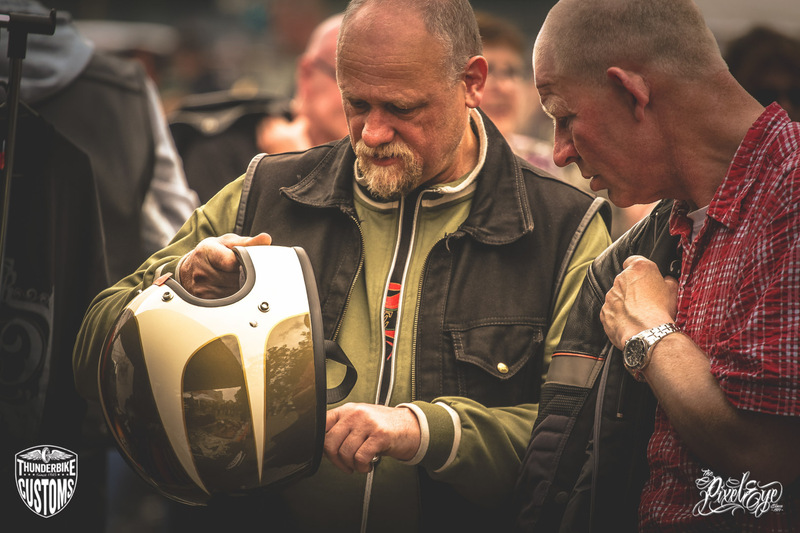 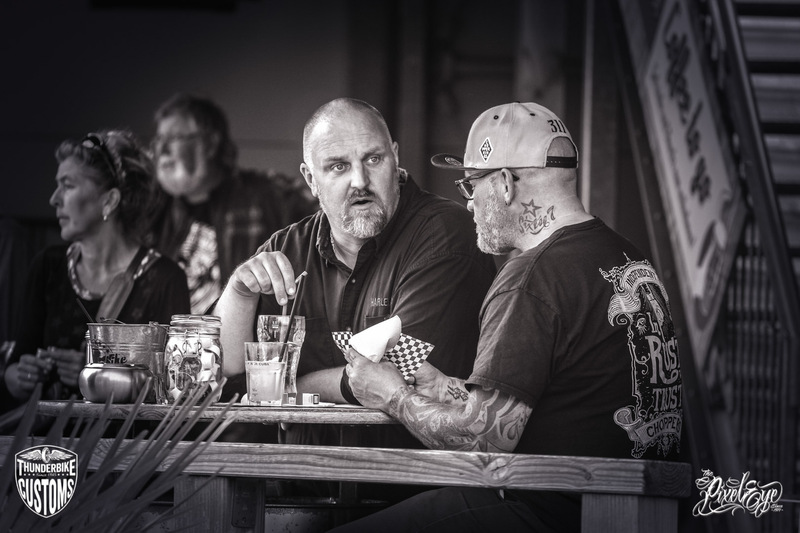 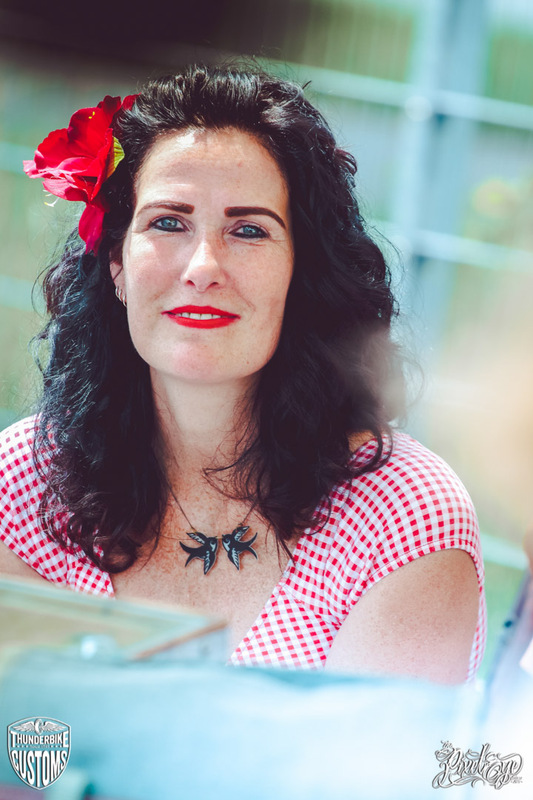 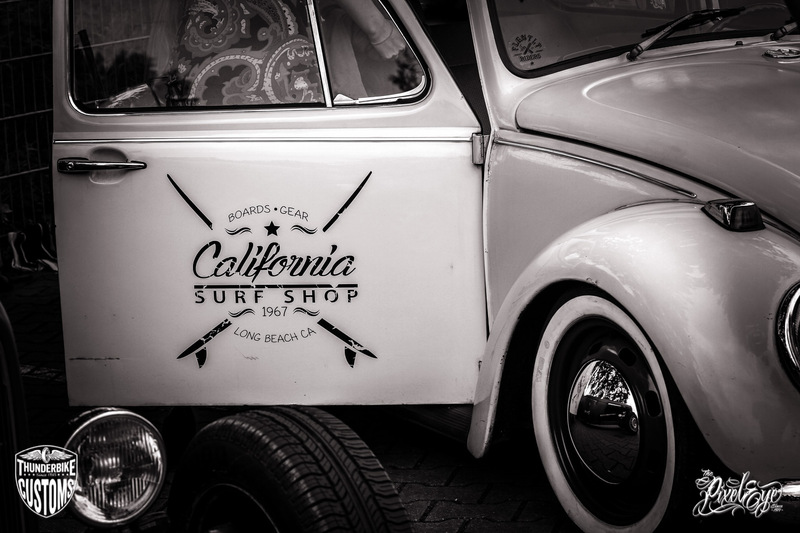 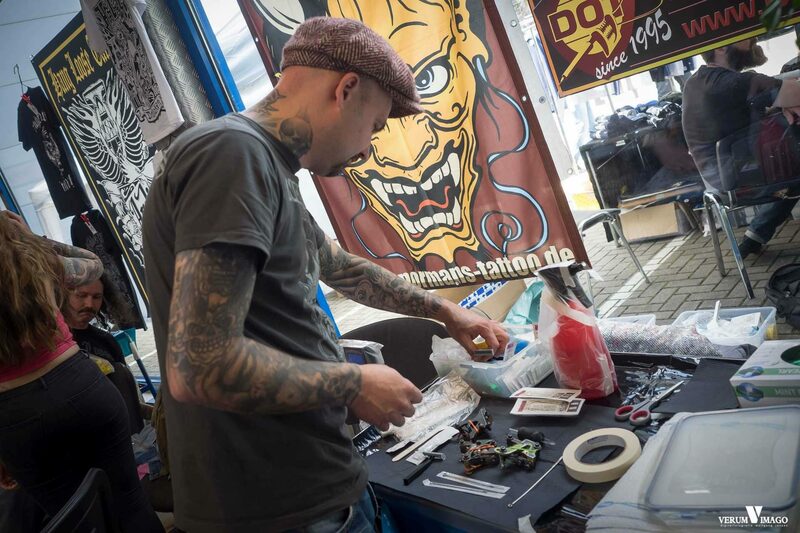 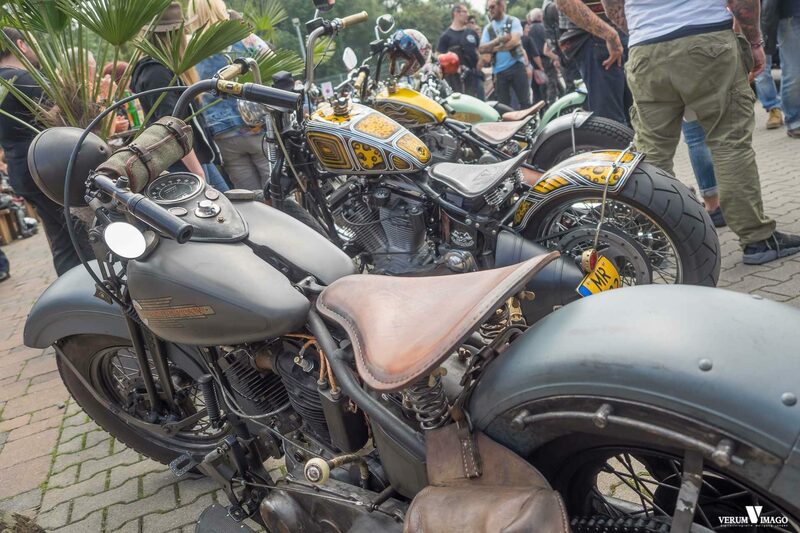 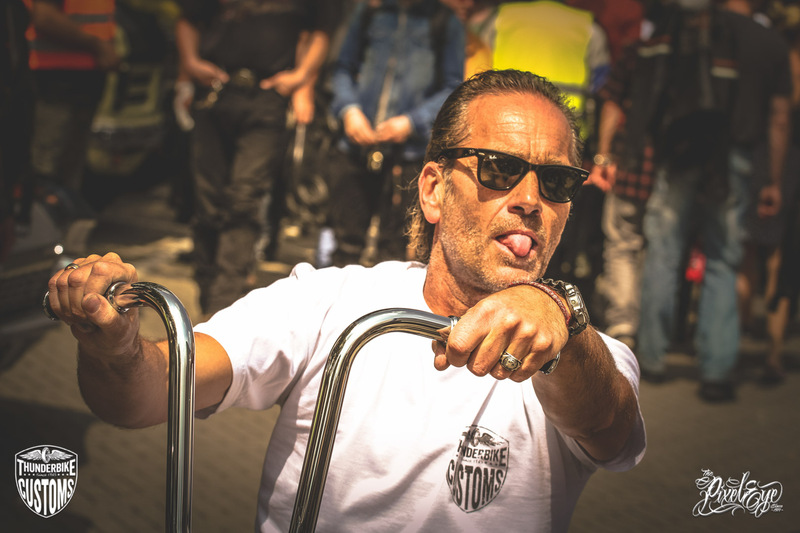 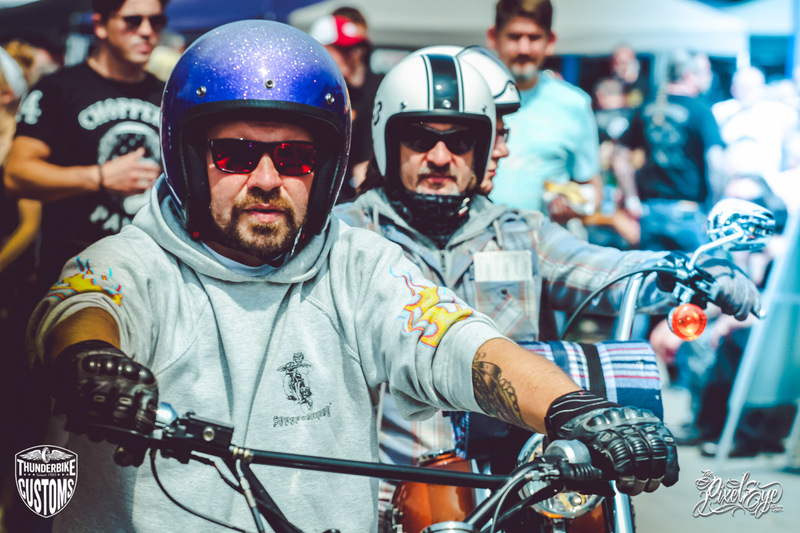 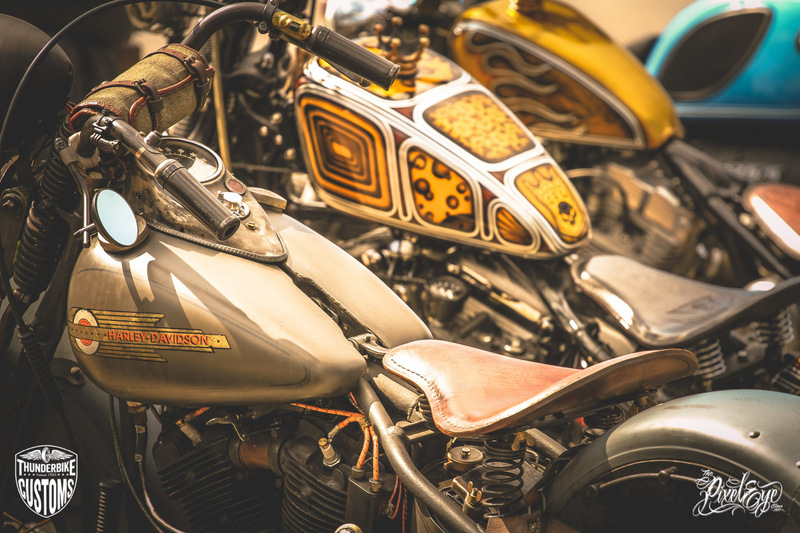 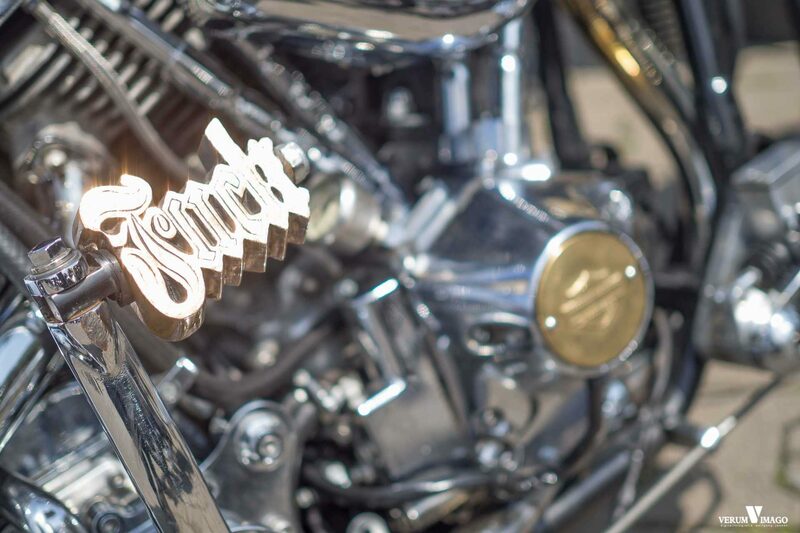 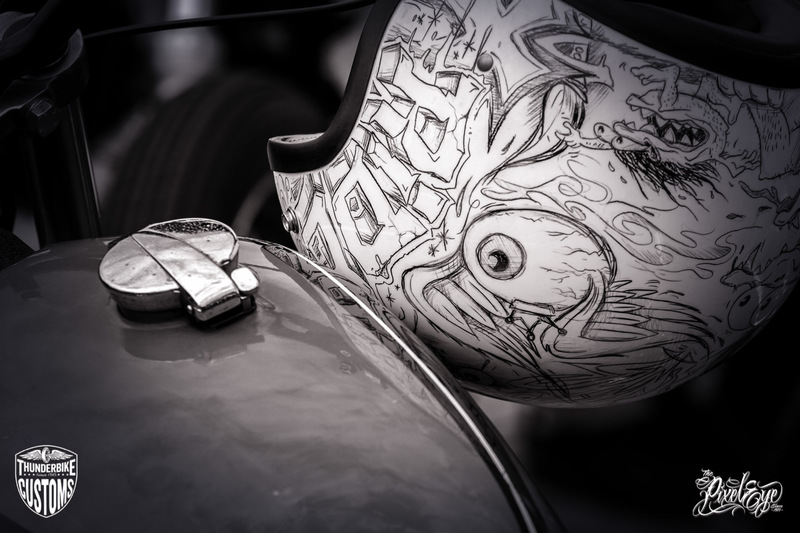 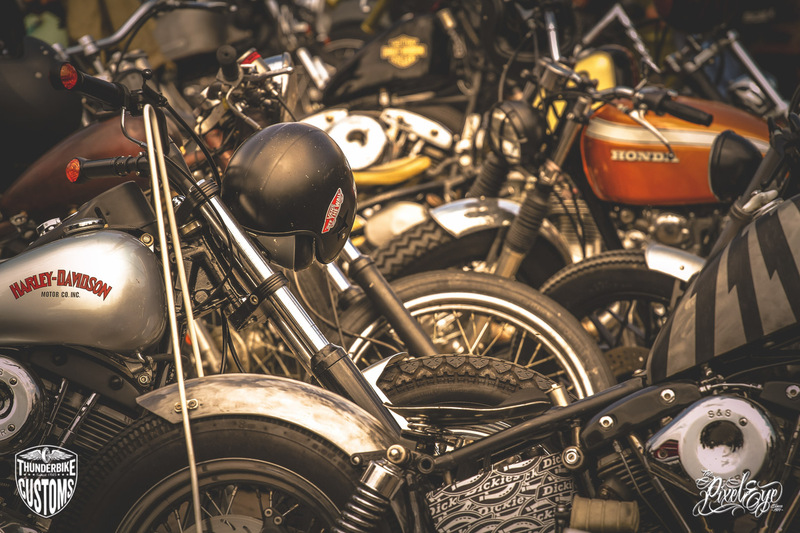 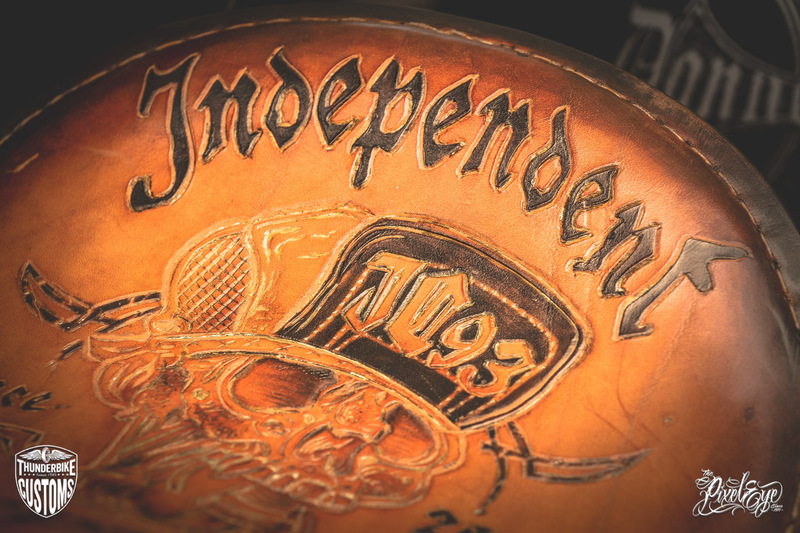 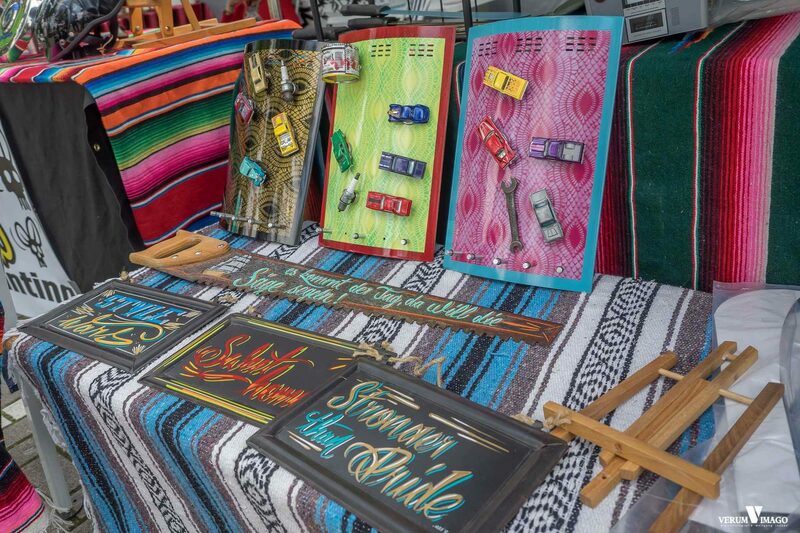 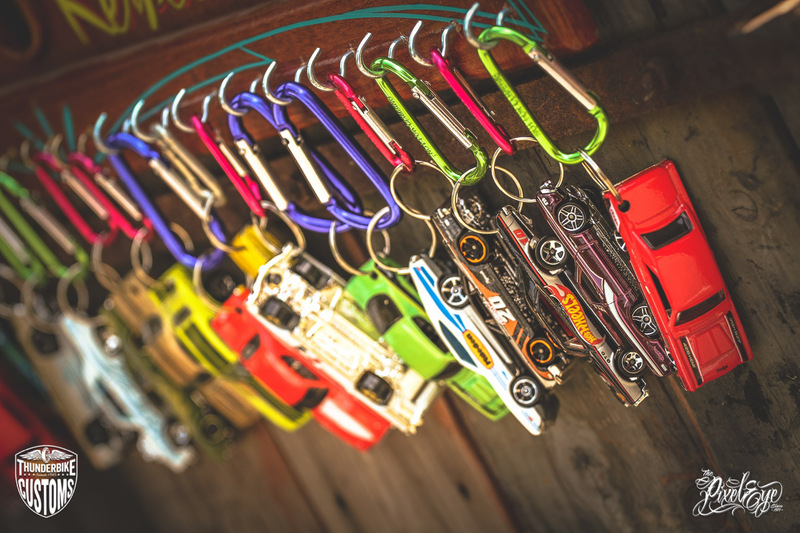 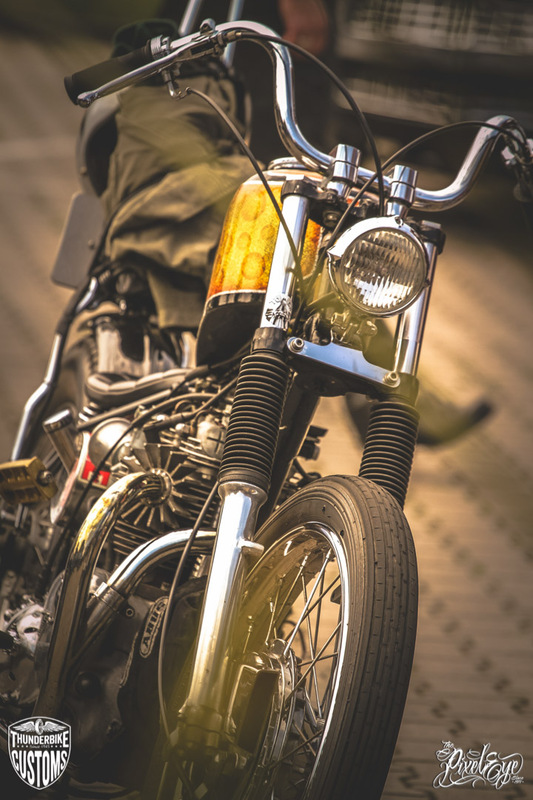 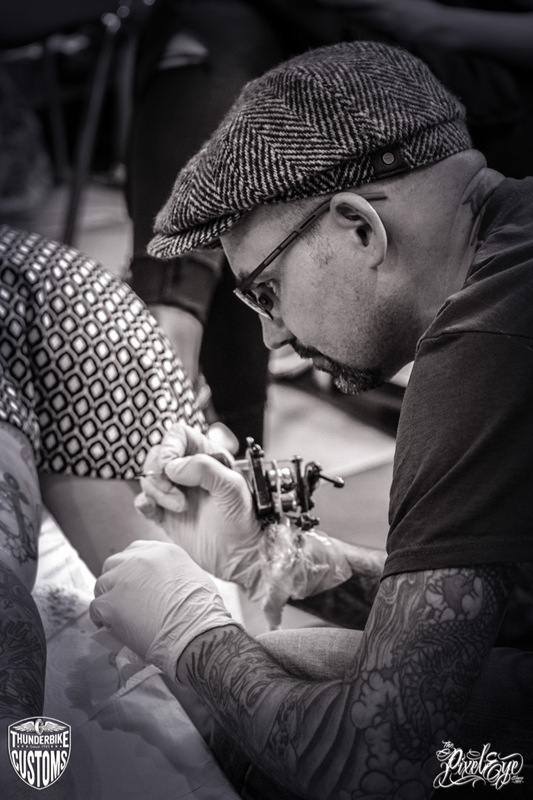 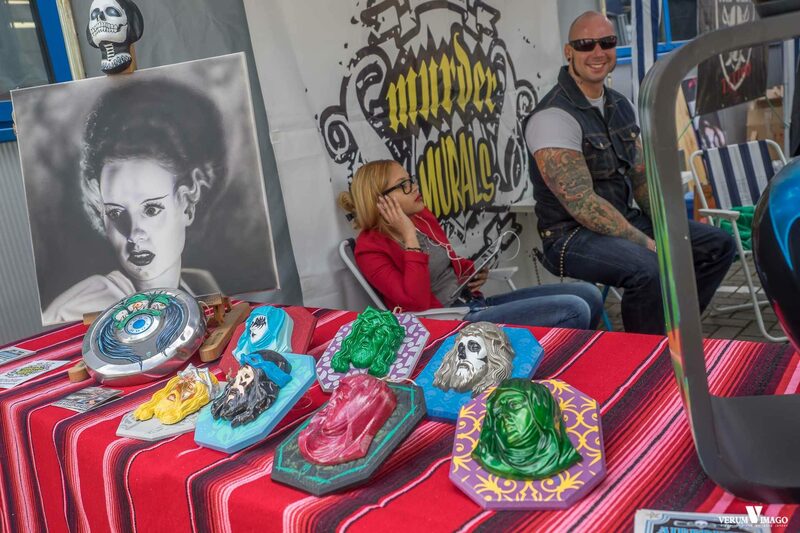 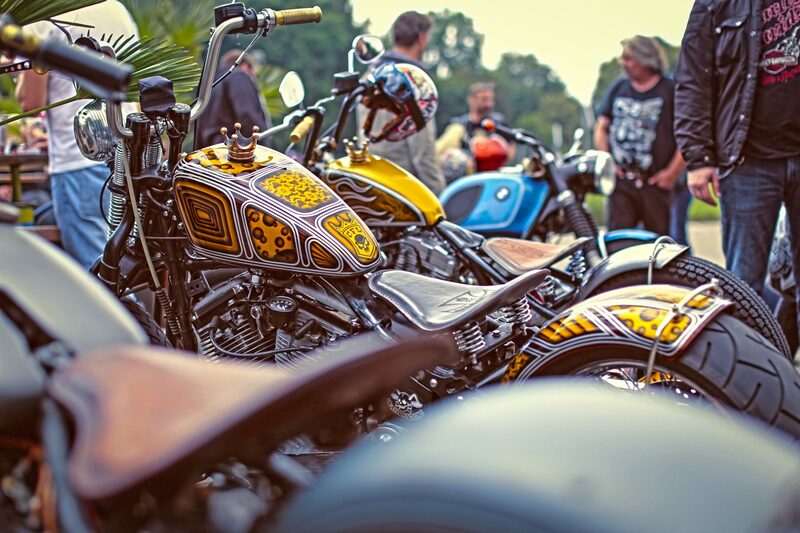 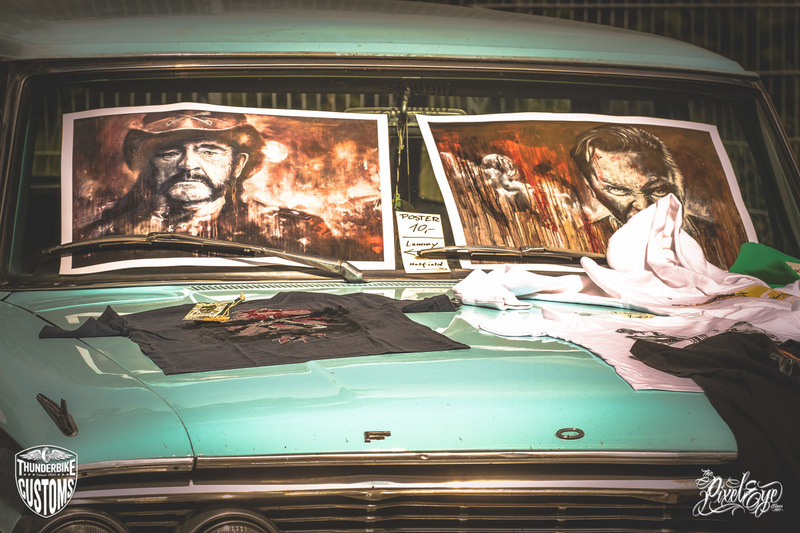 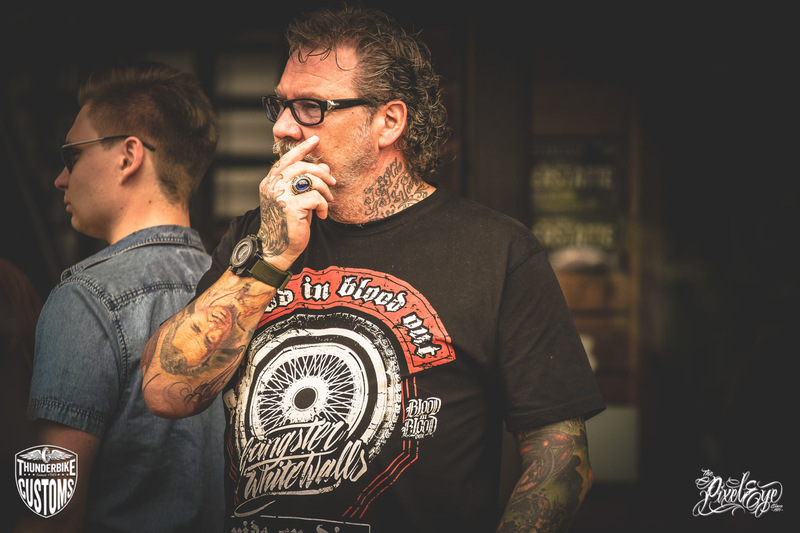 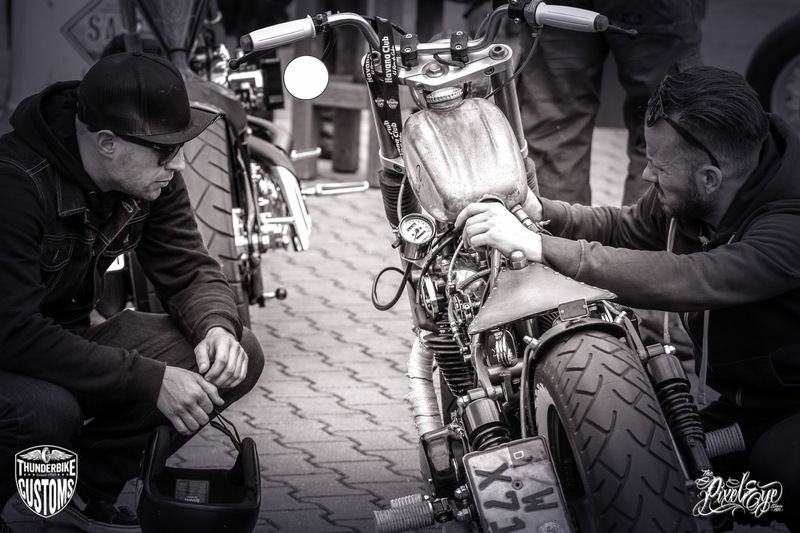 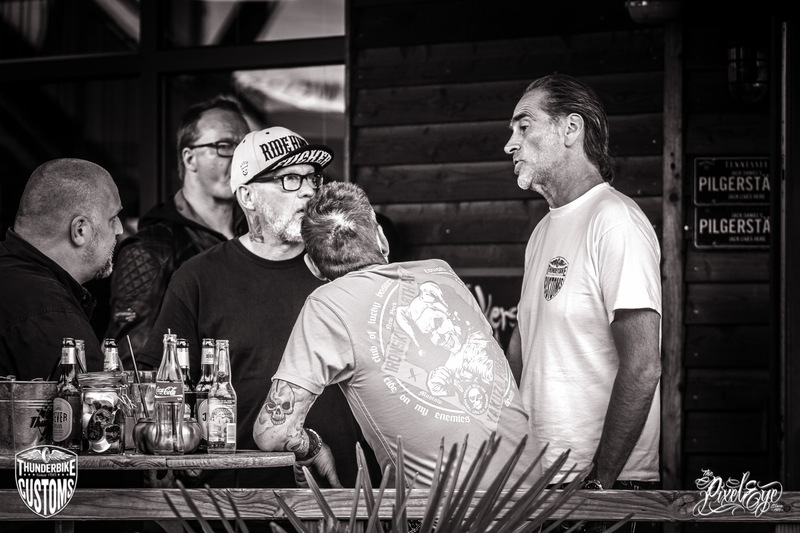 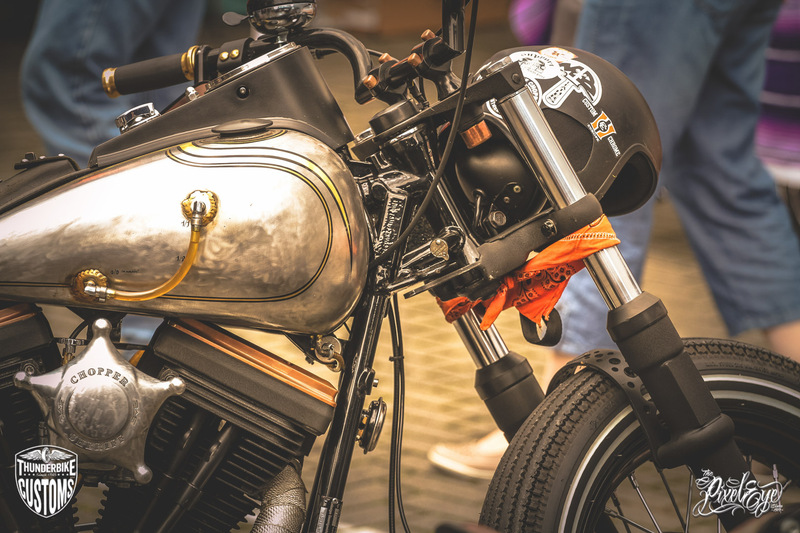 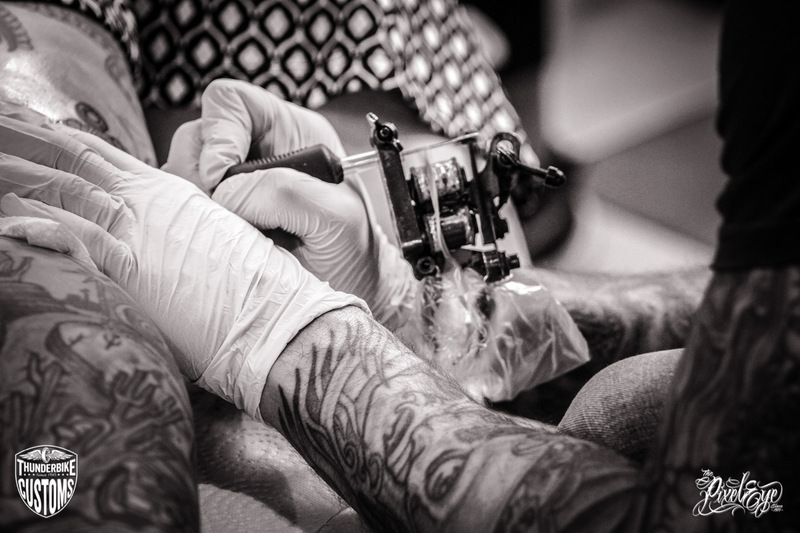 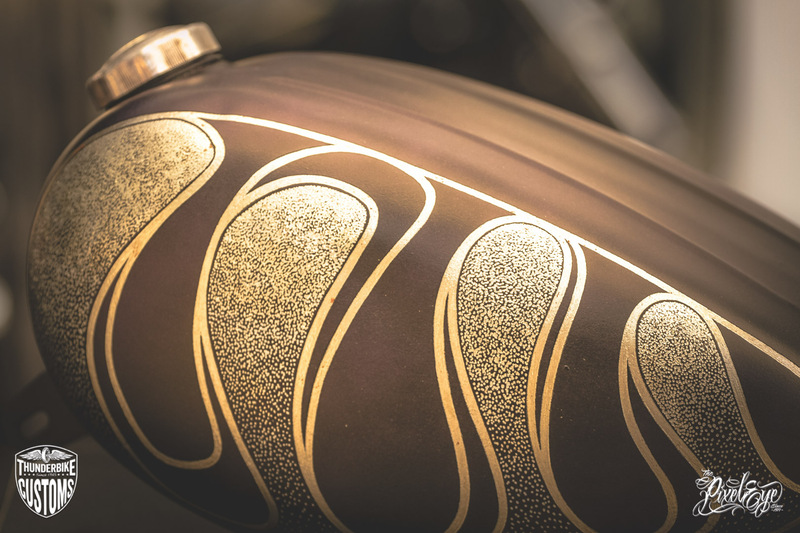 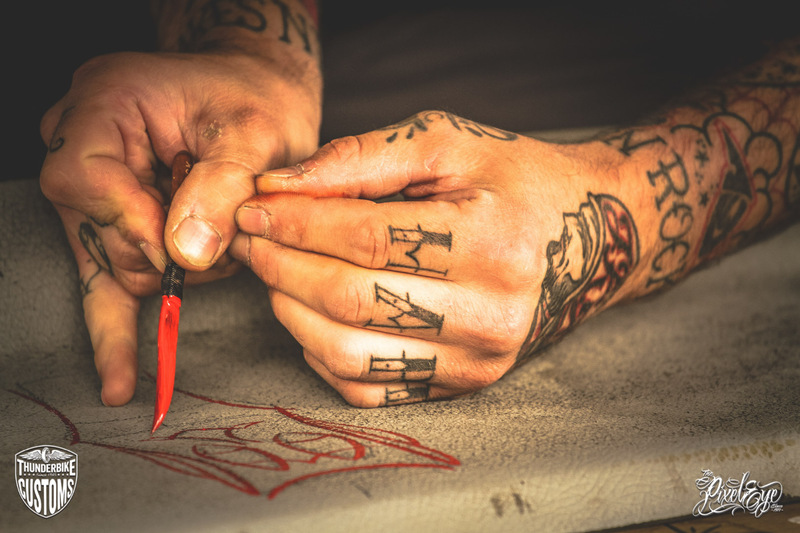 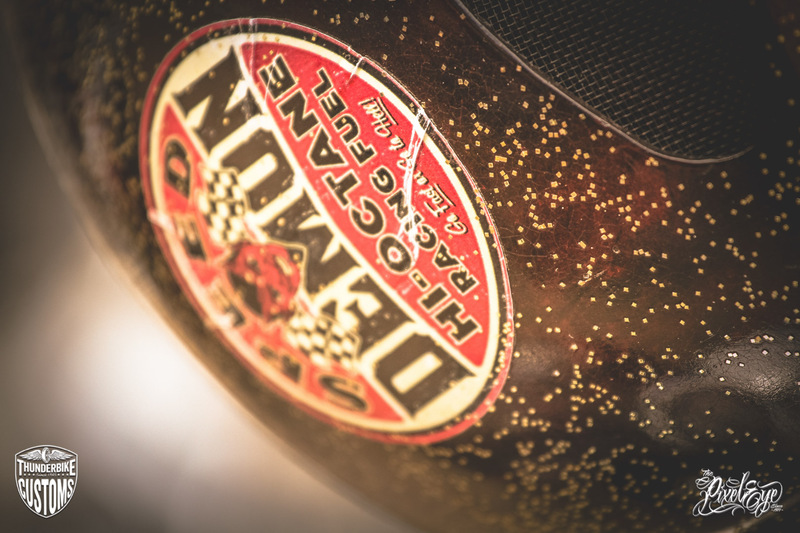 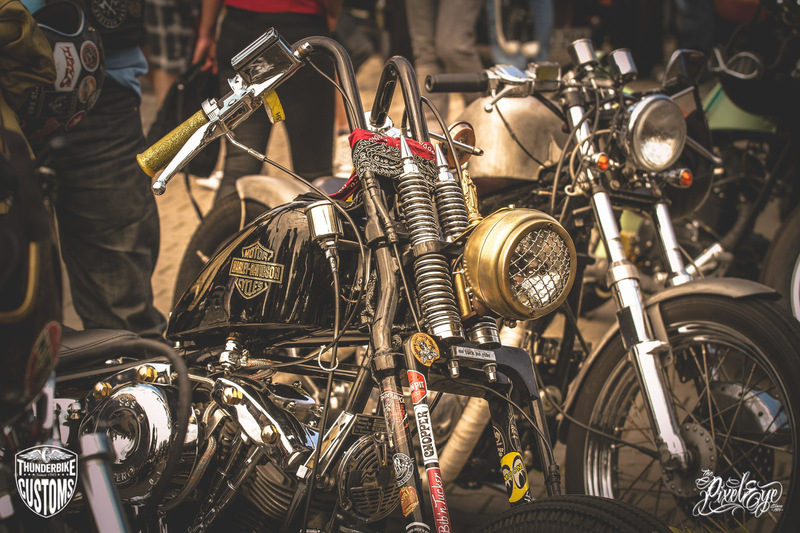 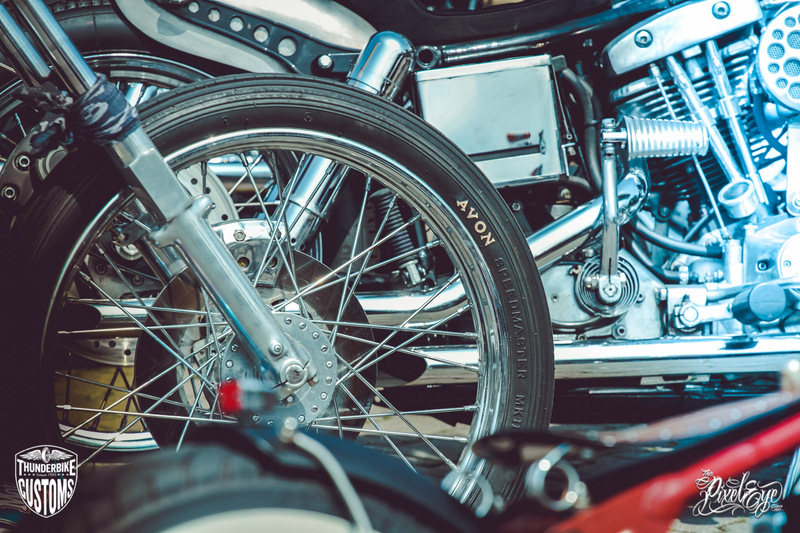 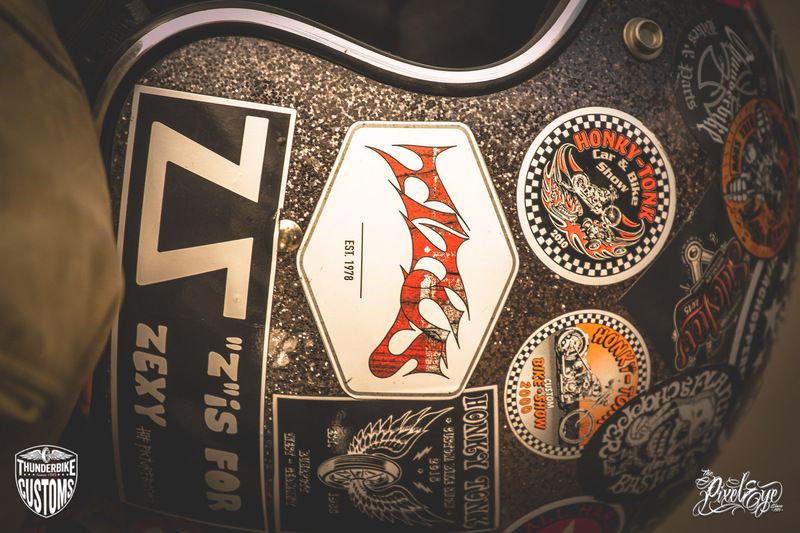 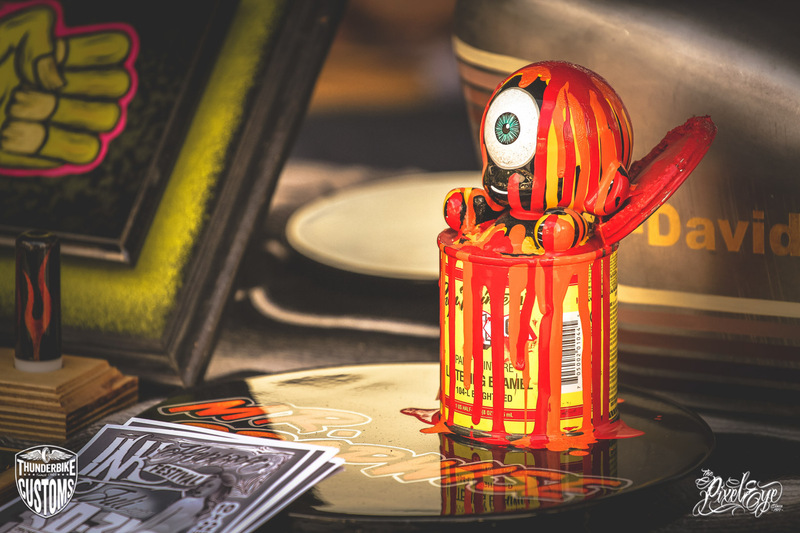 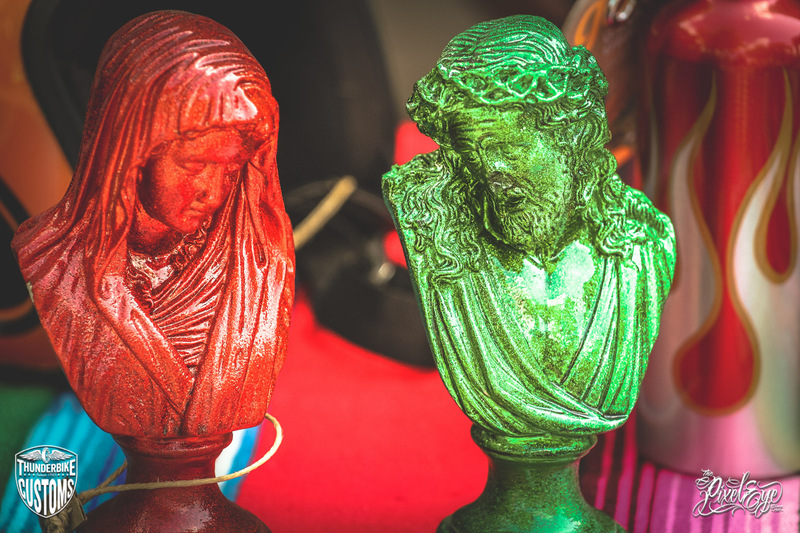 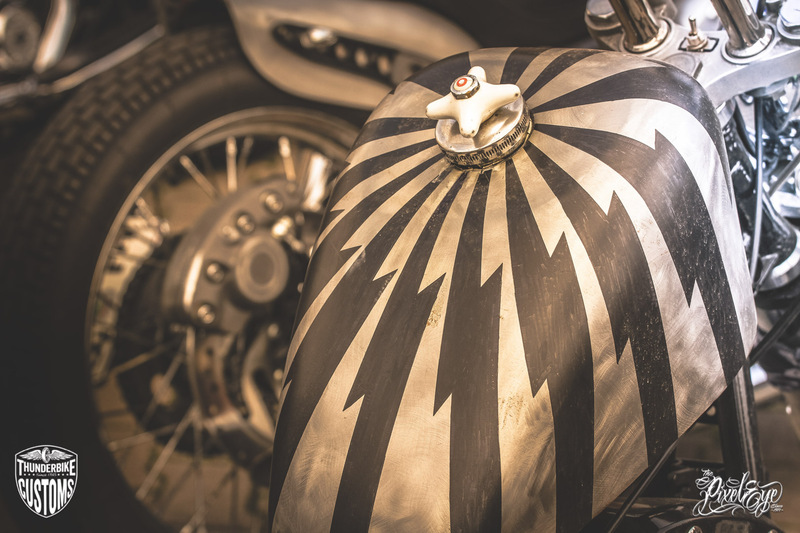 With exquisite bike and merchandise accessories, international exhibitors offered exciting insights into the world of Kustom art. 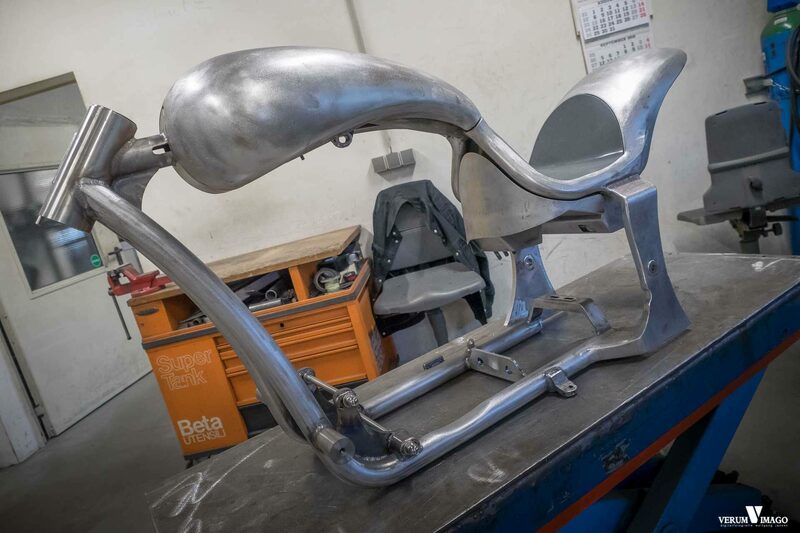 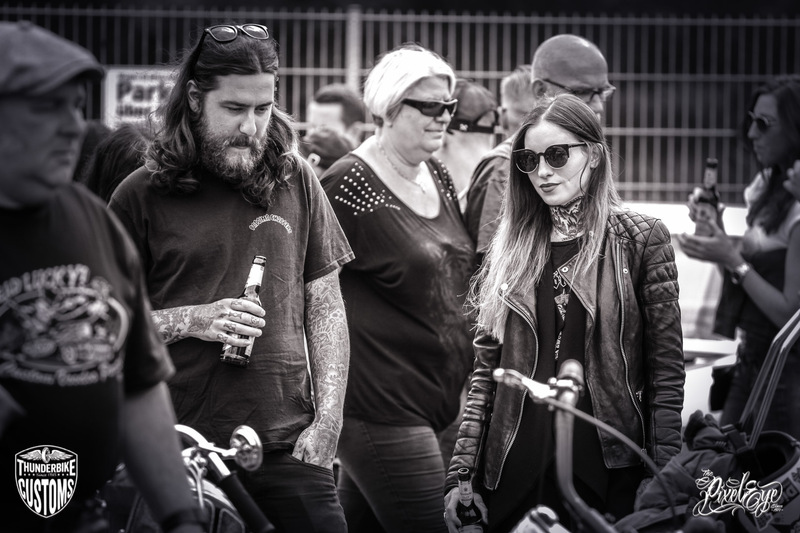 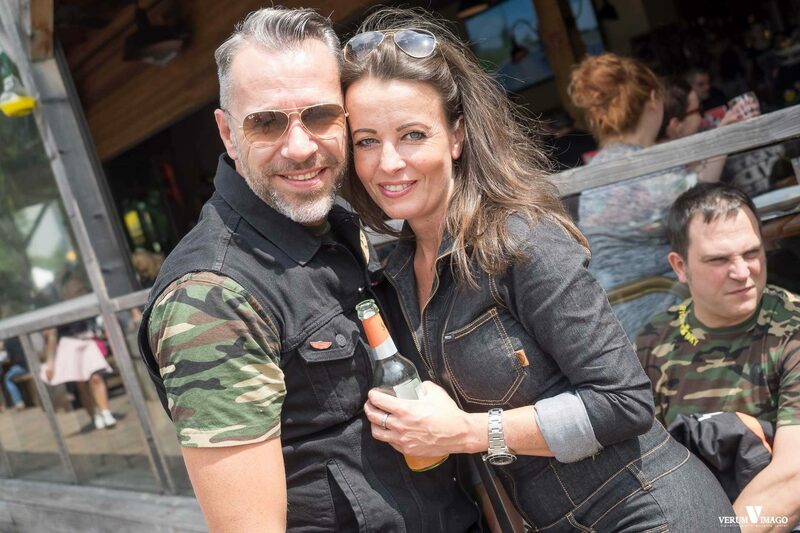 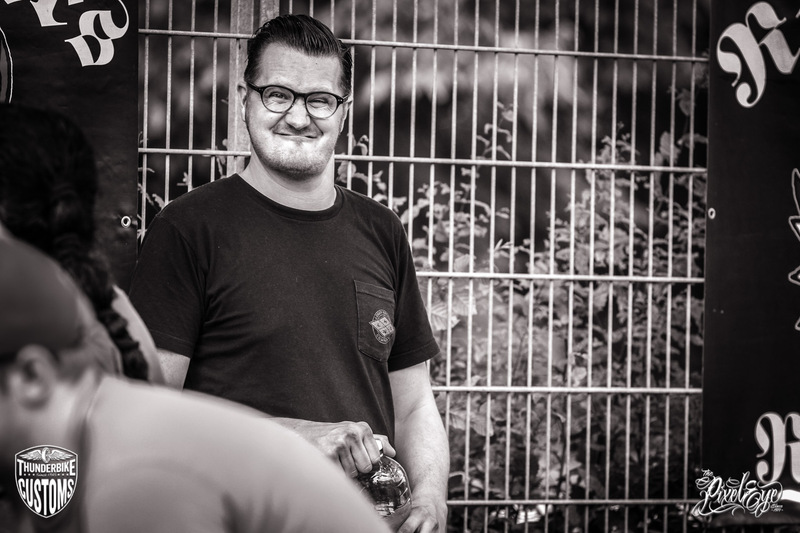 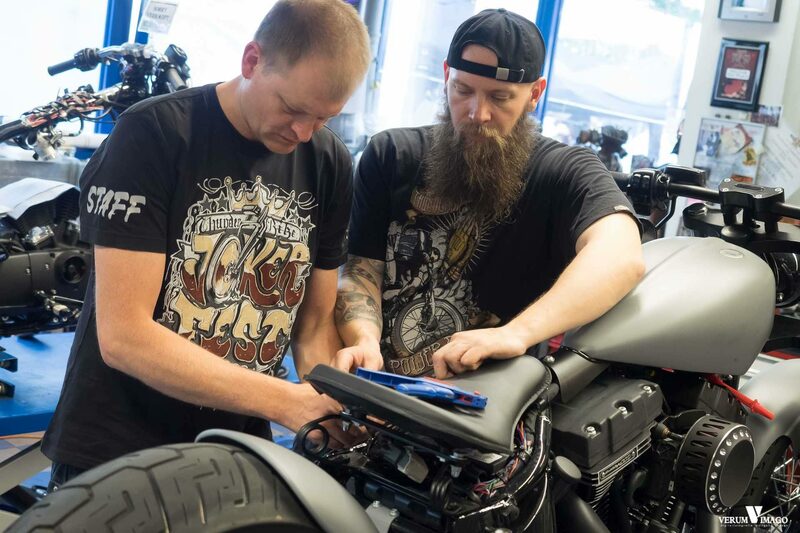 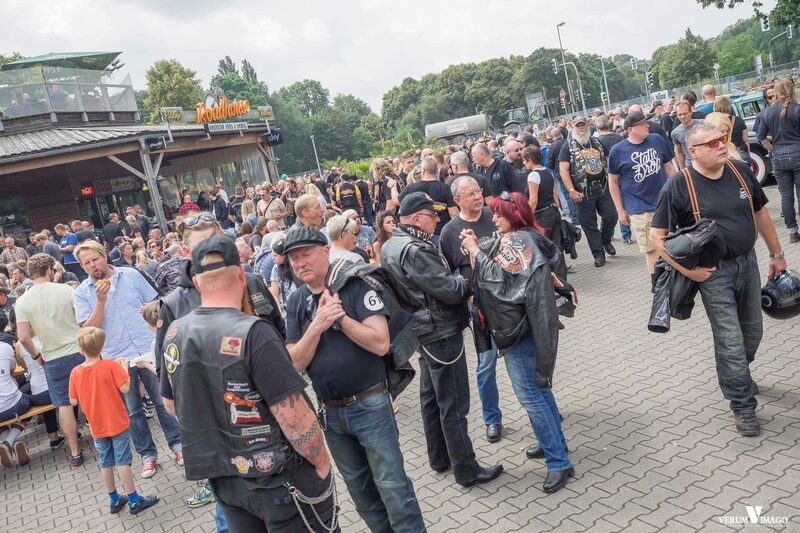 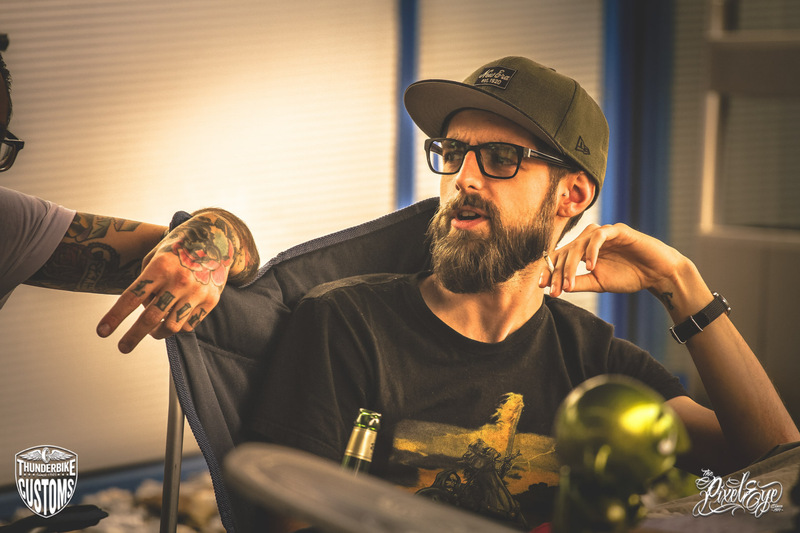 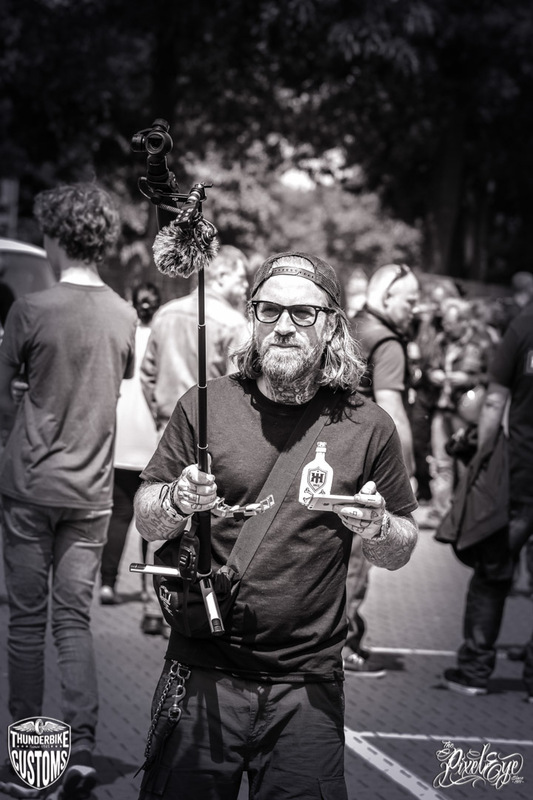 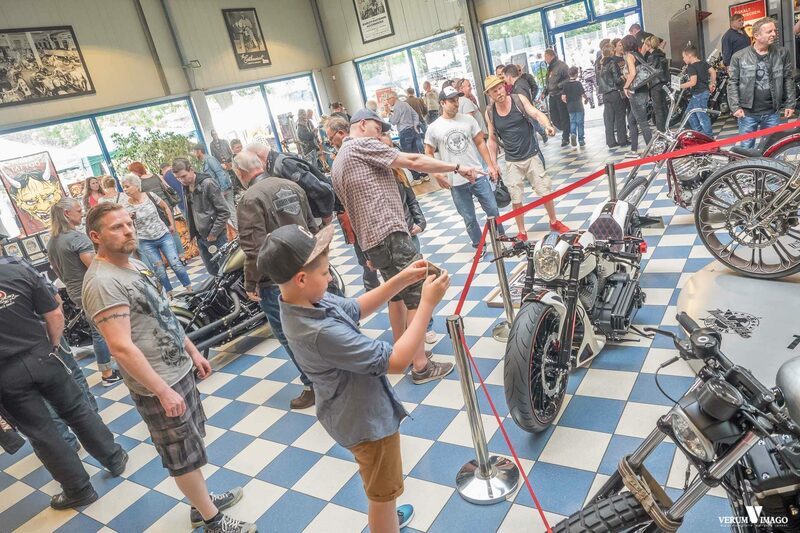 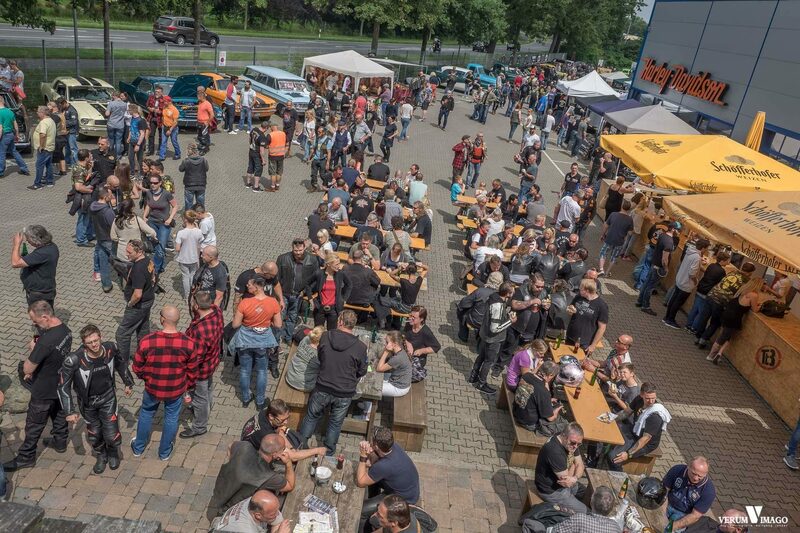 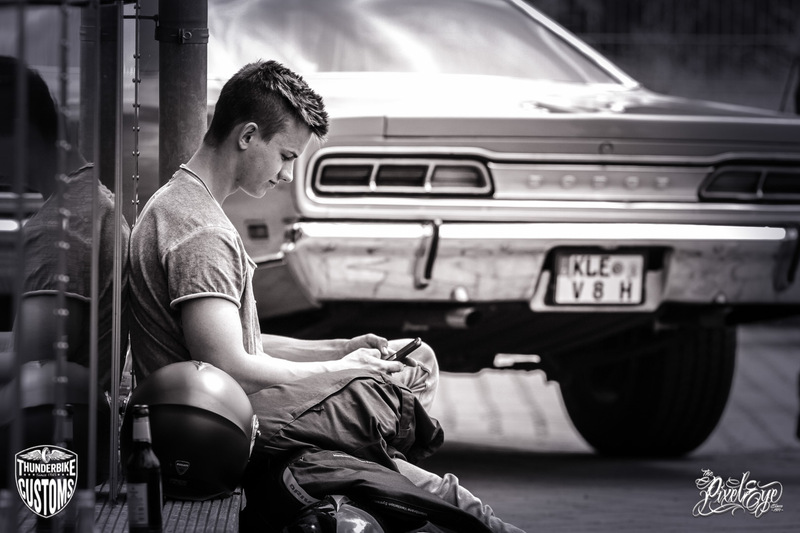 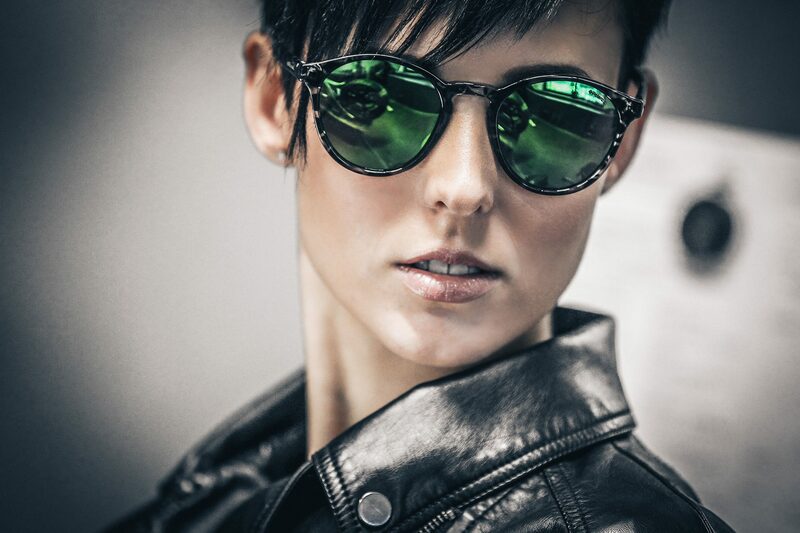 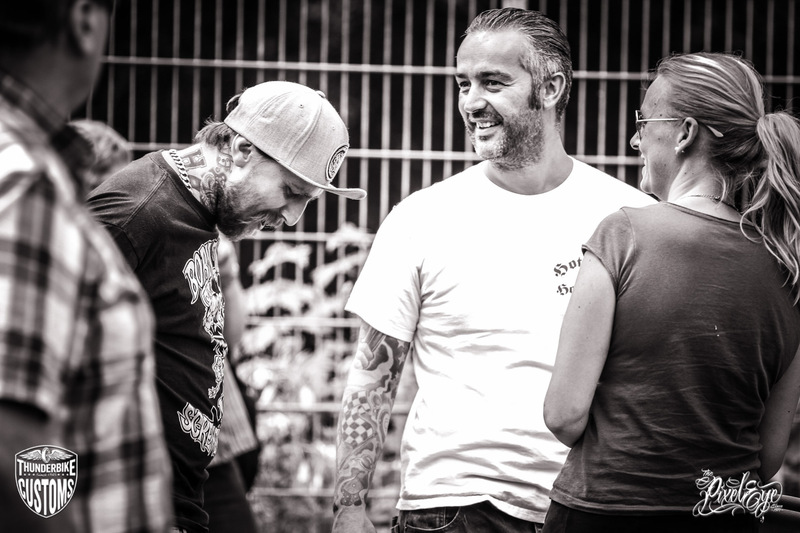 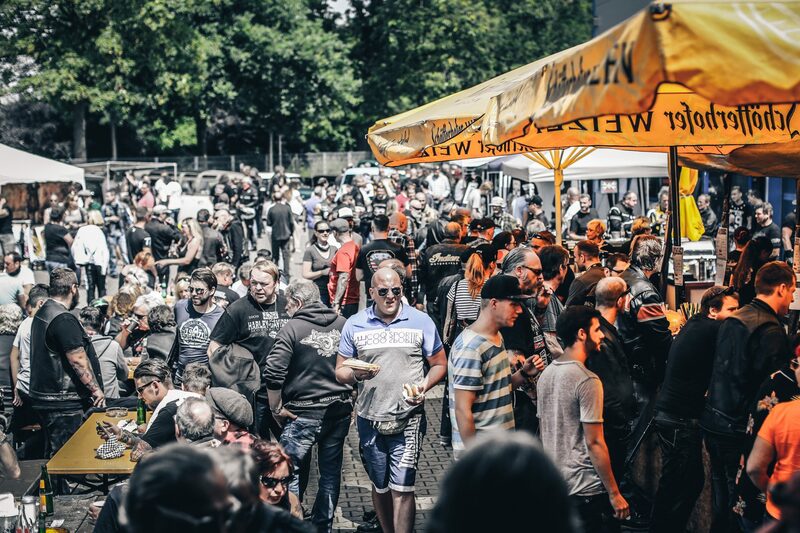 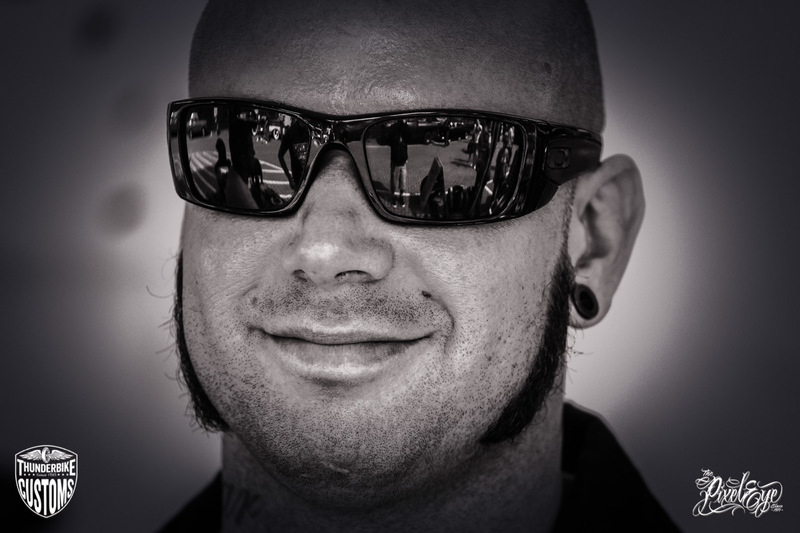 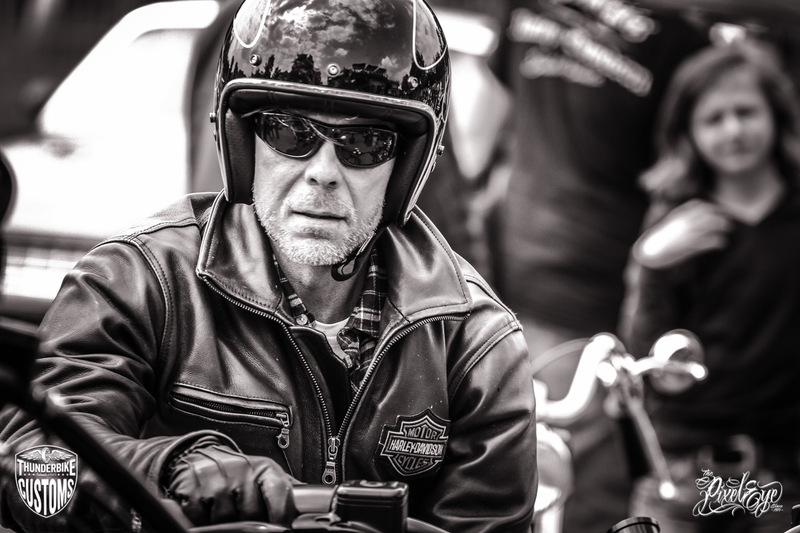 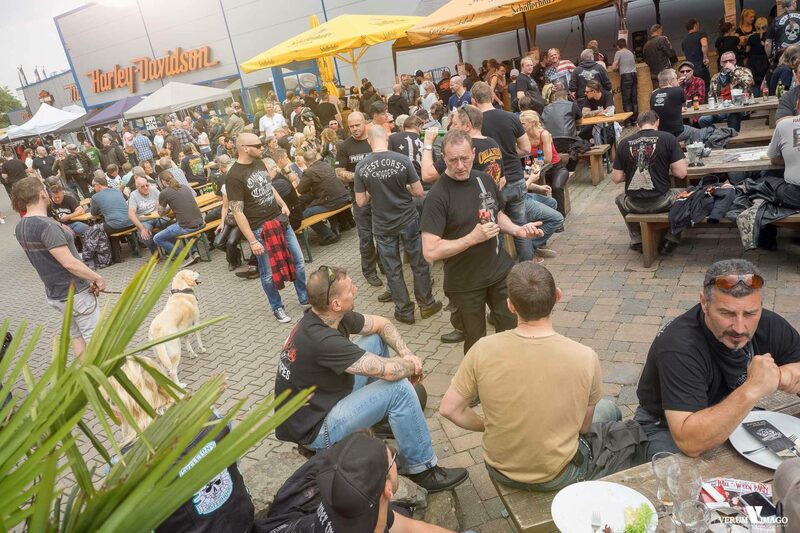 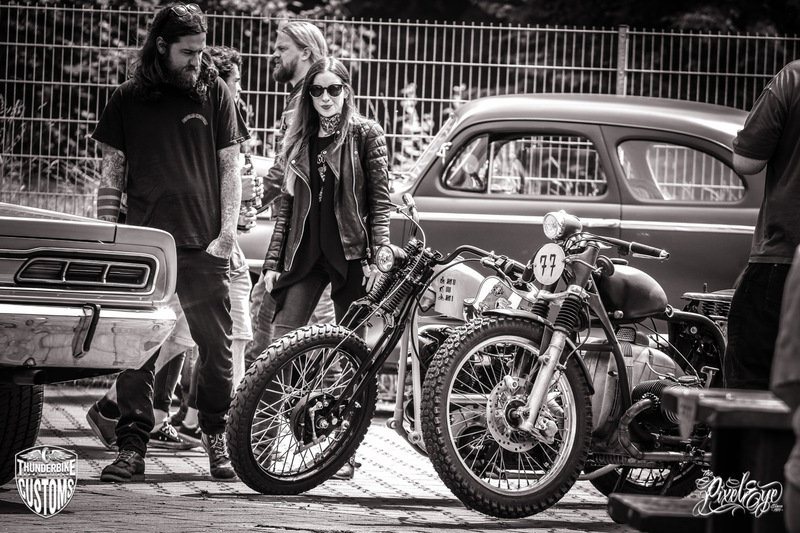 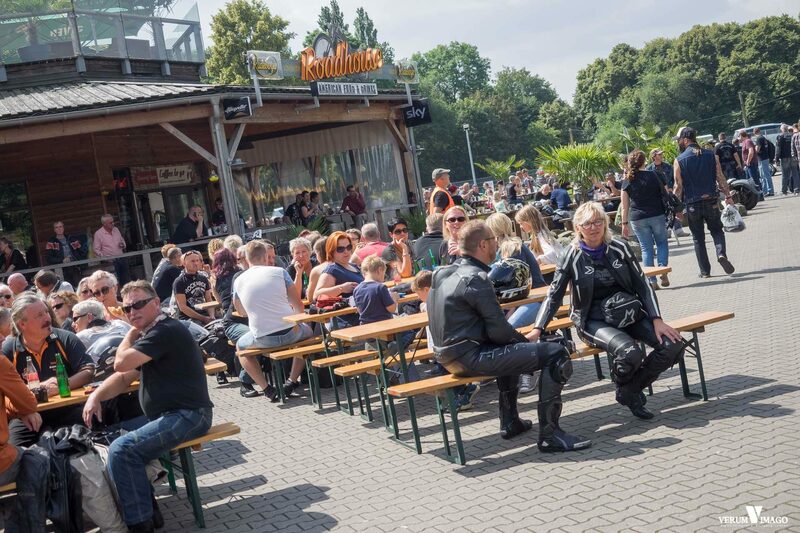 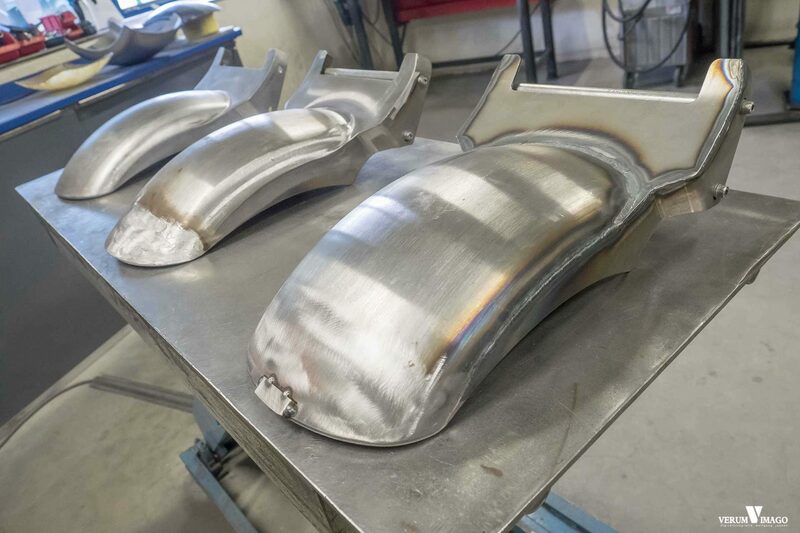 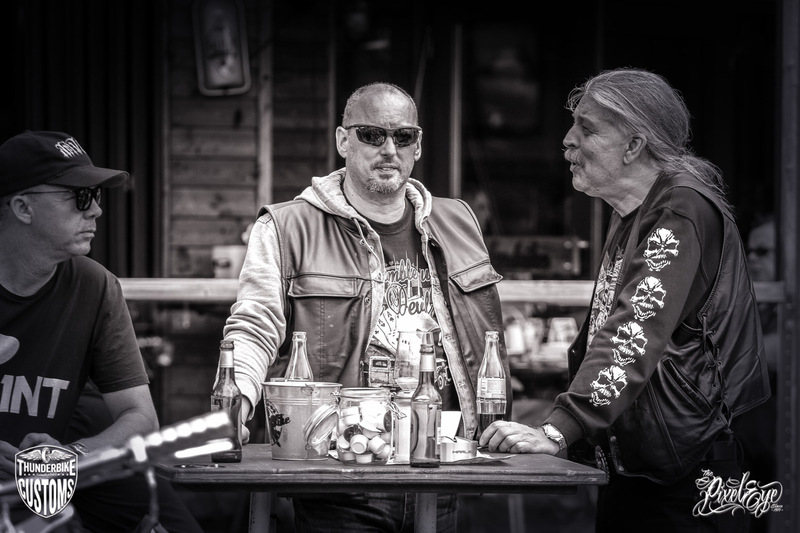 Thunderbike reopened all doors and gave backstage insights into all the production halls. 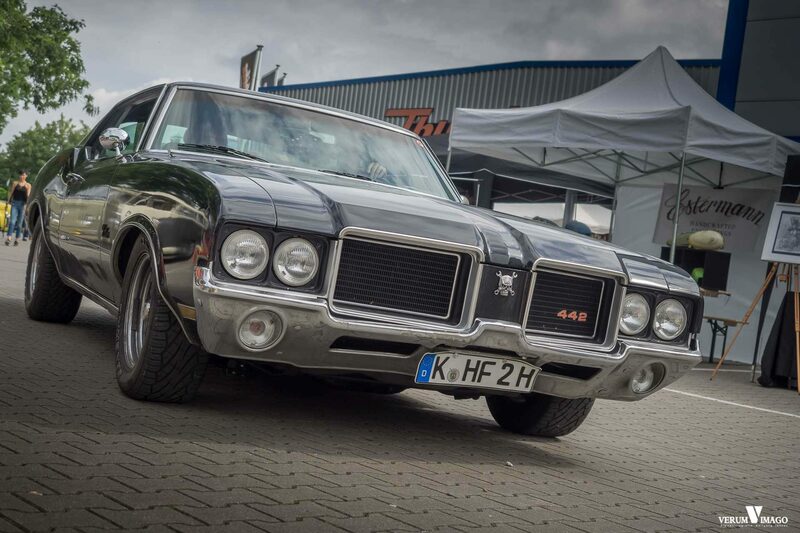 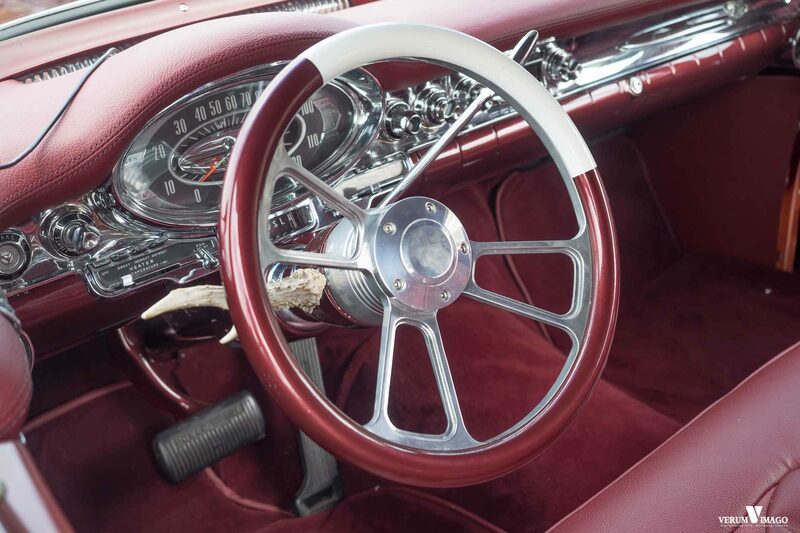 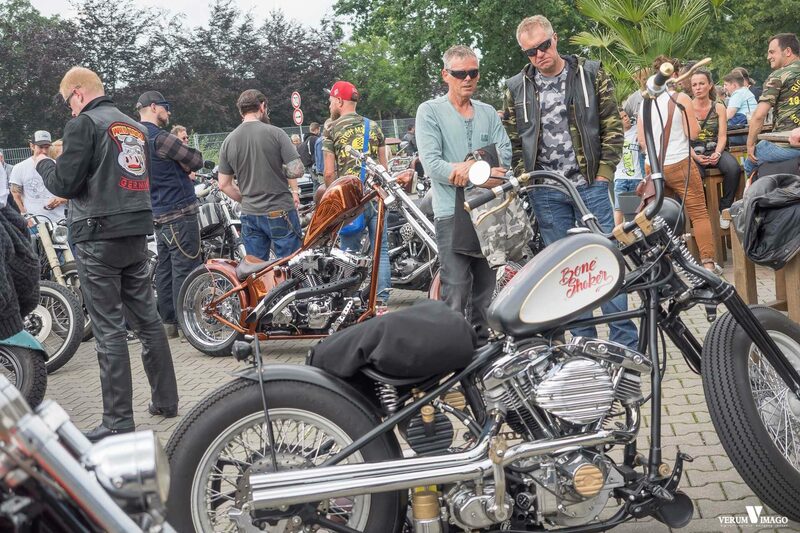 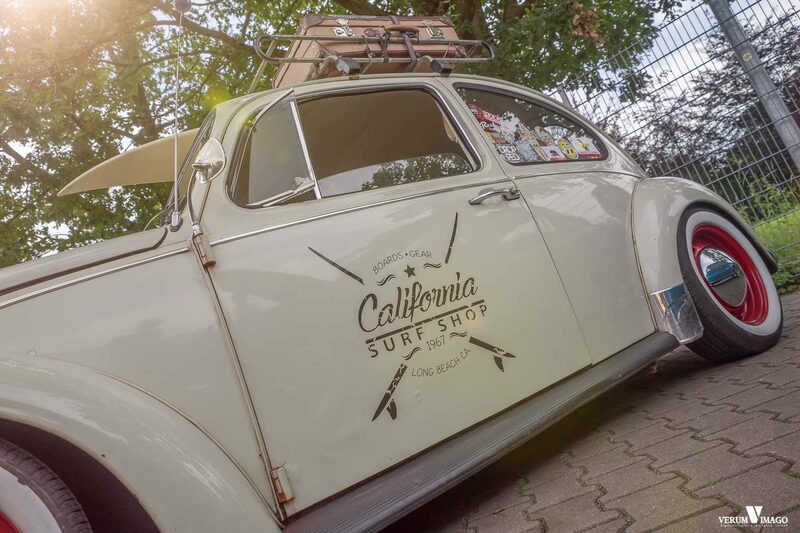 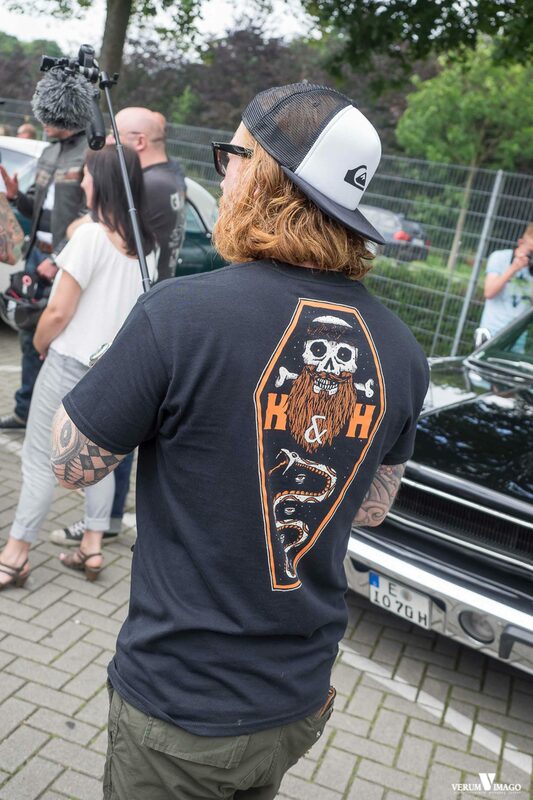 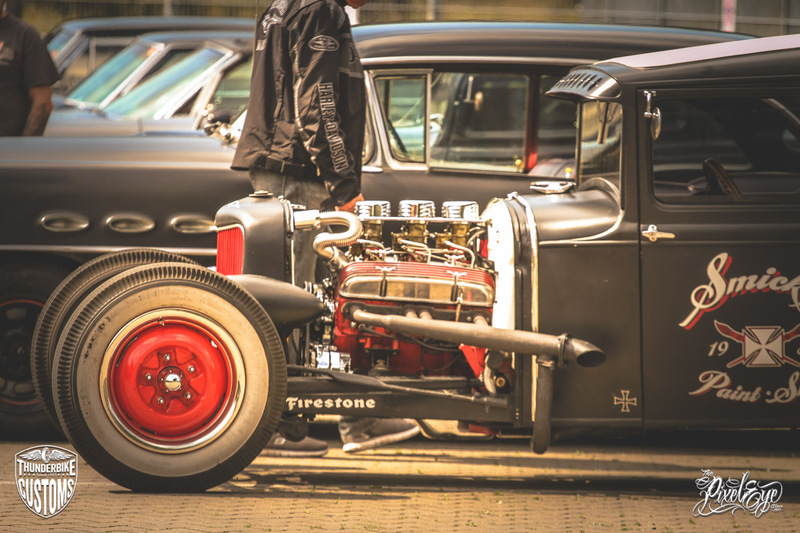 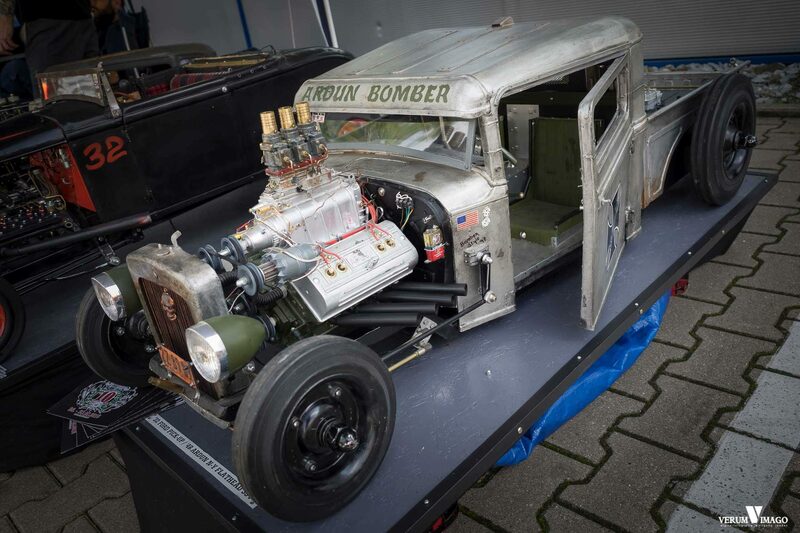 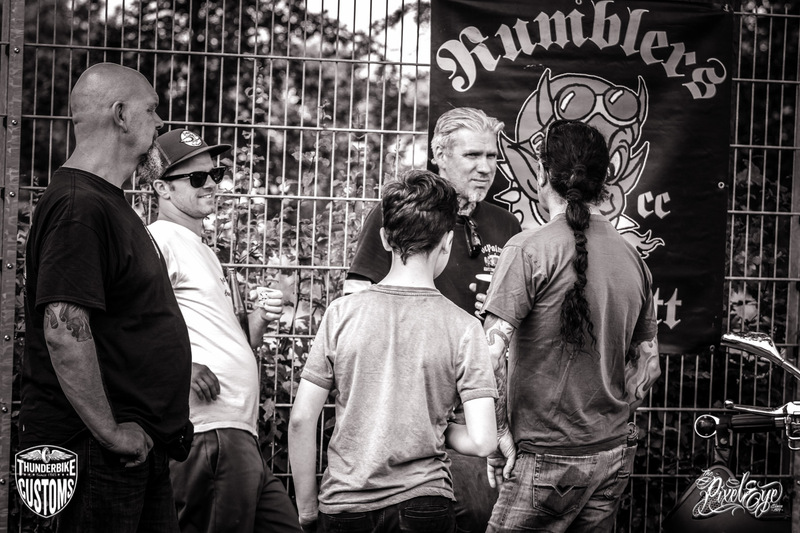 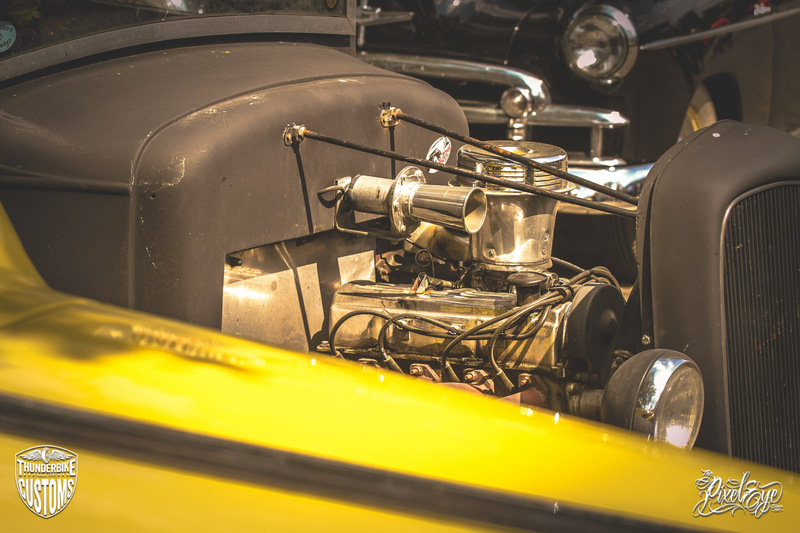 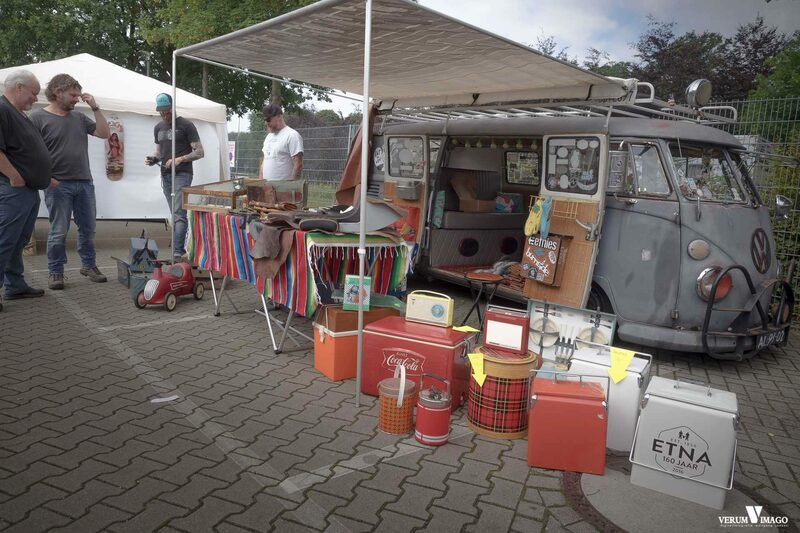 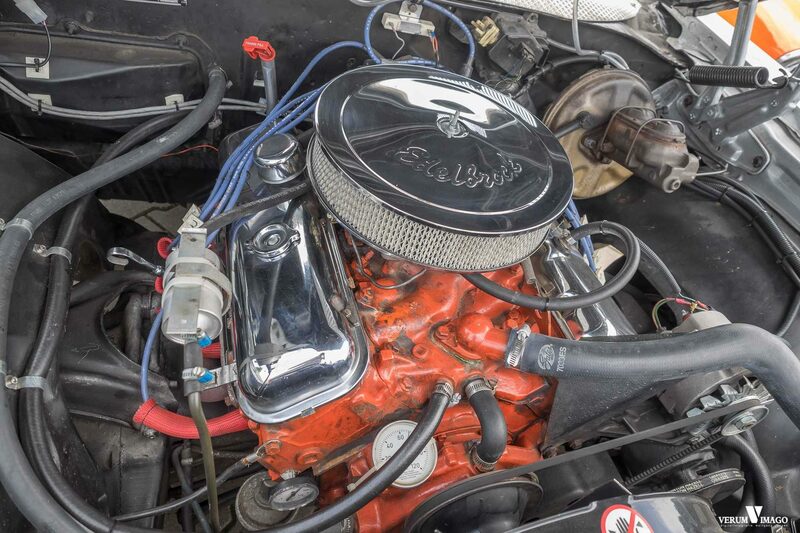 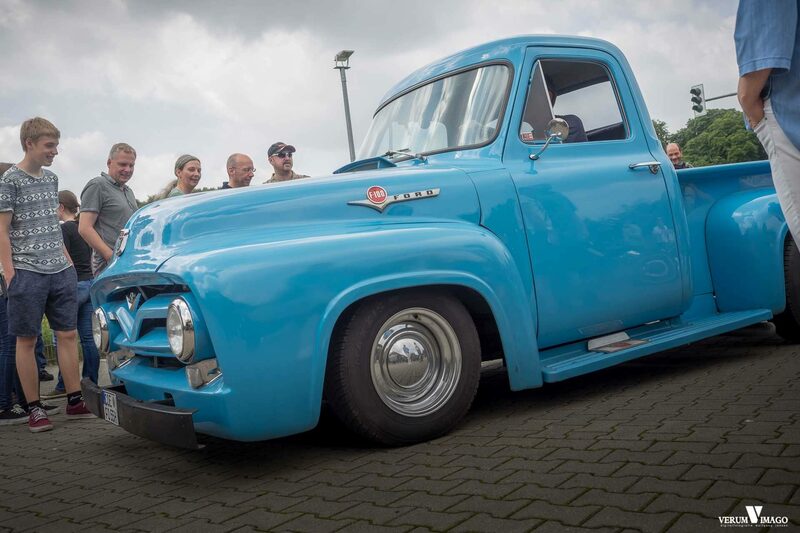 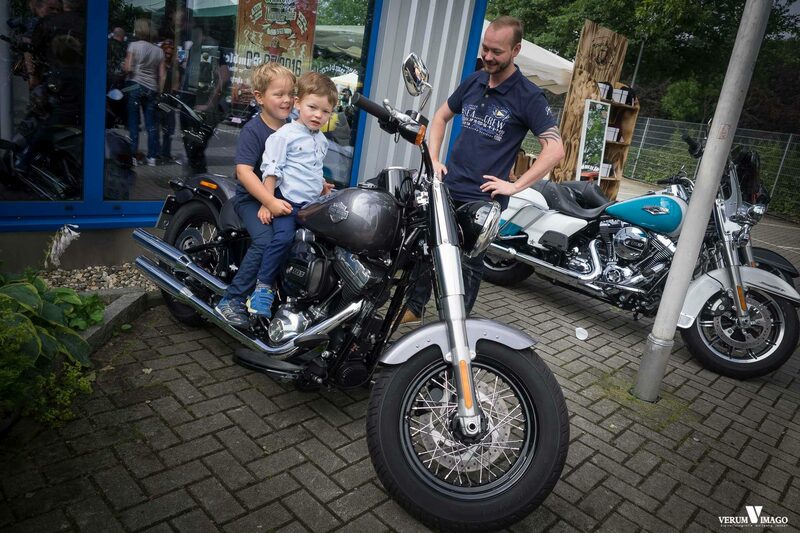 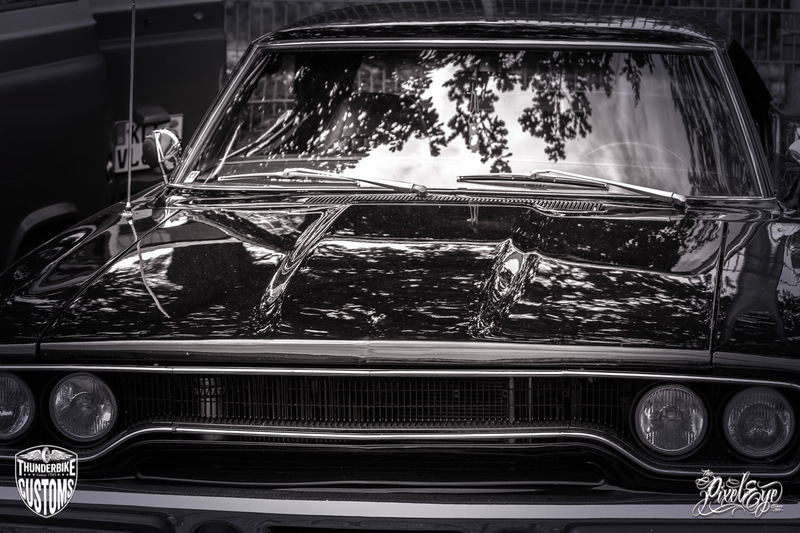 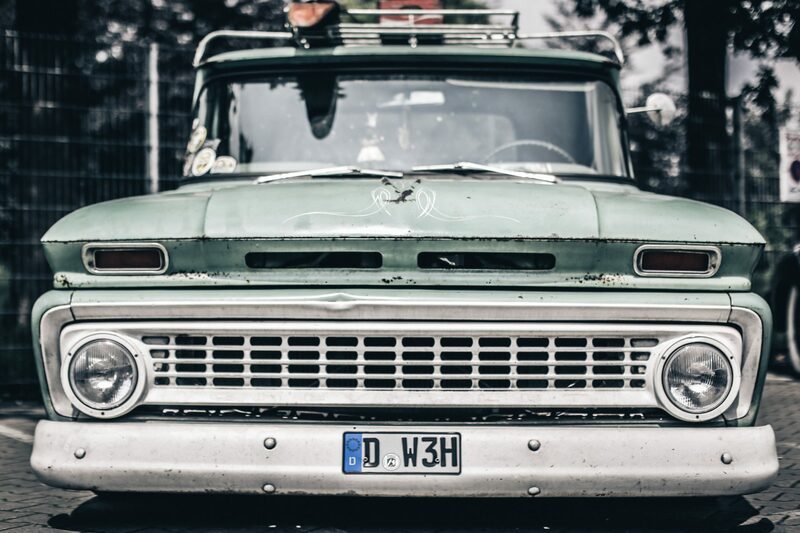 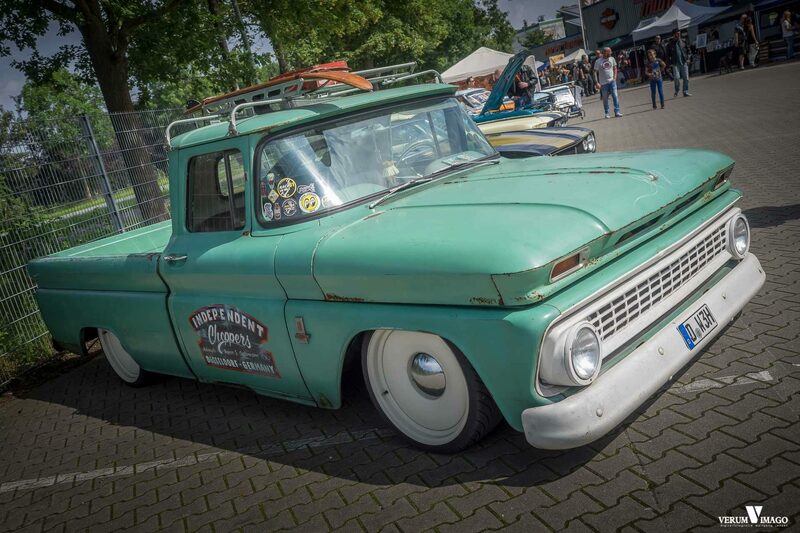 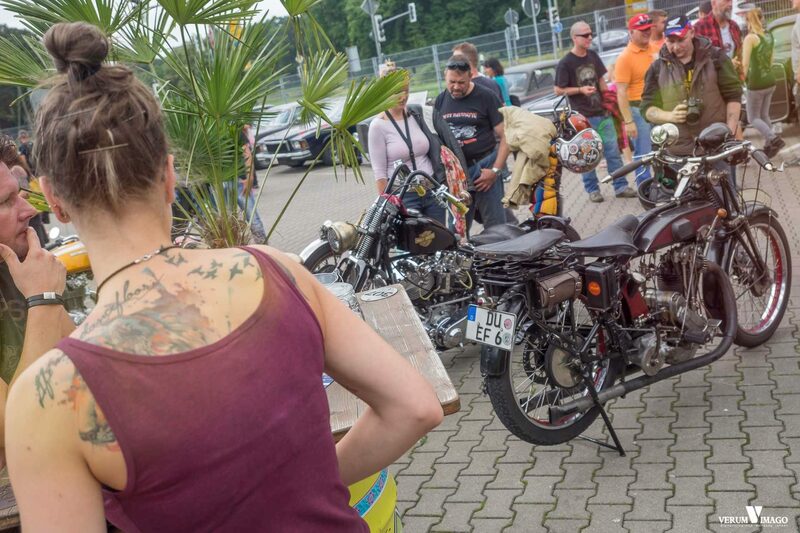 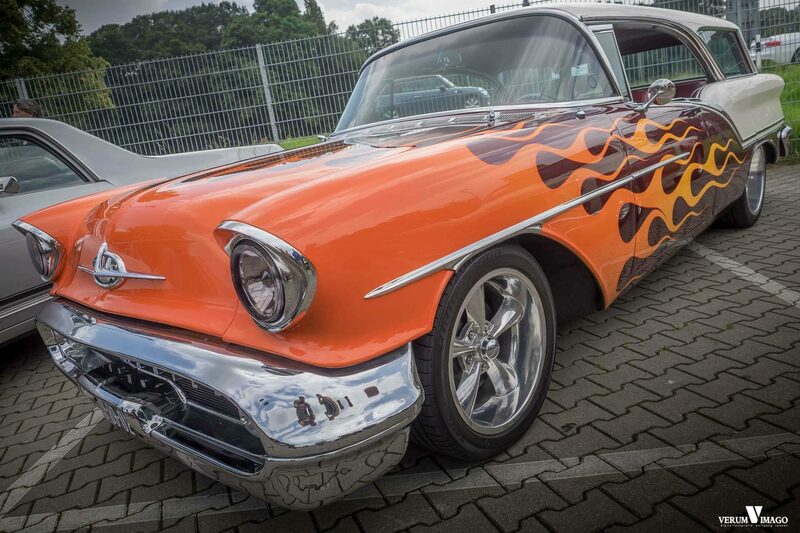 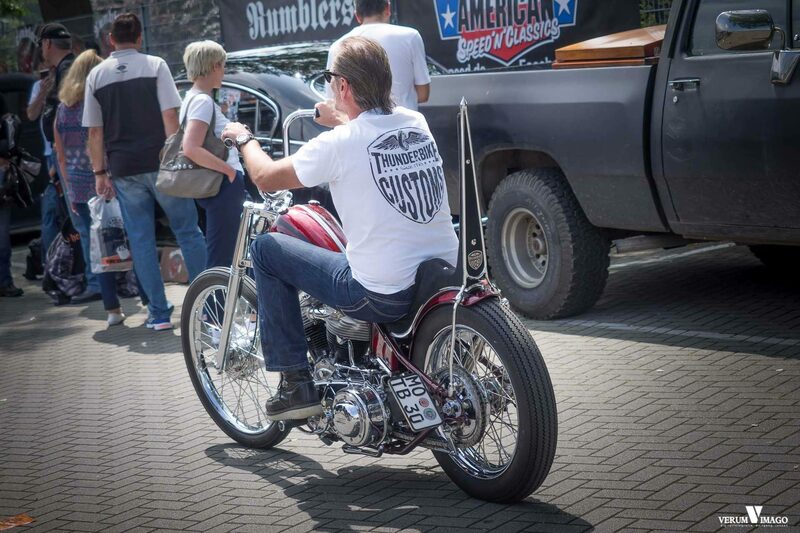 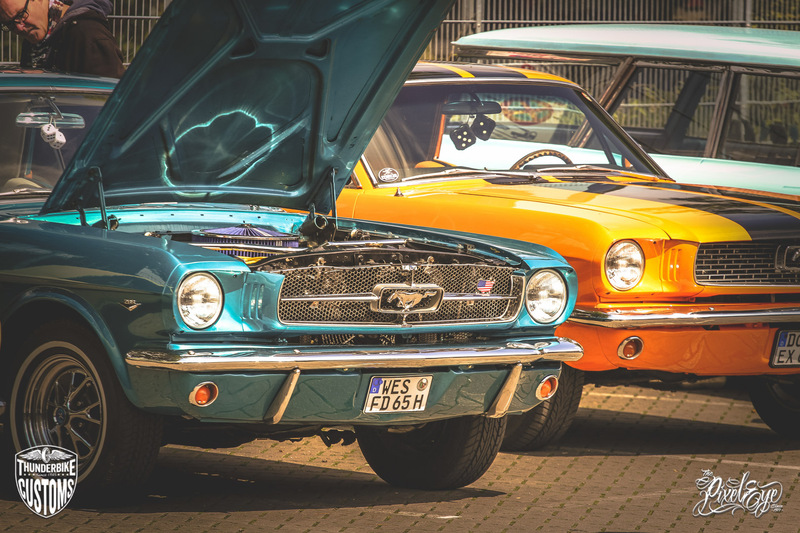 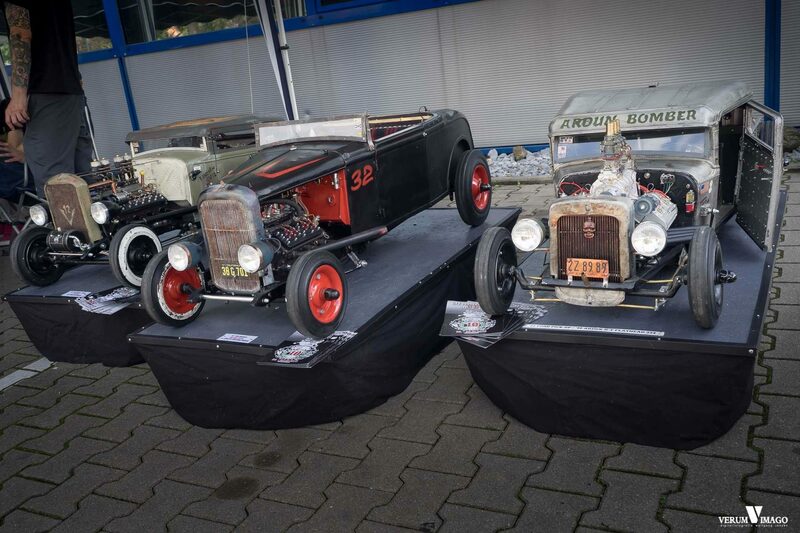 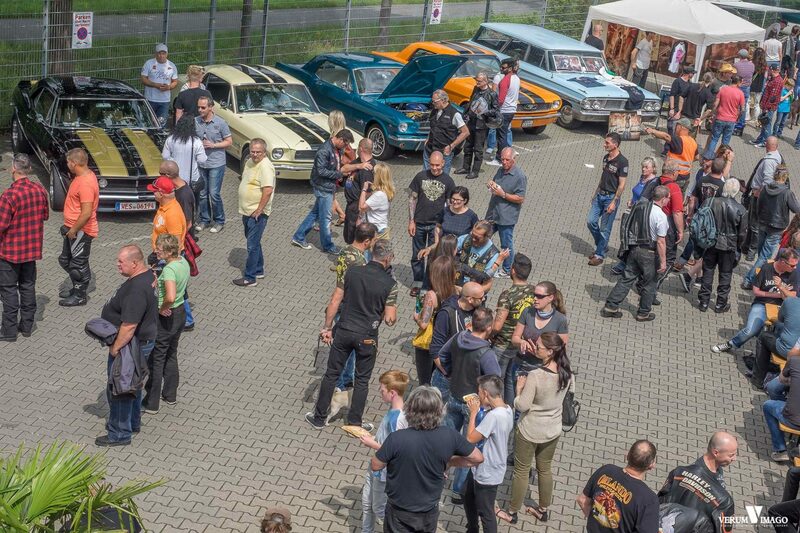 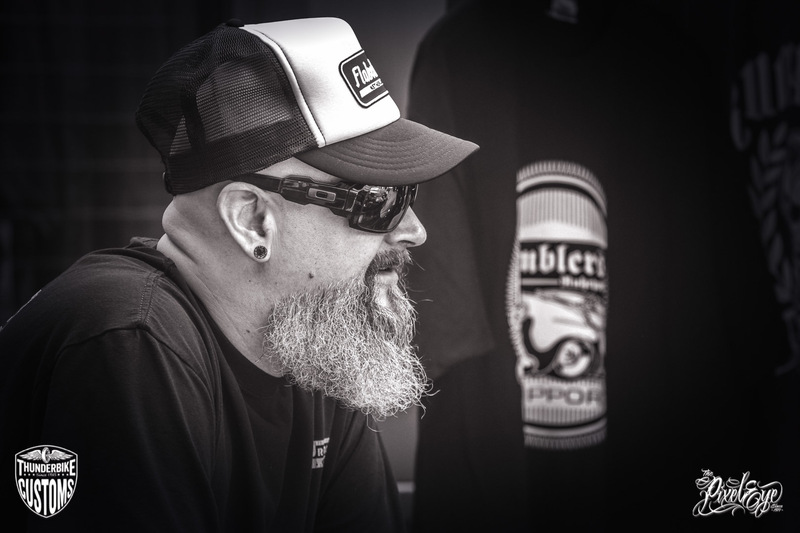 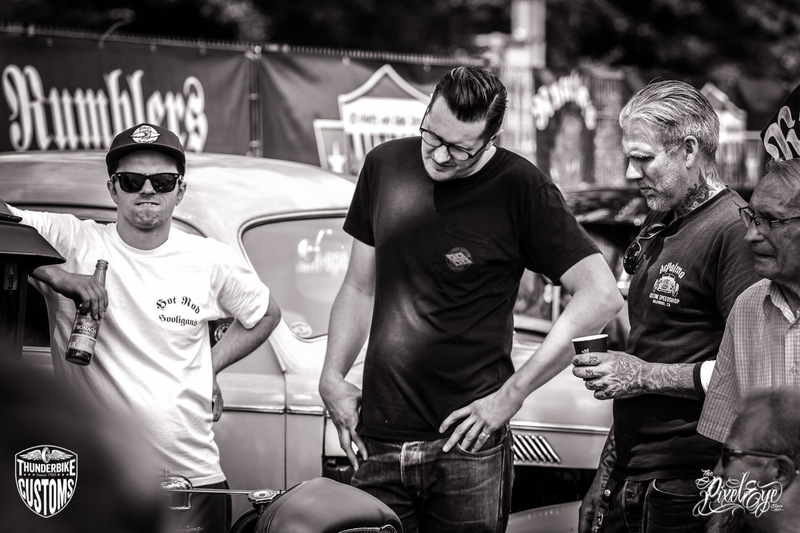 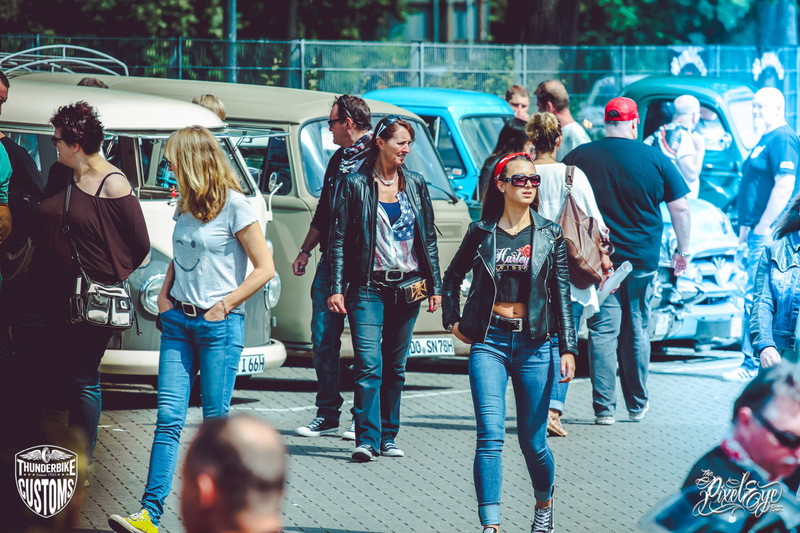 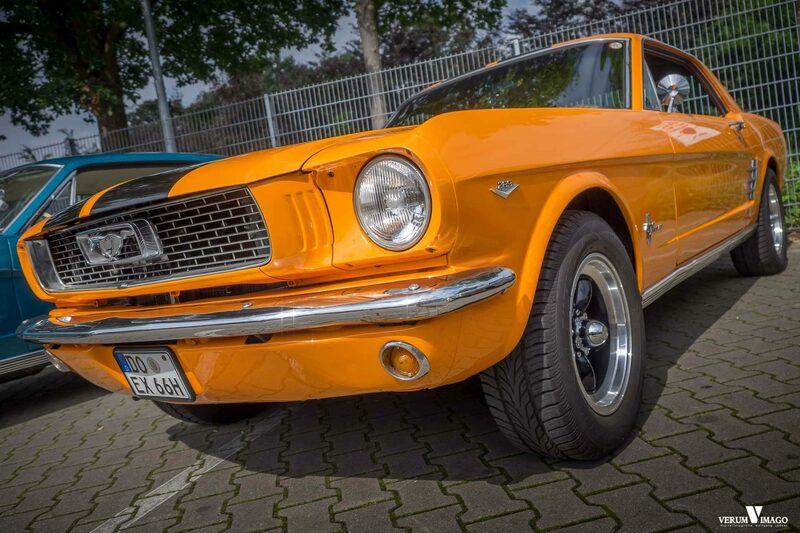 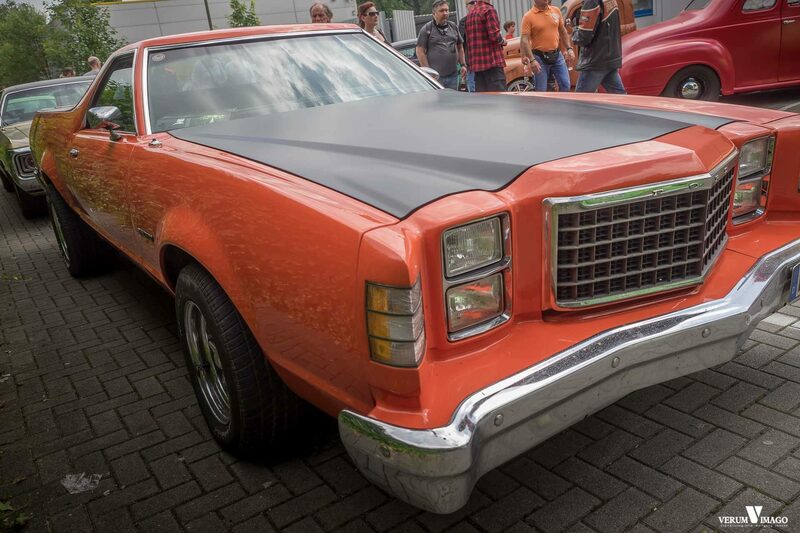 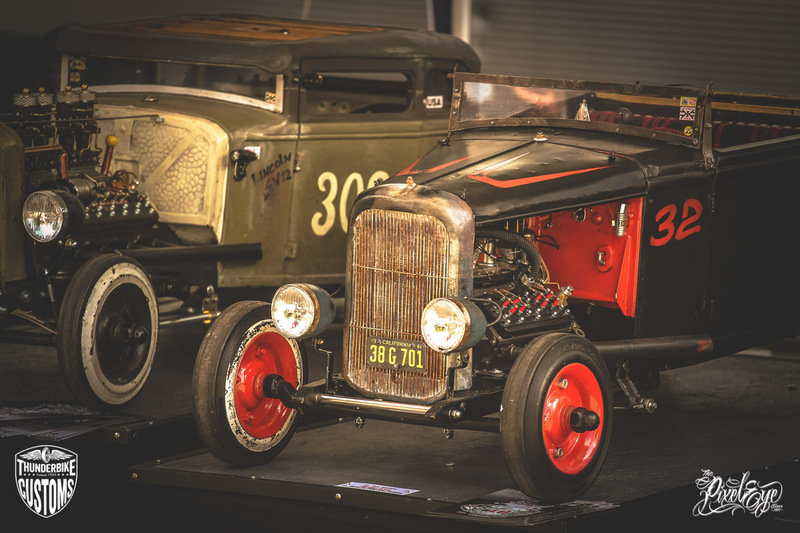 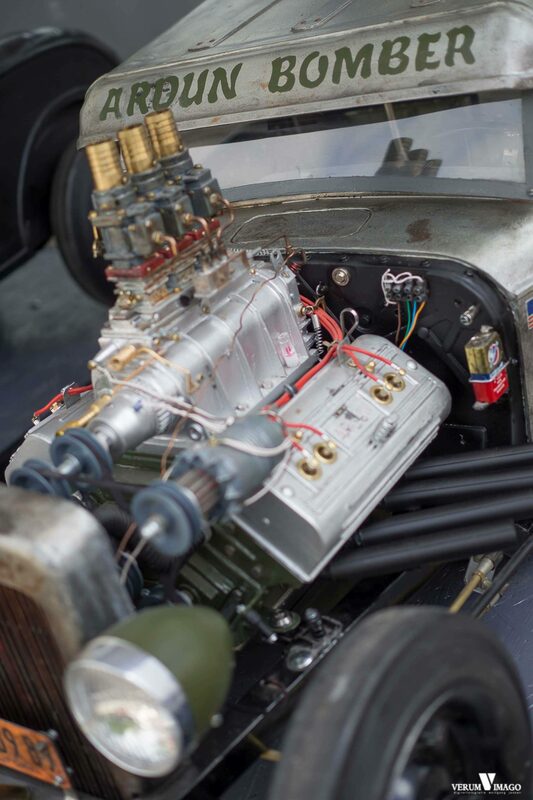 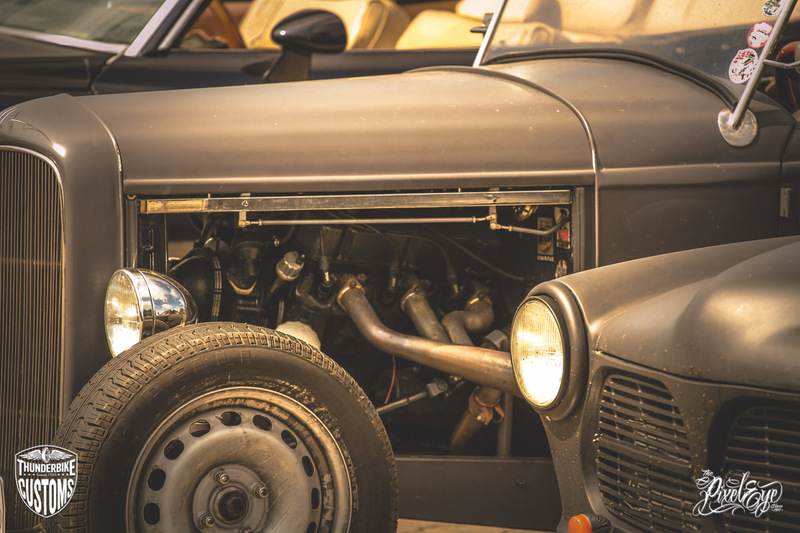 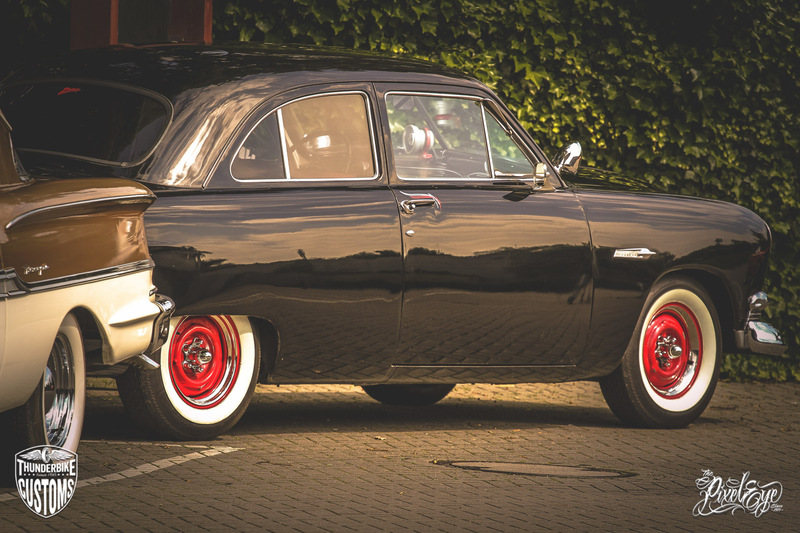 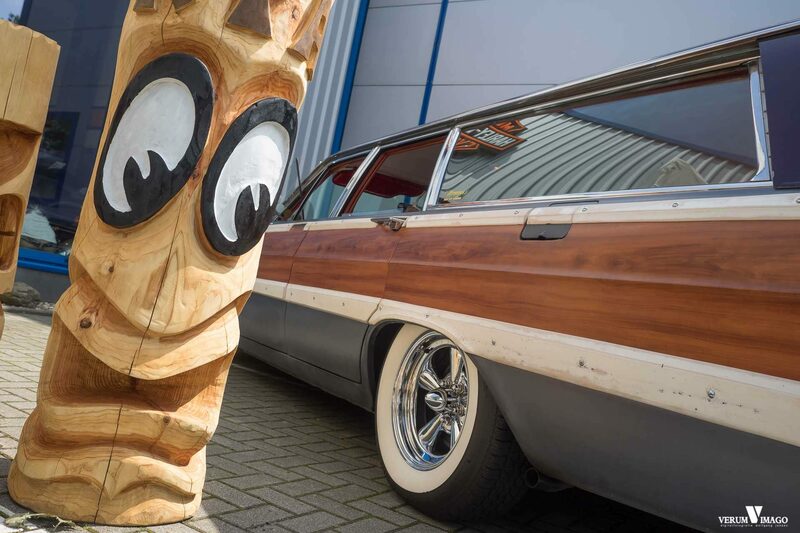 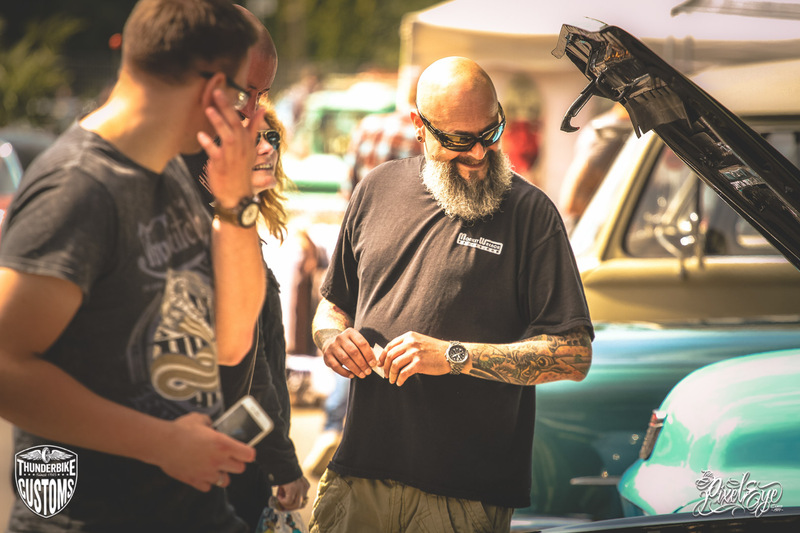 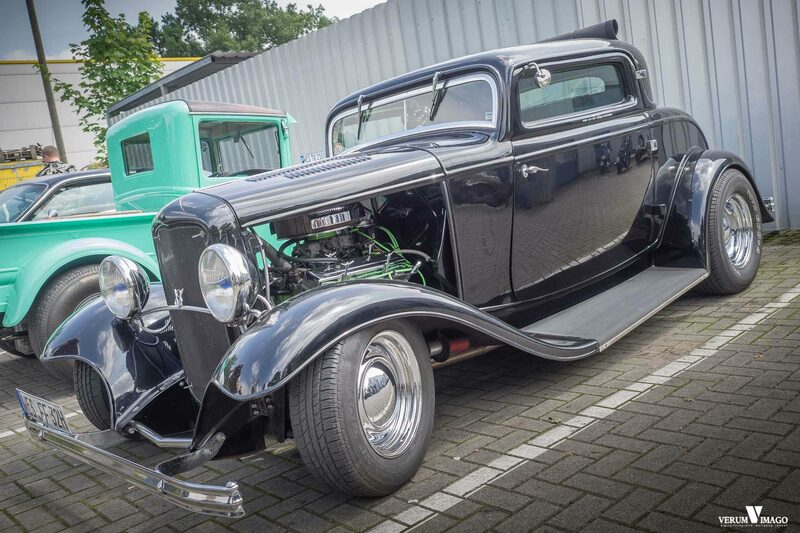 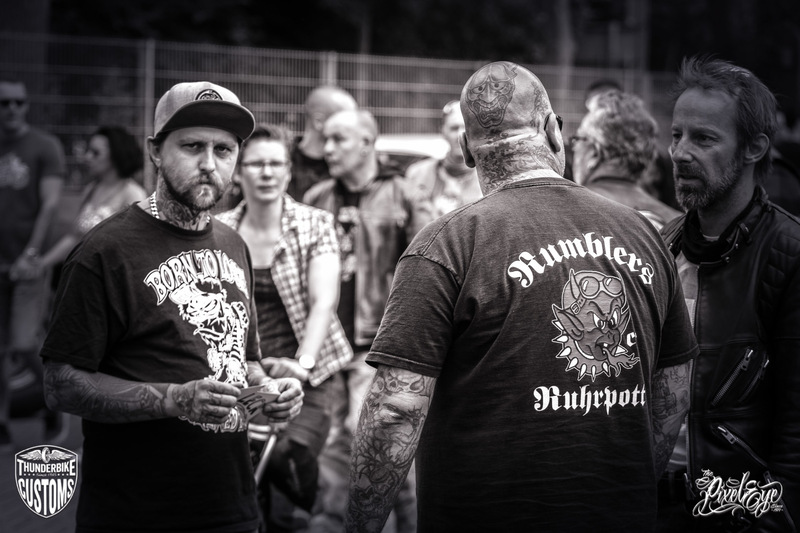 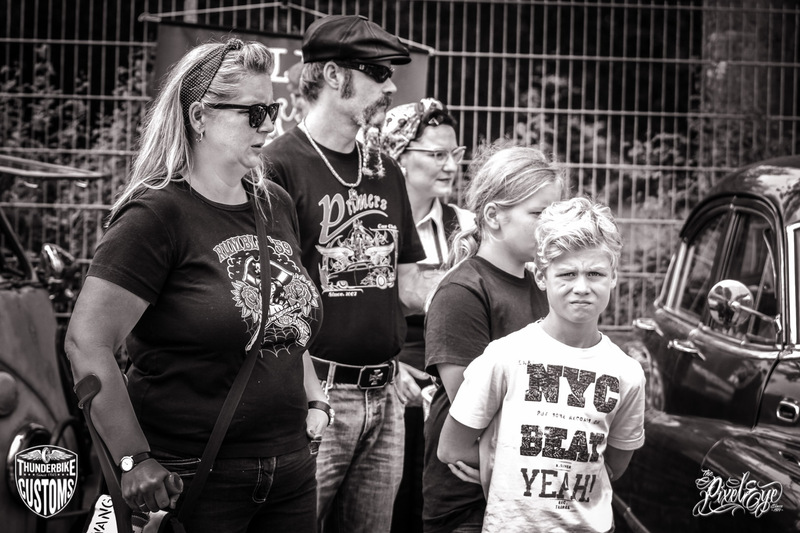 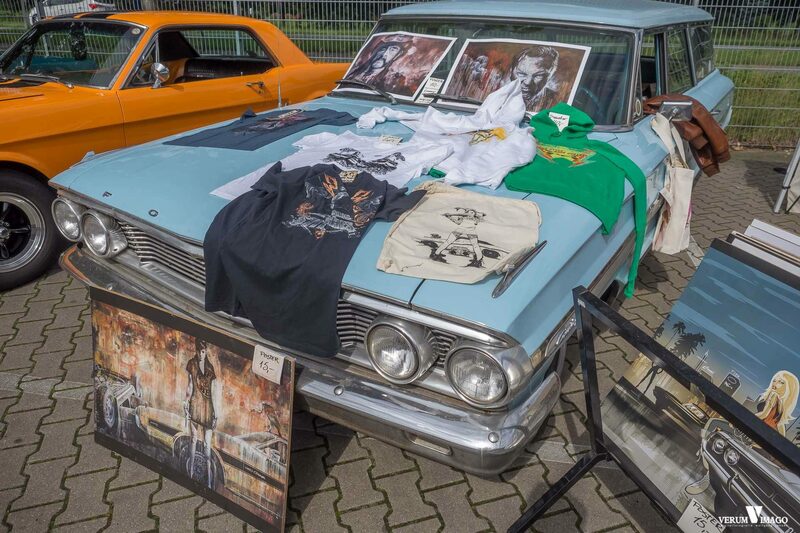 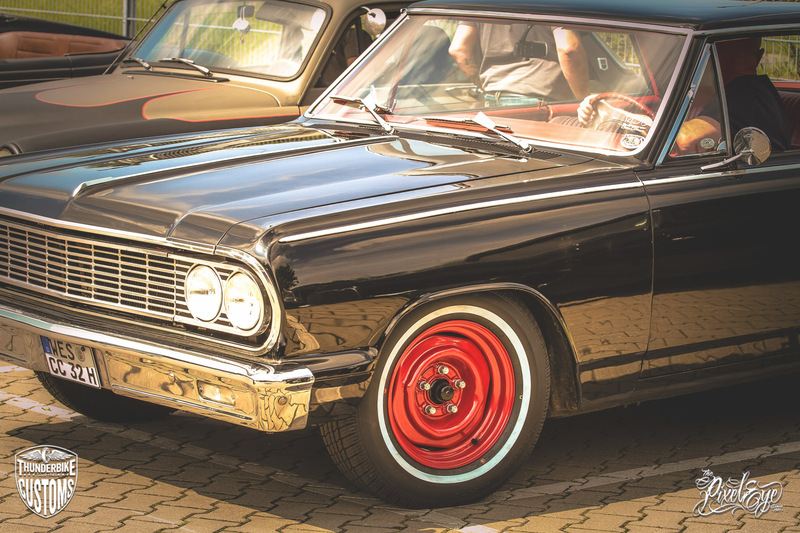 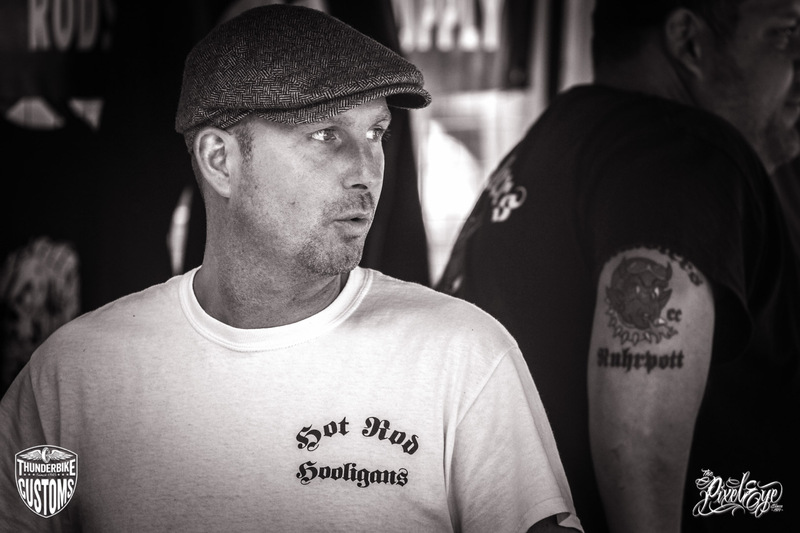 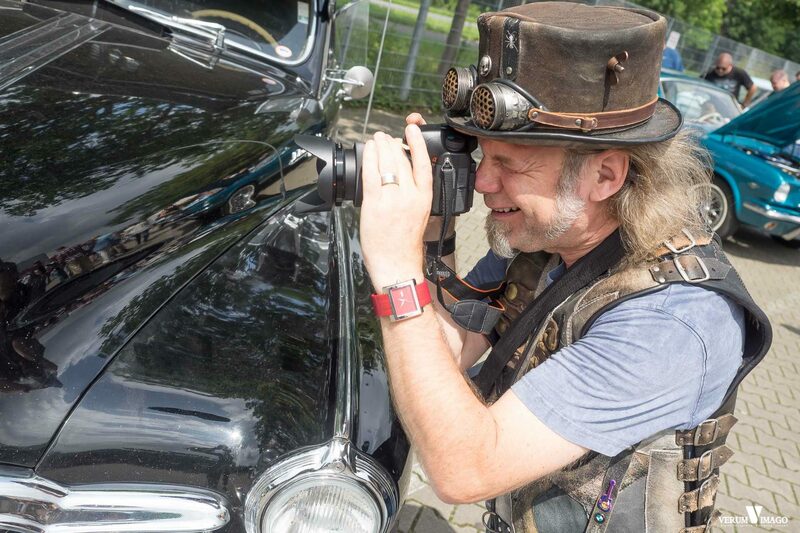 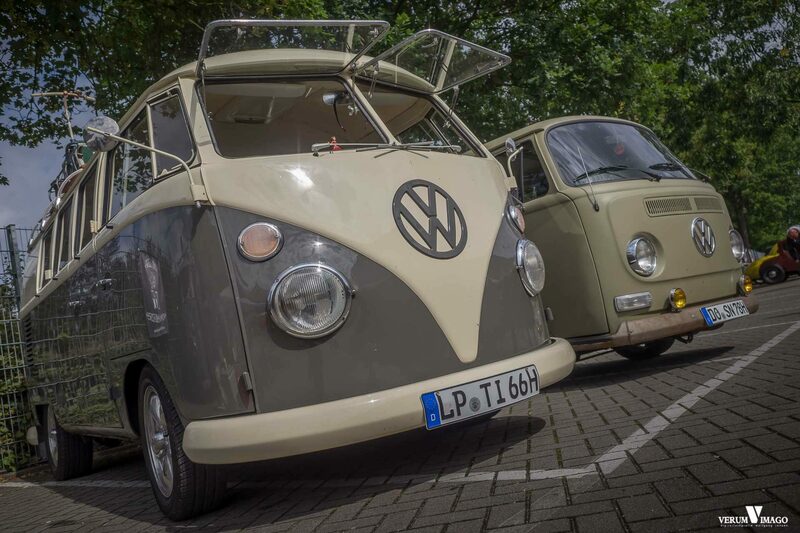 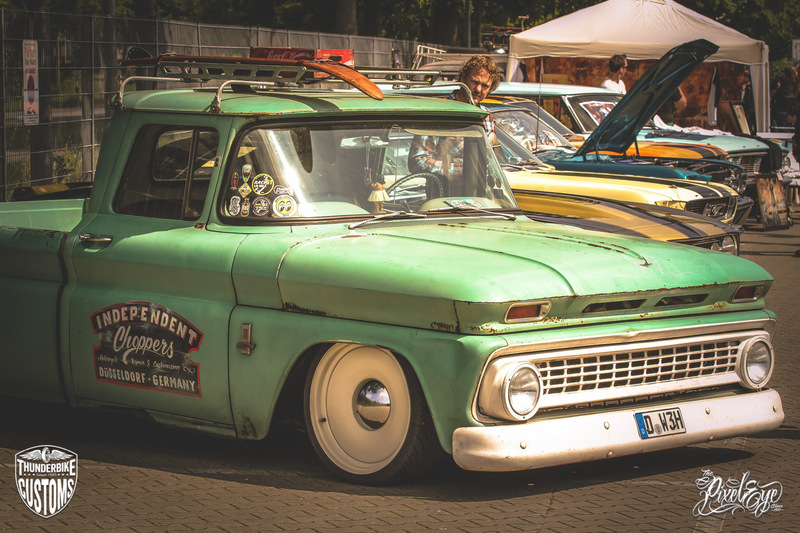 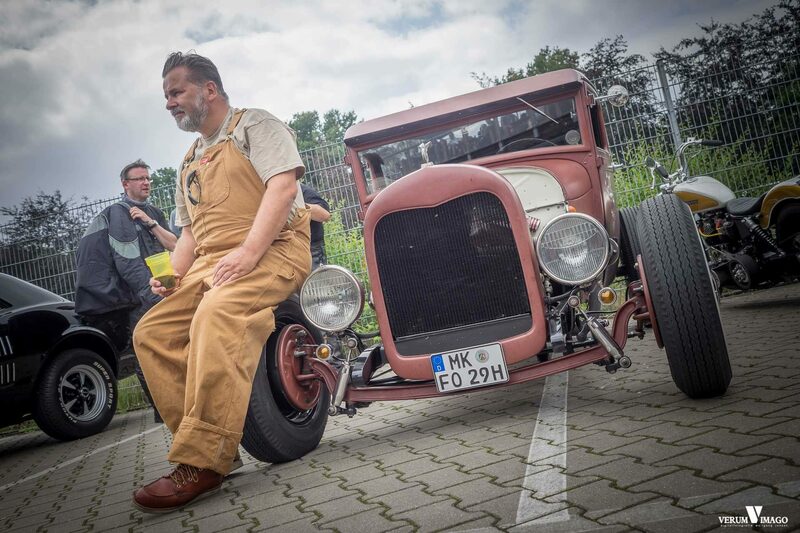 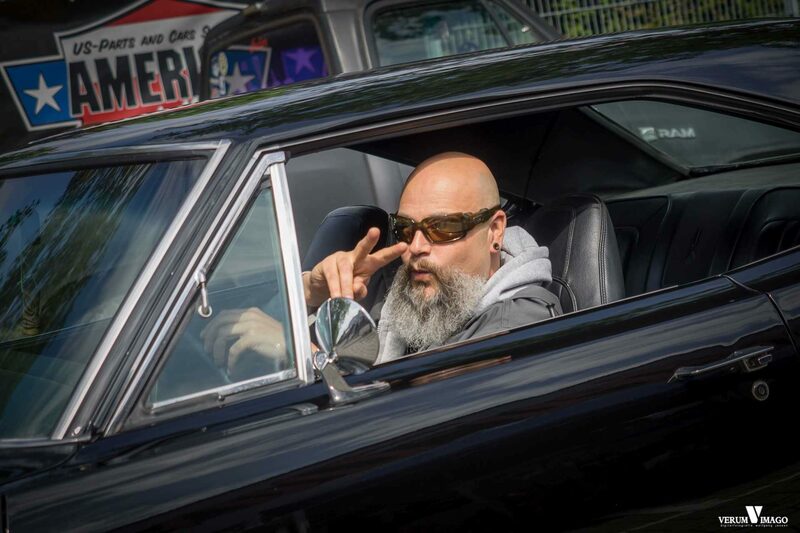 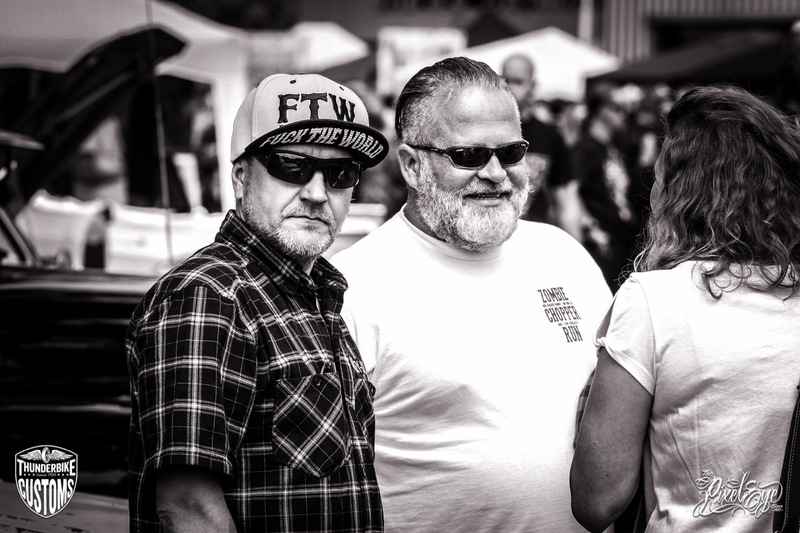 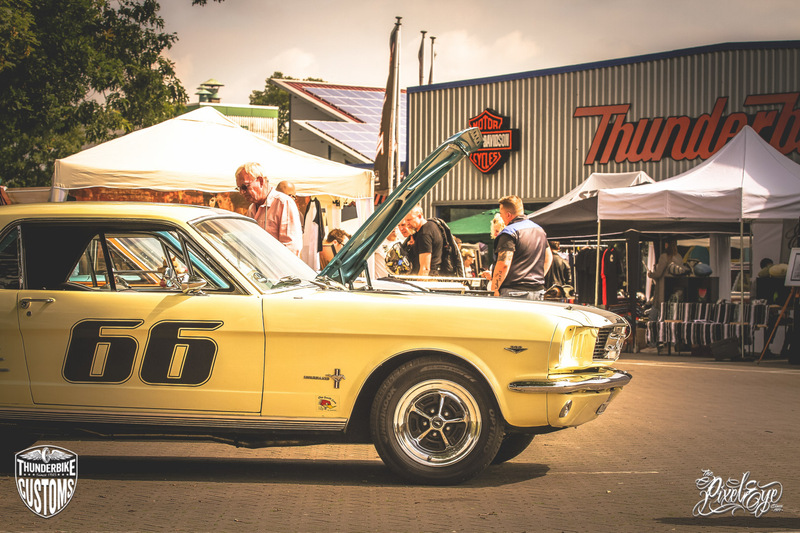 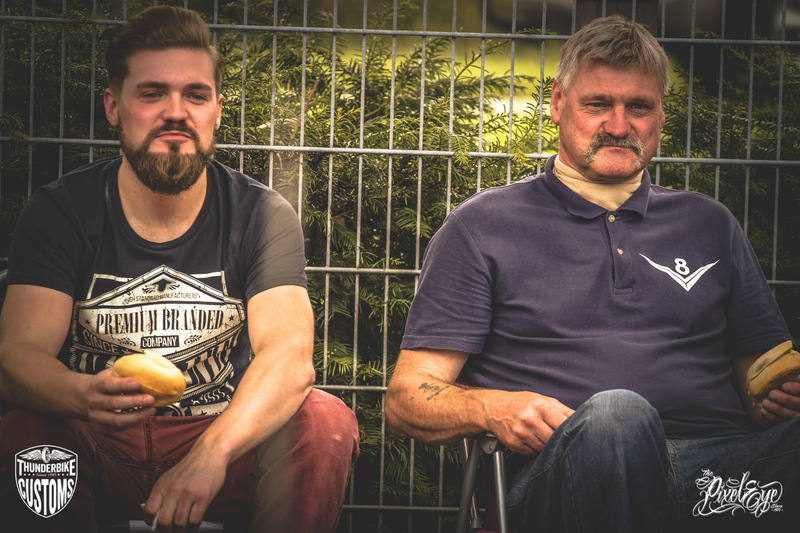 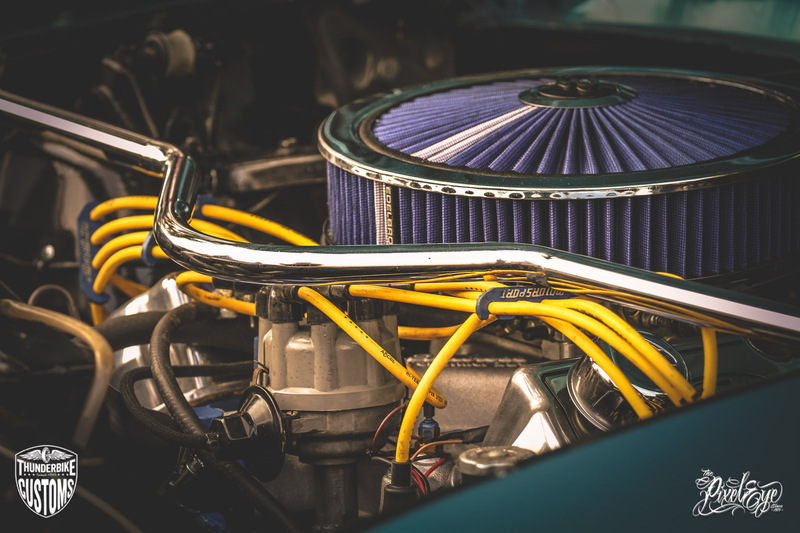 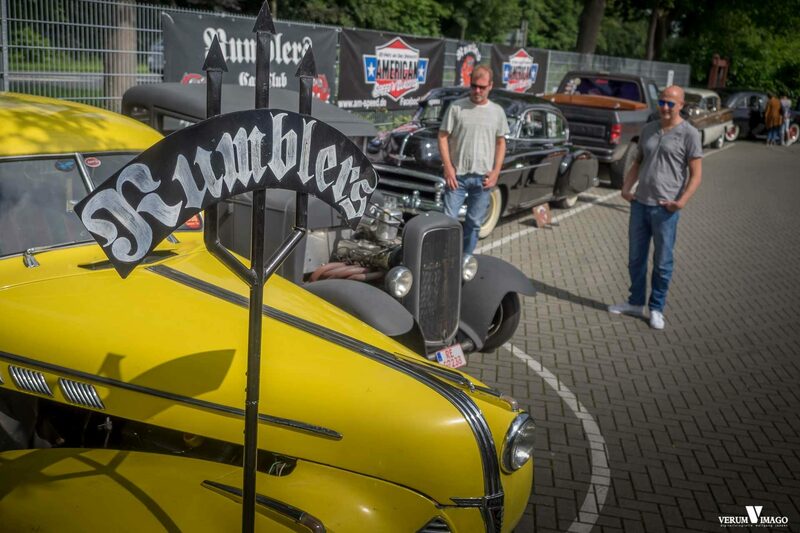 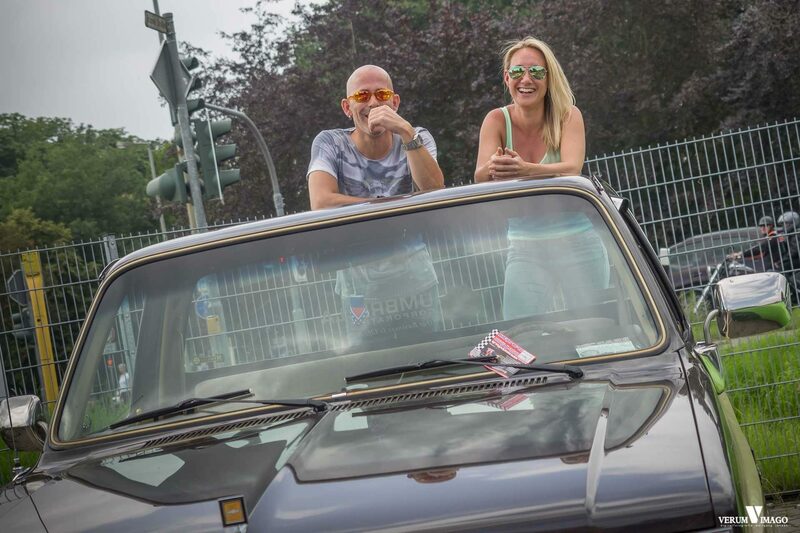 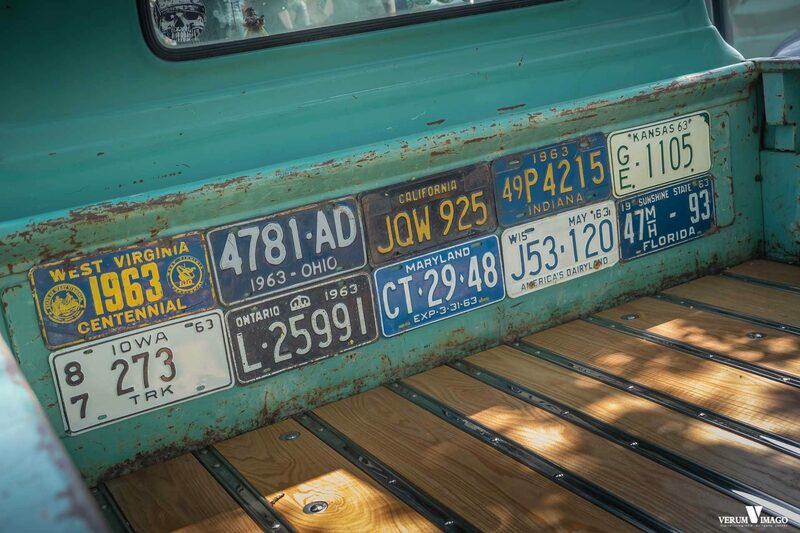 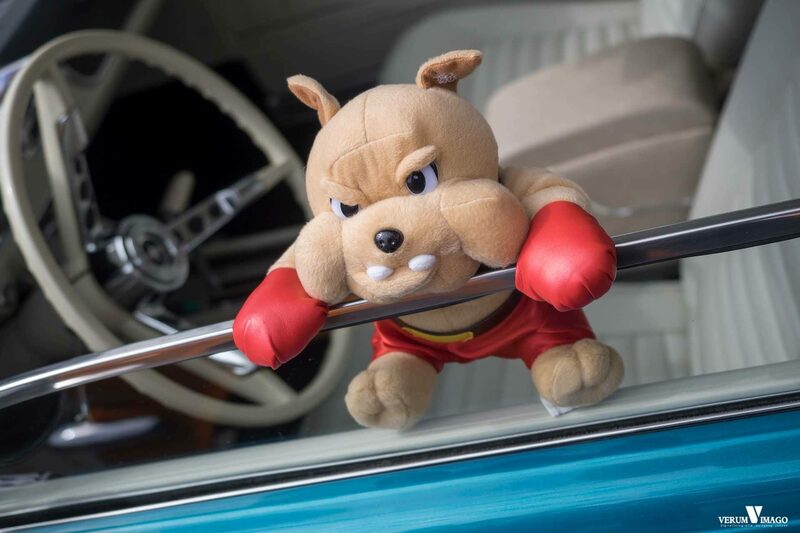 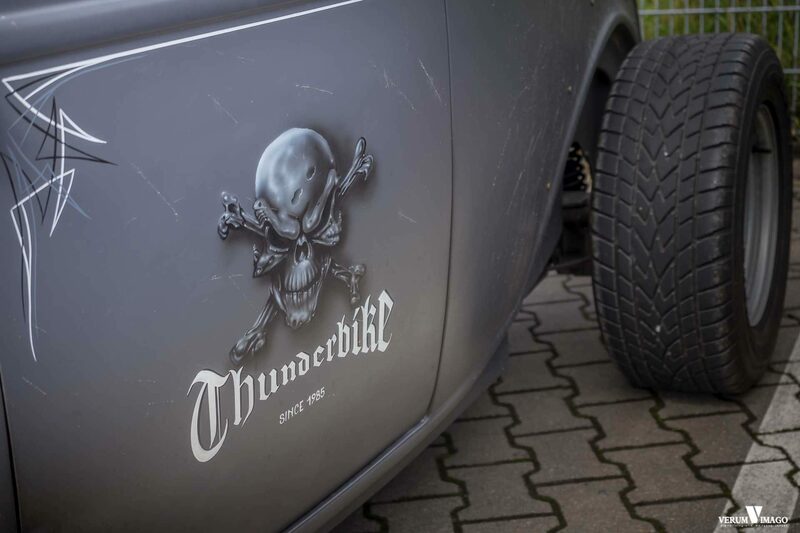 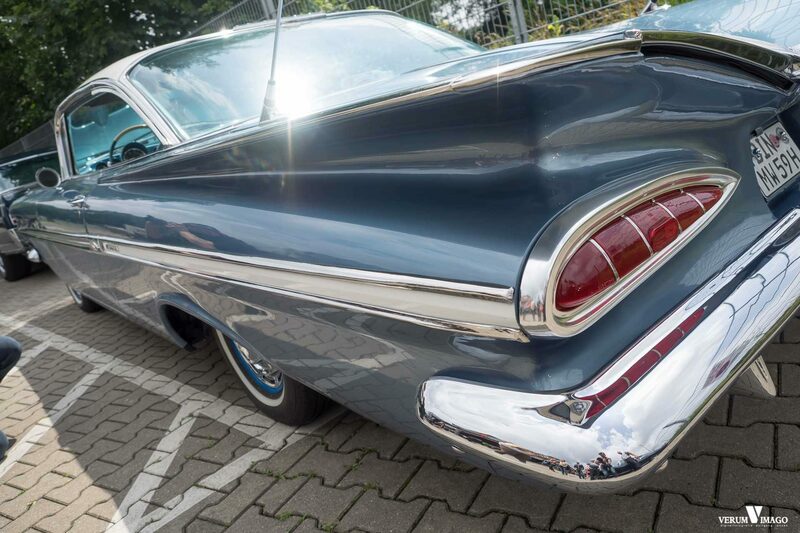 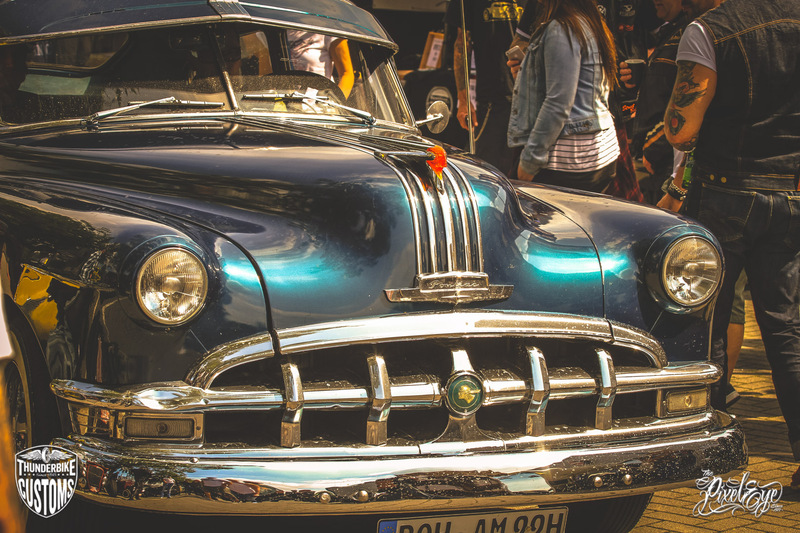 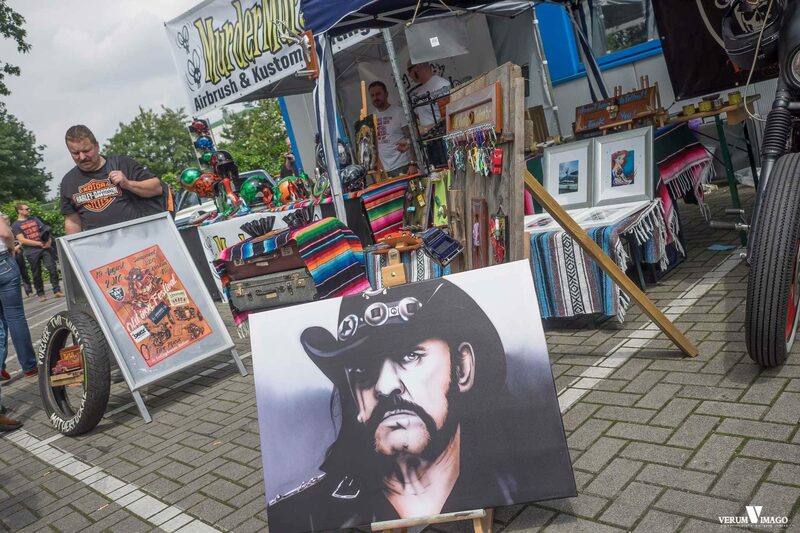 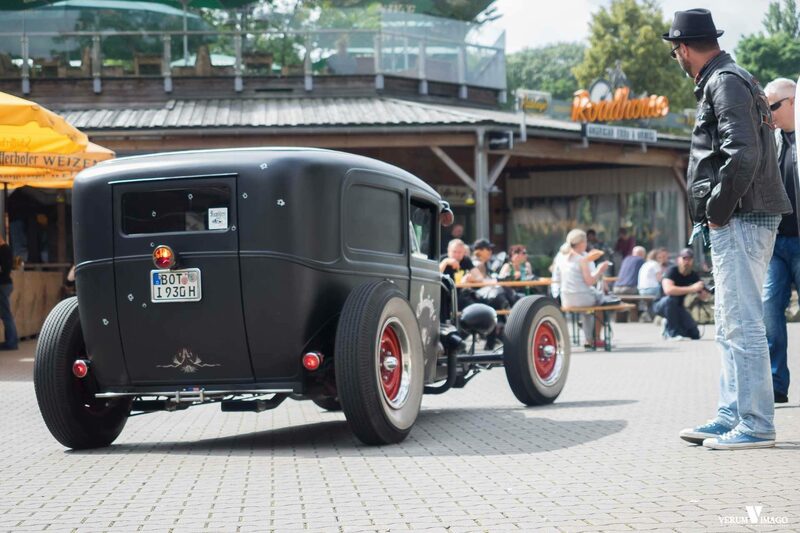 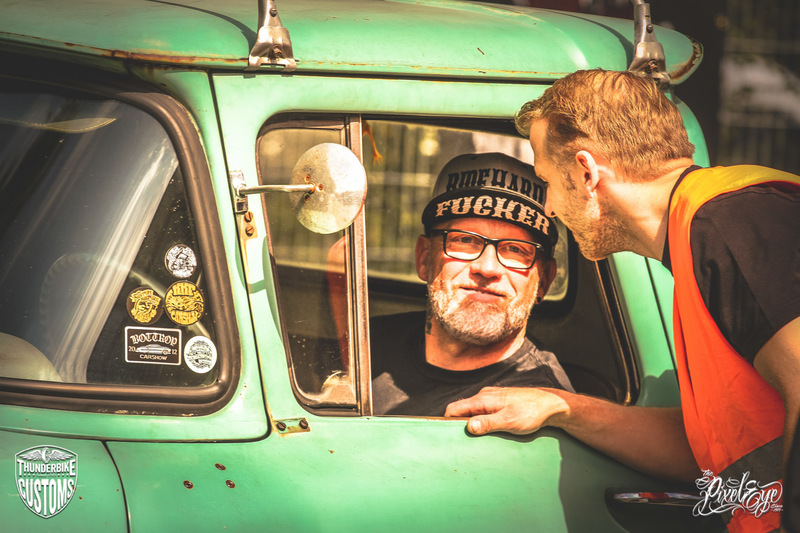 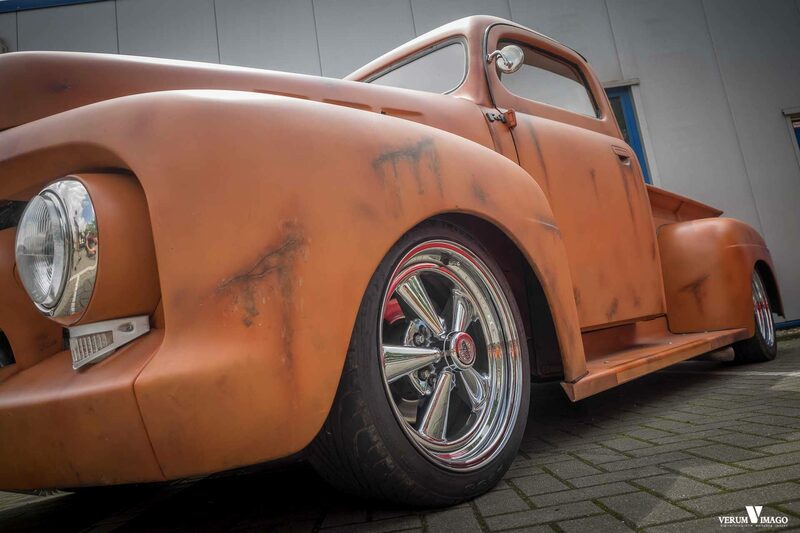 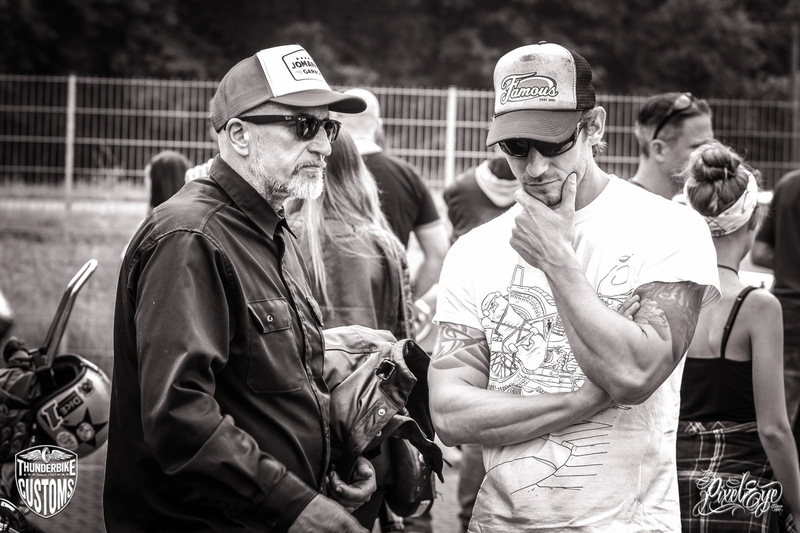 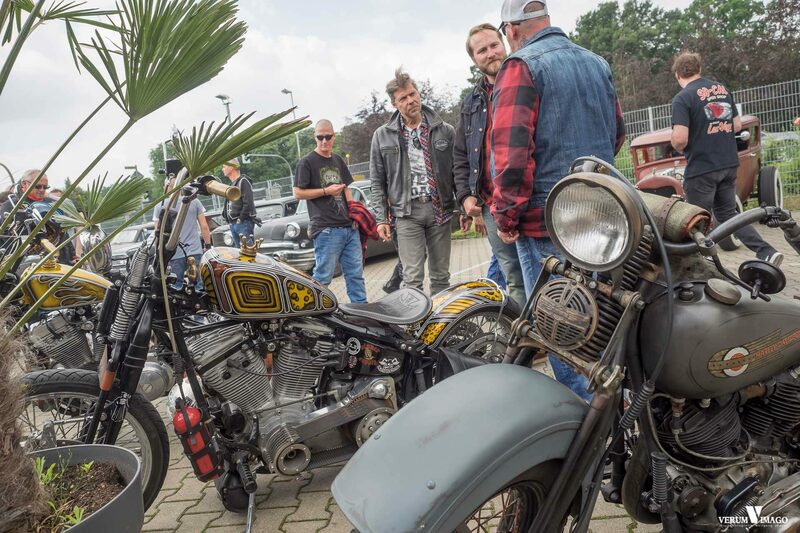 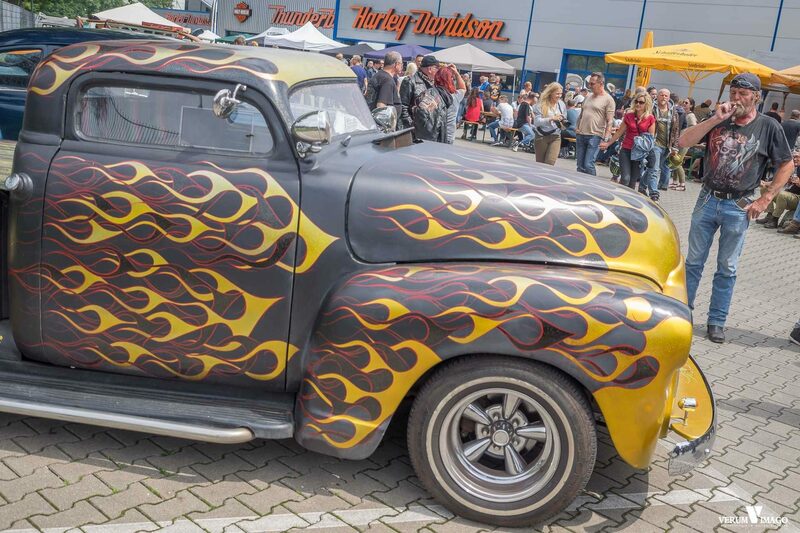 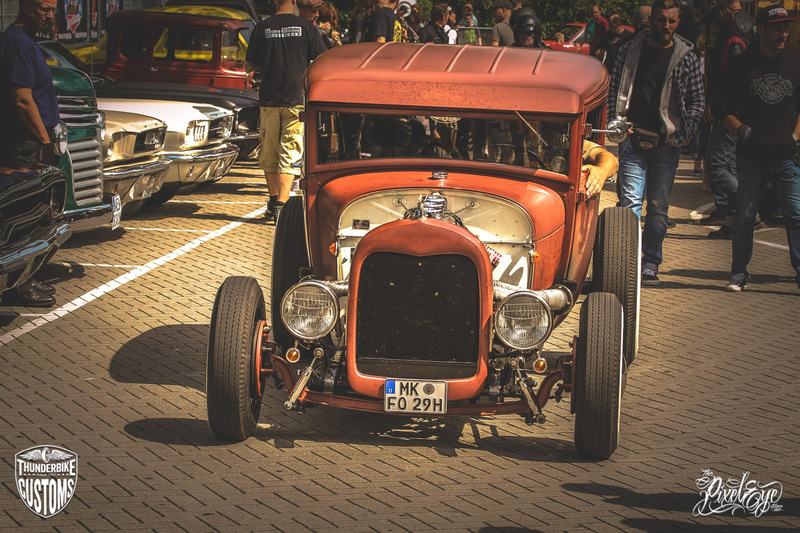 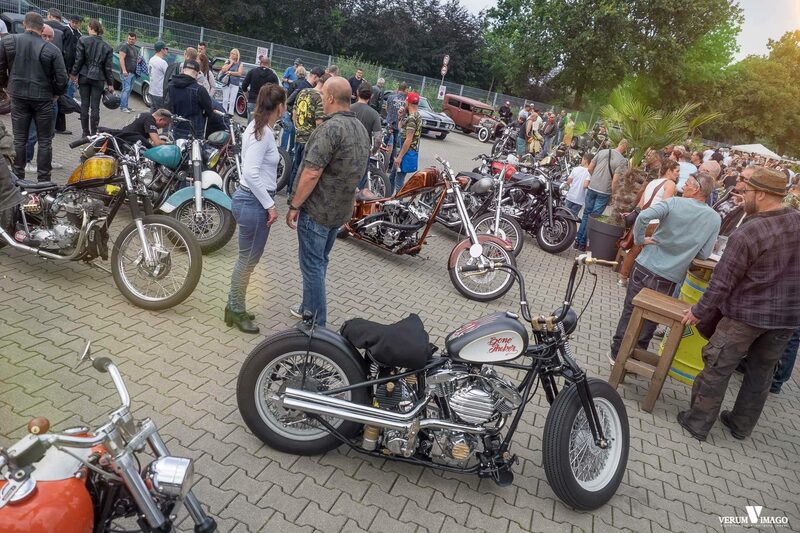 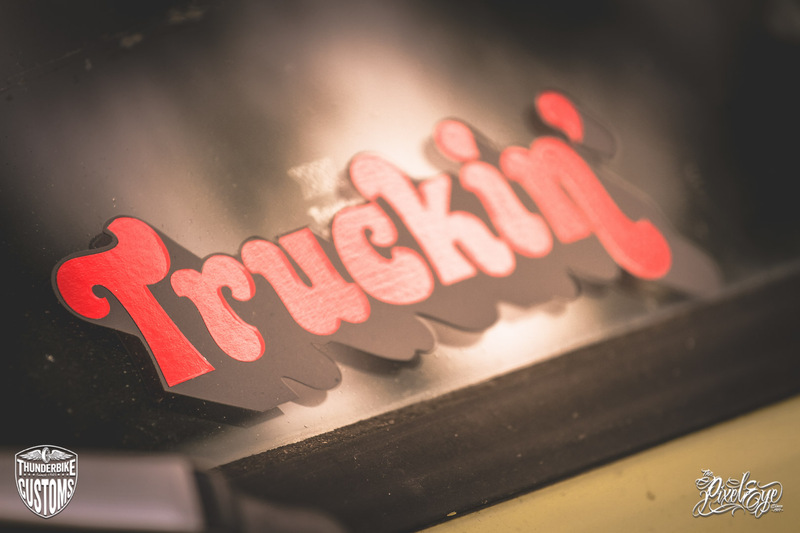 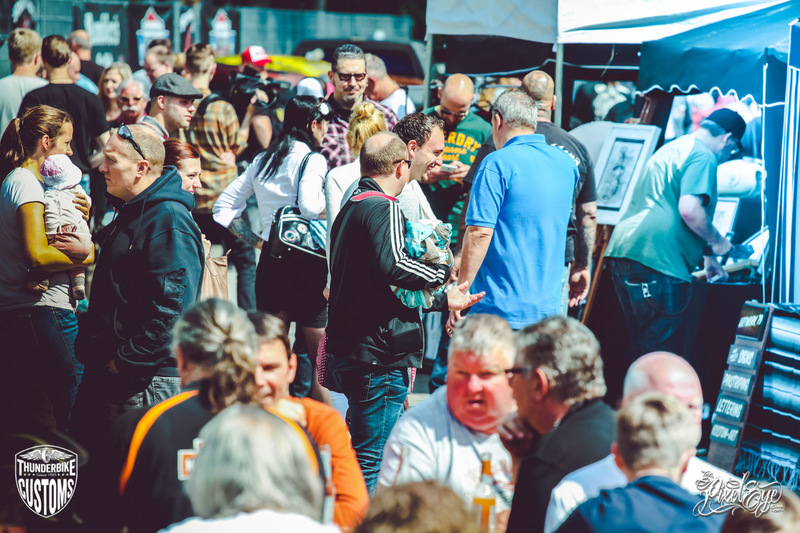 The Rumblers Ruhrpott CCs offered a US Car Show with Hot Rods and Kustom Cars. 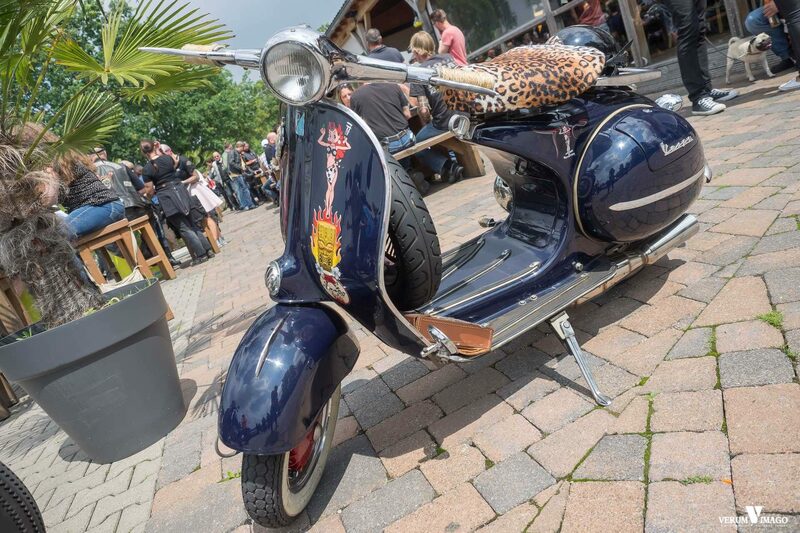 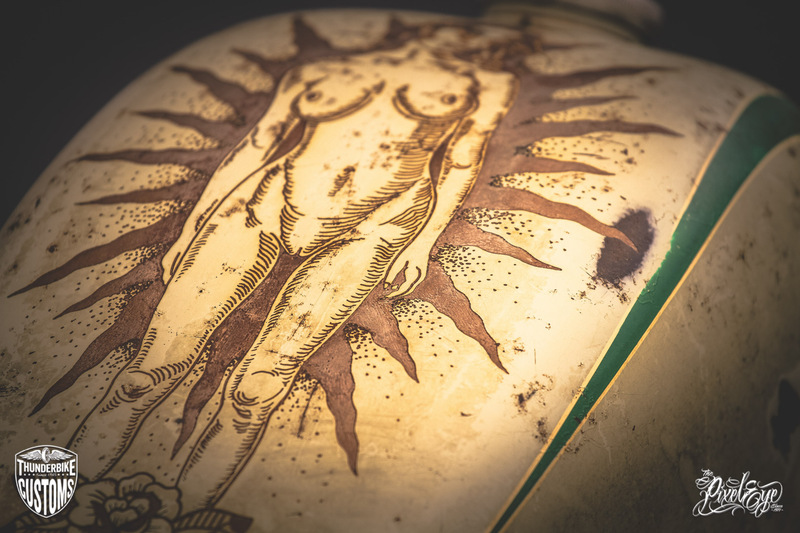 The whole thing accompanies with cool cocktails and relaxed reggae music. 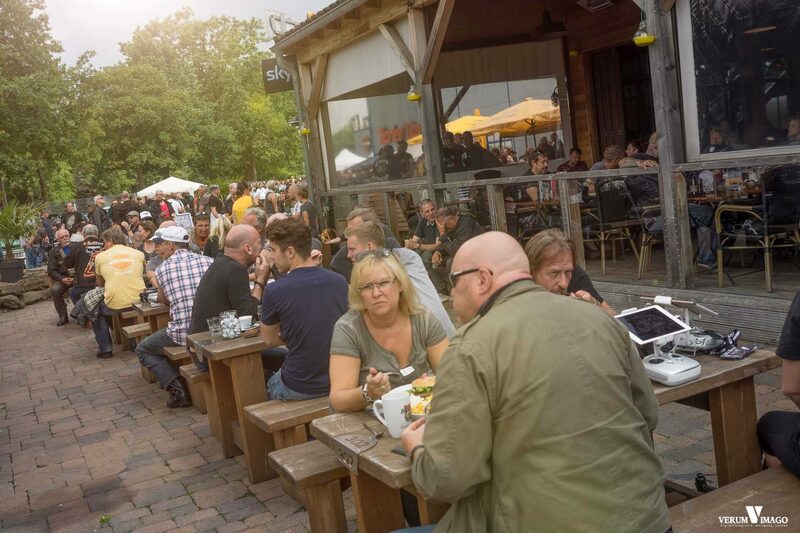 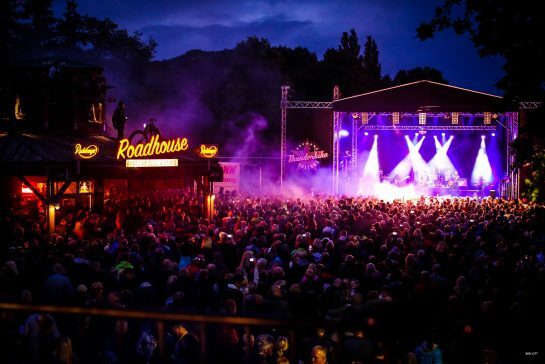 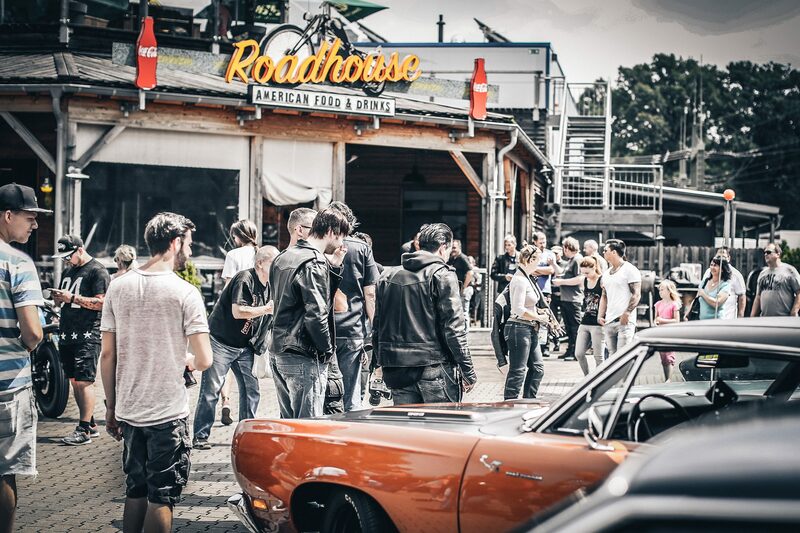 Until the evening hours, the Roadhouse held culinary delights as usual and served as a location for celebrating and lingering. 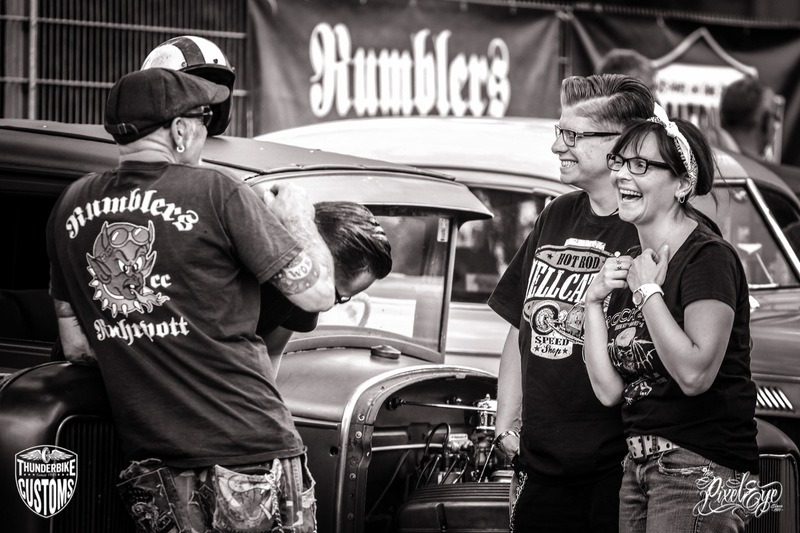 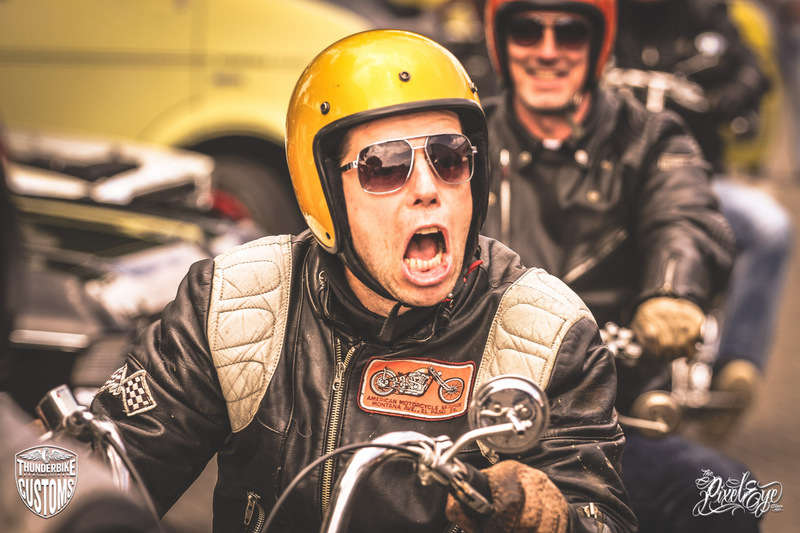 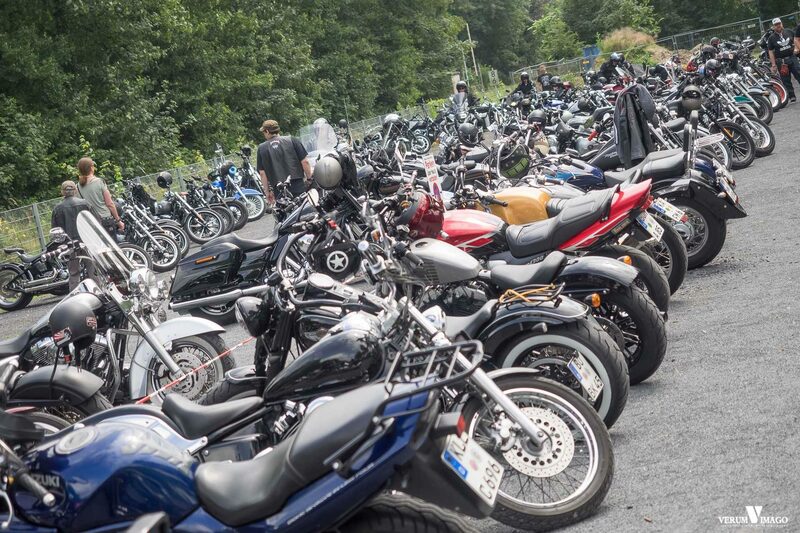 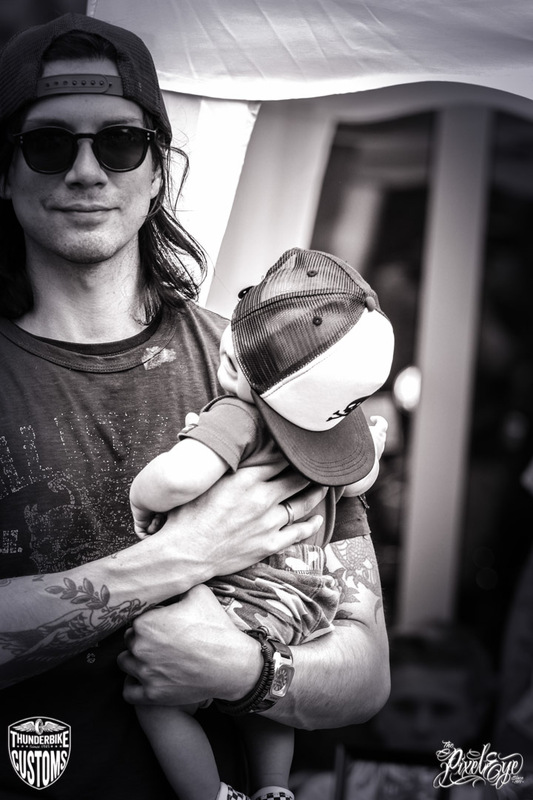 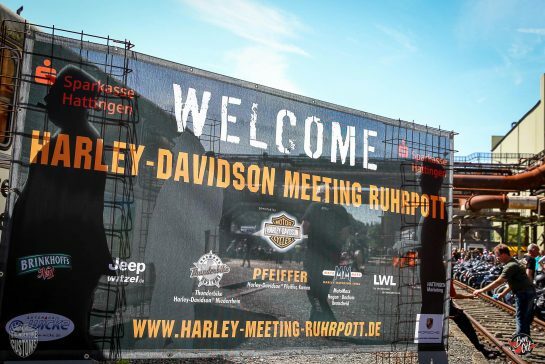 See you next year at Rumble & Thunder!